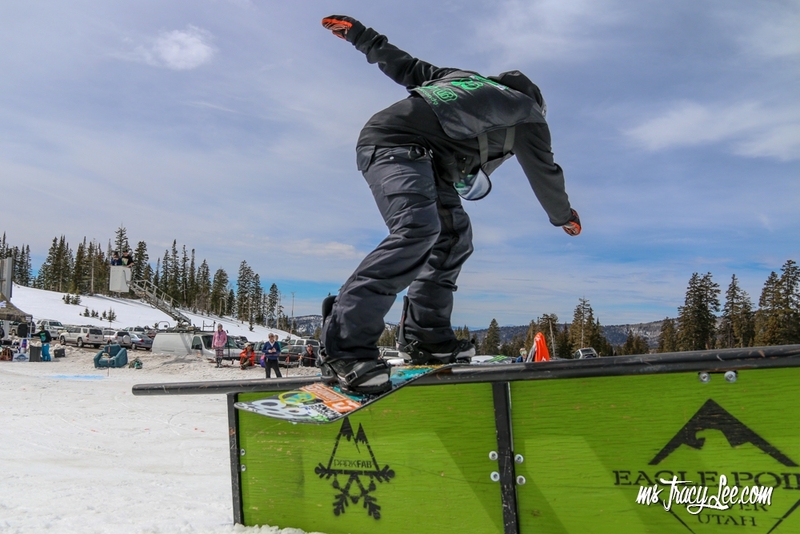 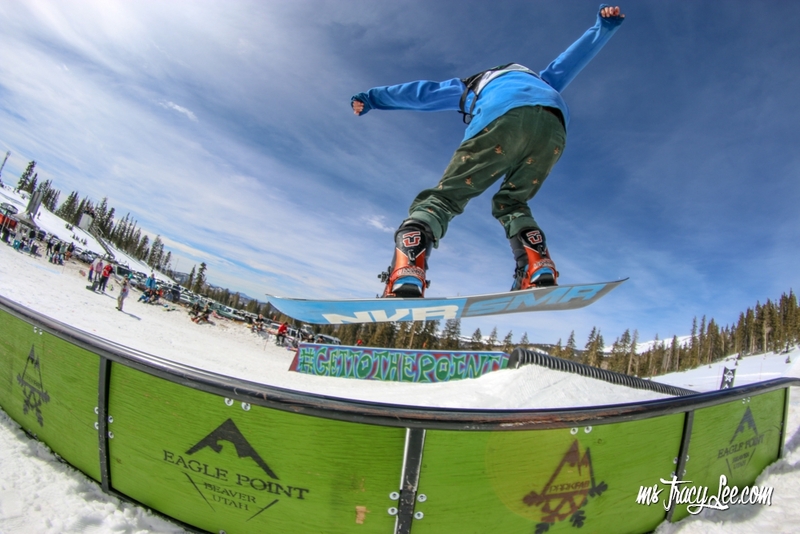 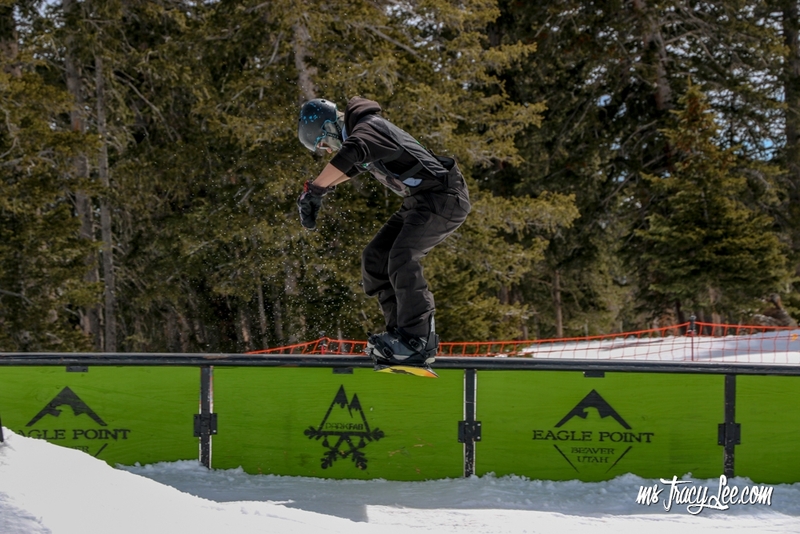 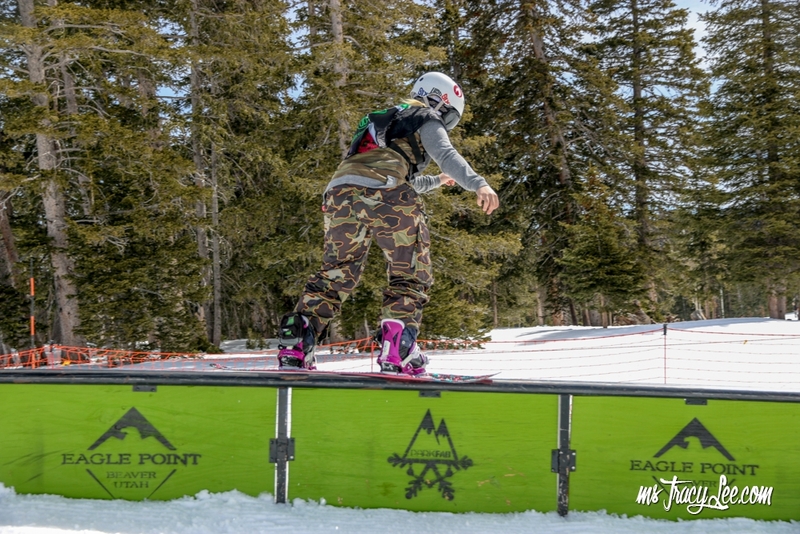 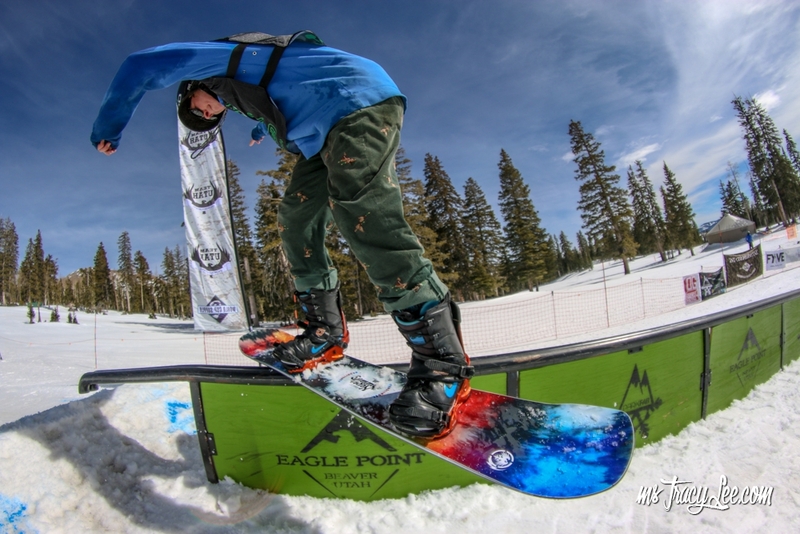 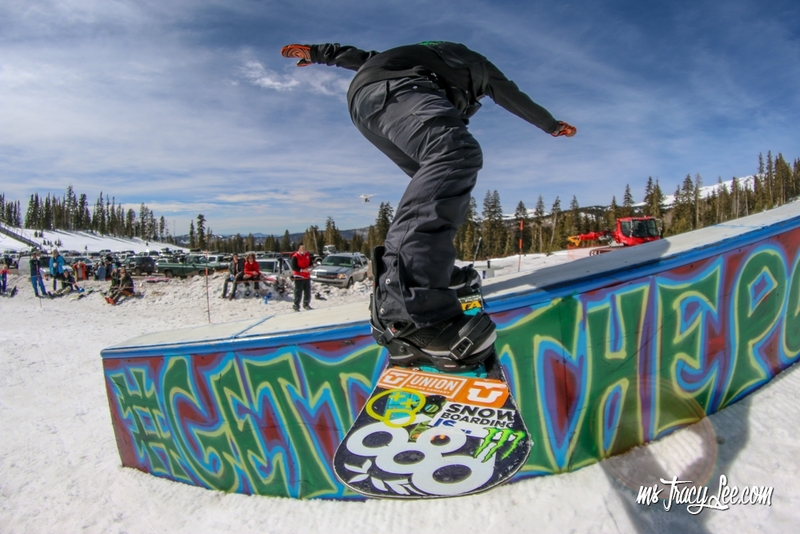 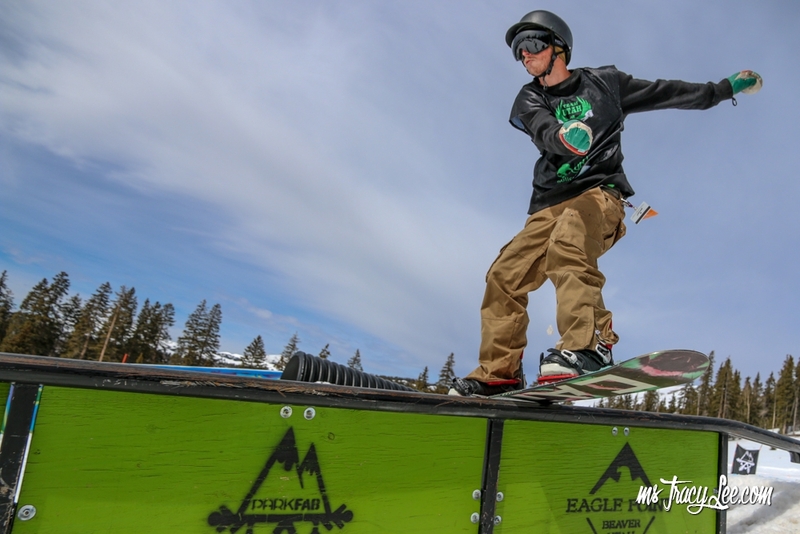 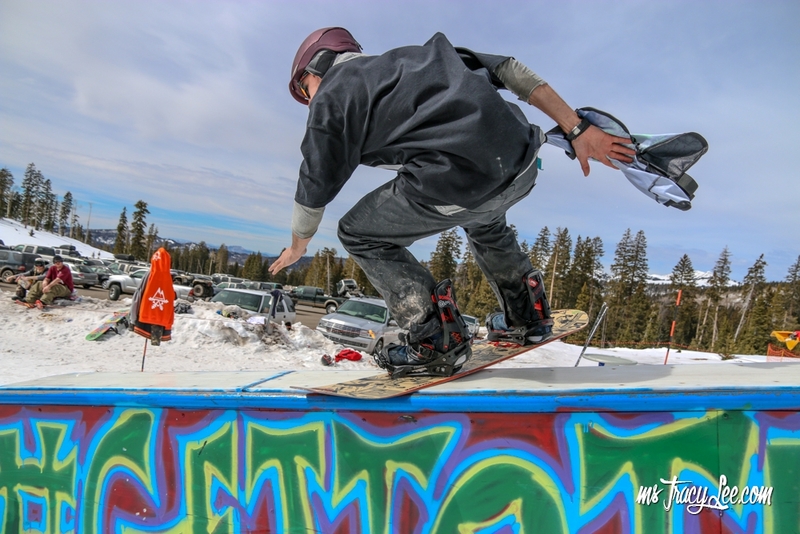 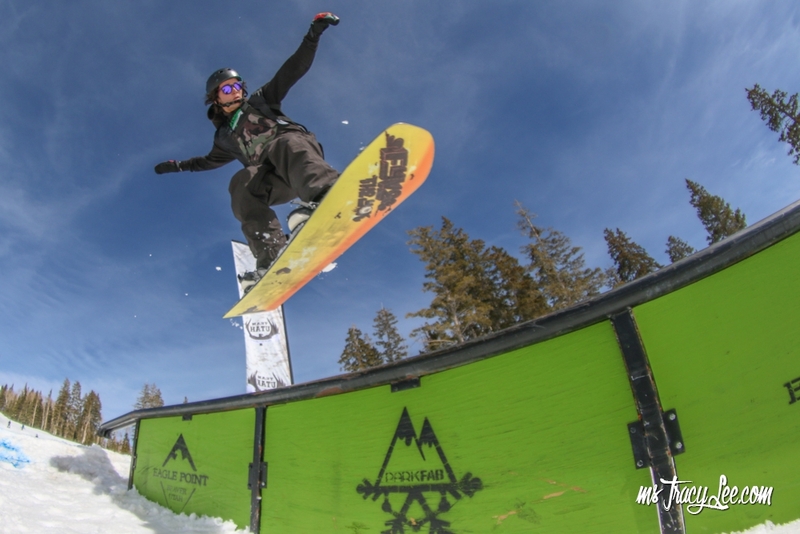 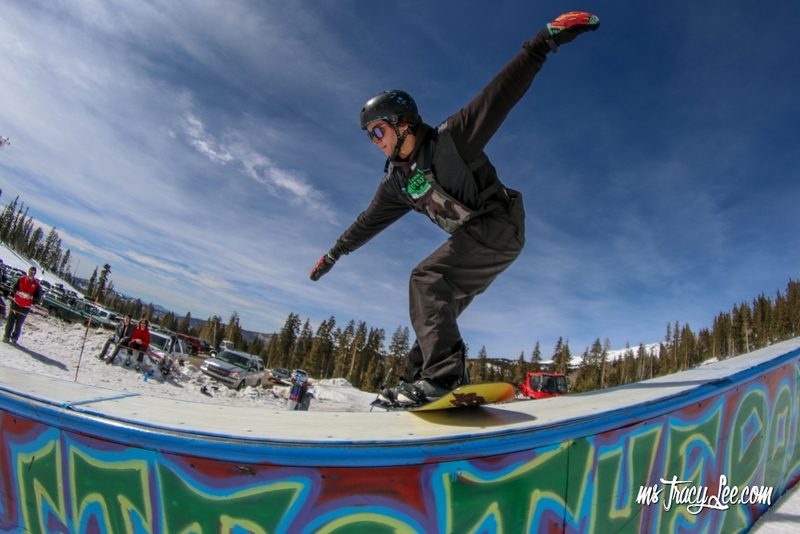 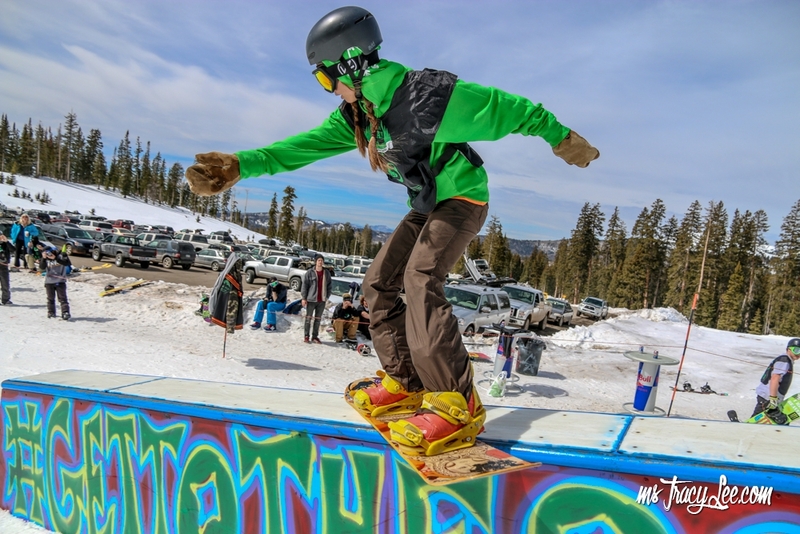 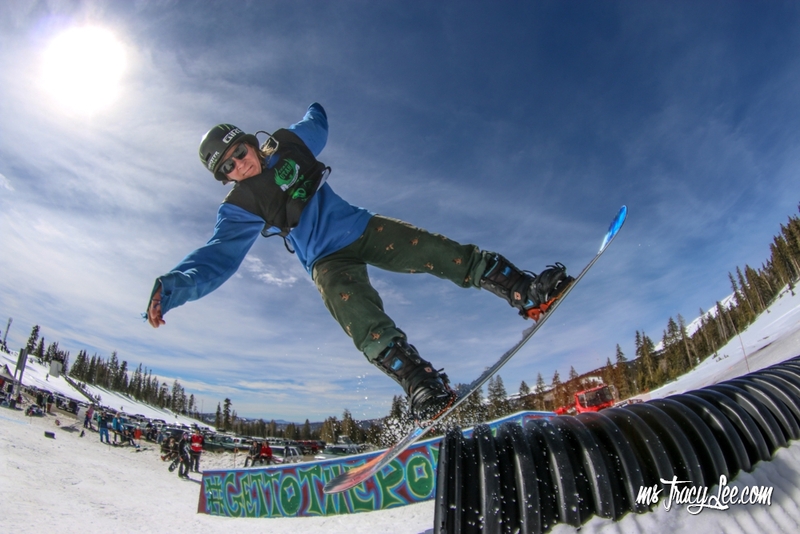 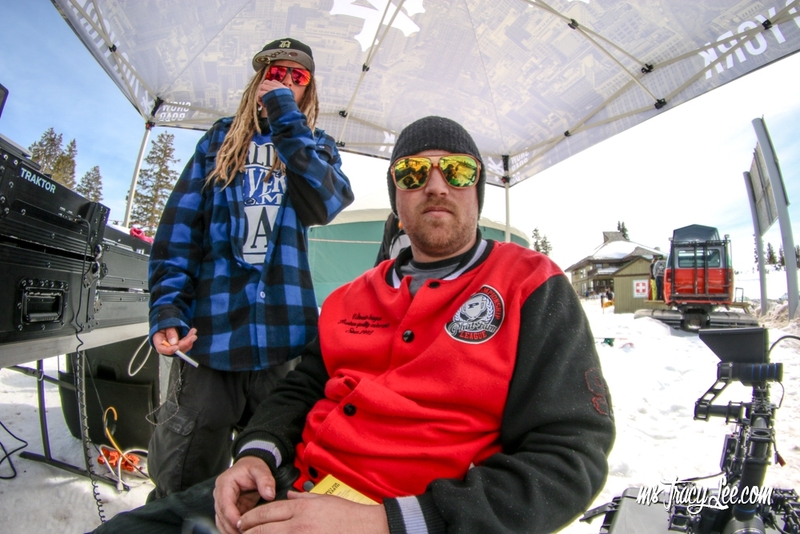 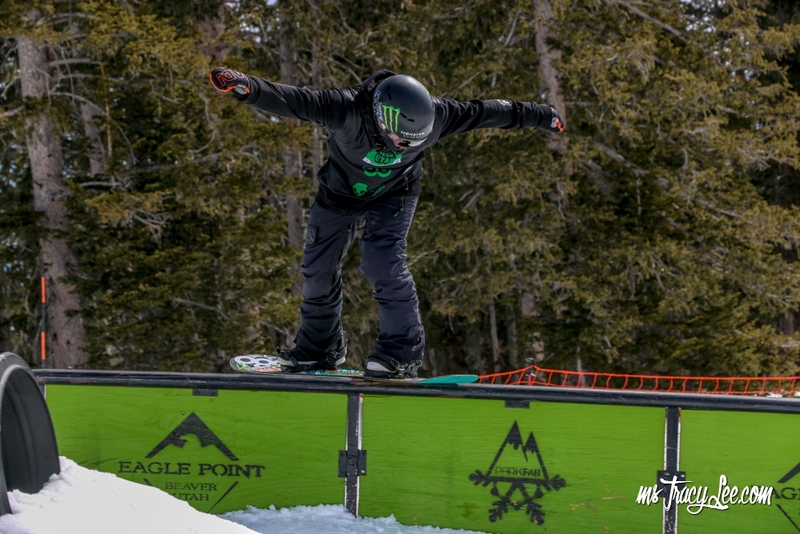 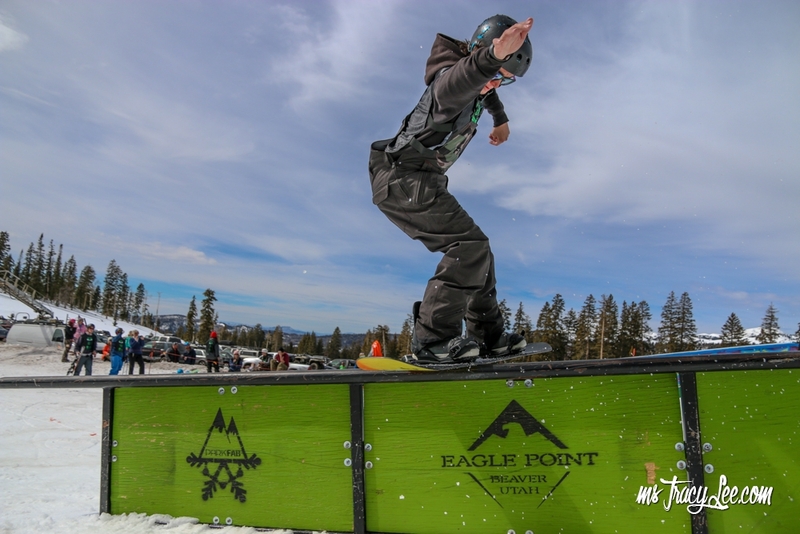 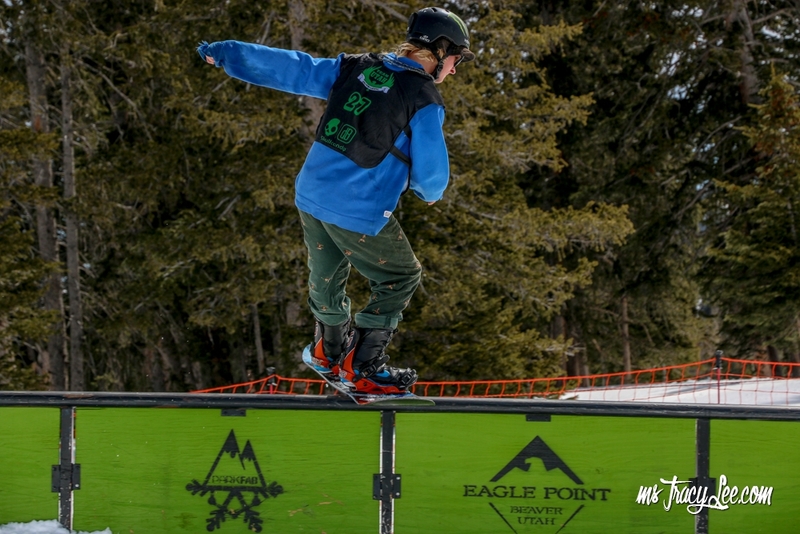 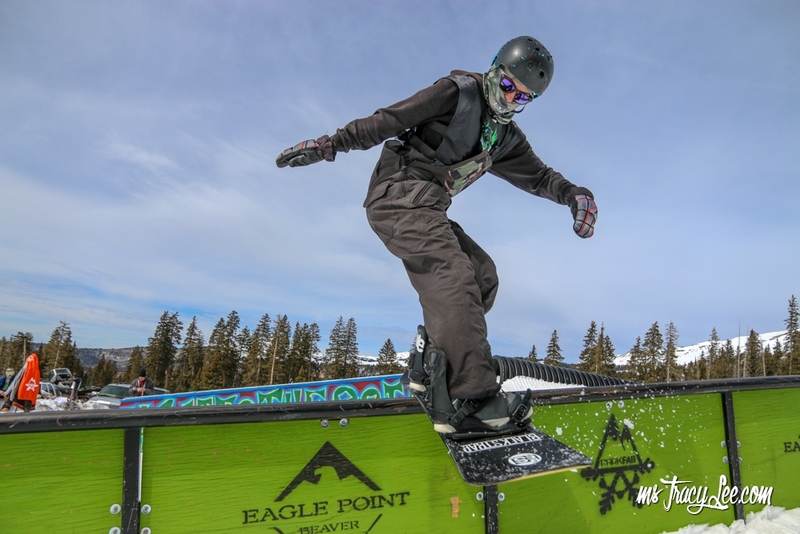 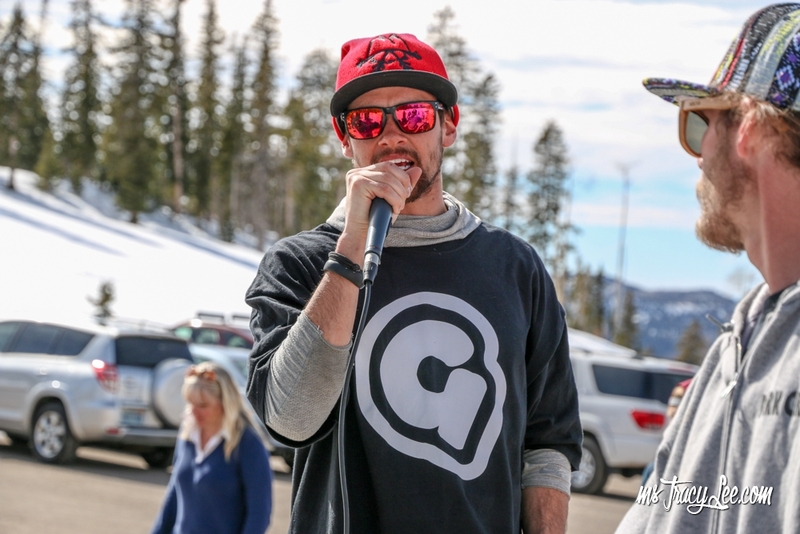 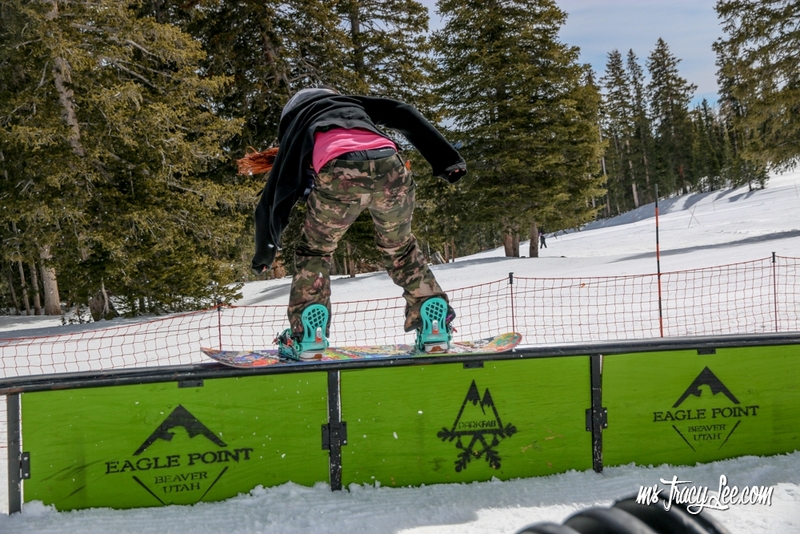 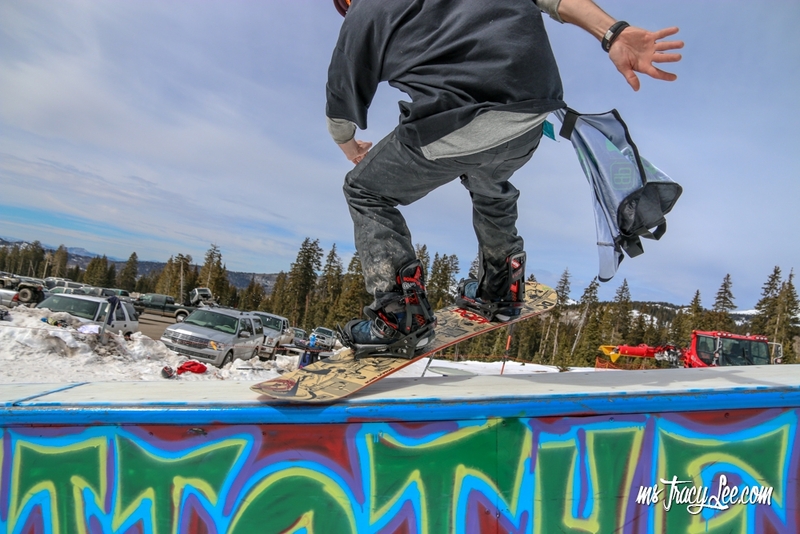 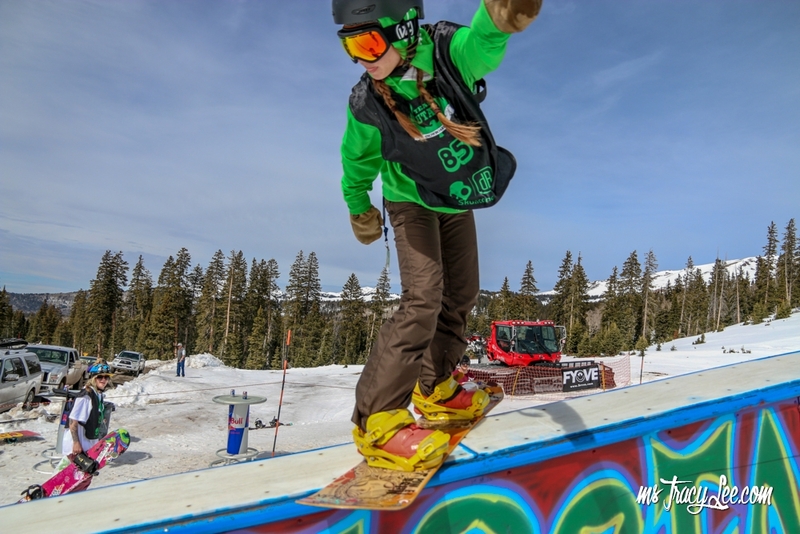 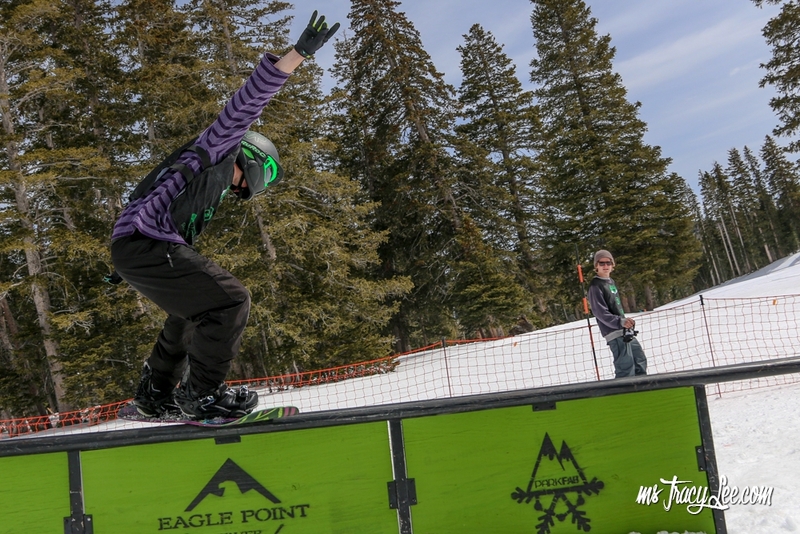 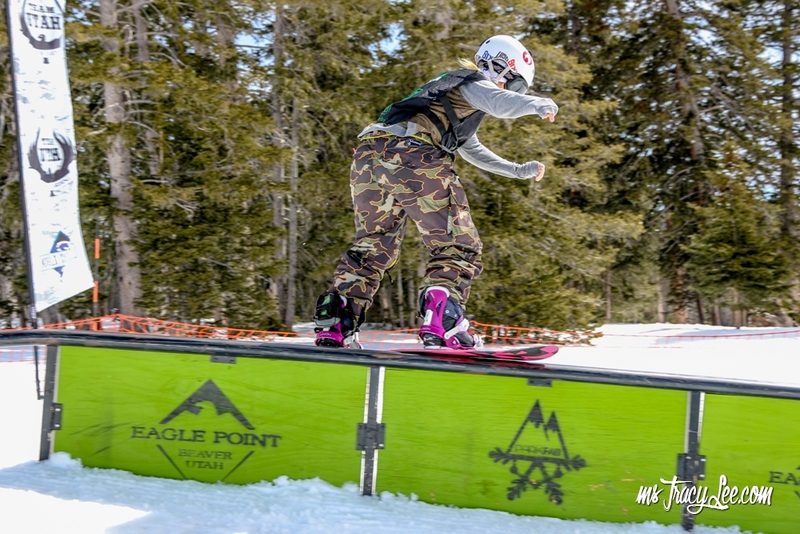 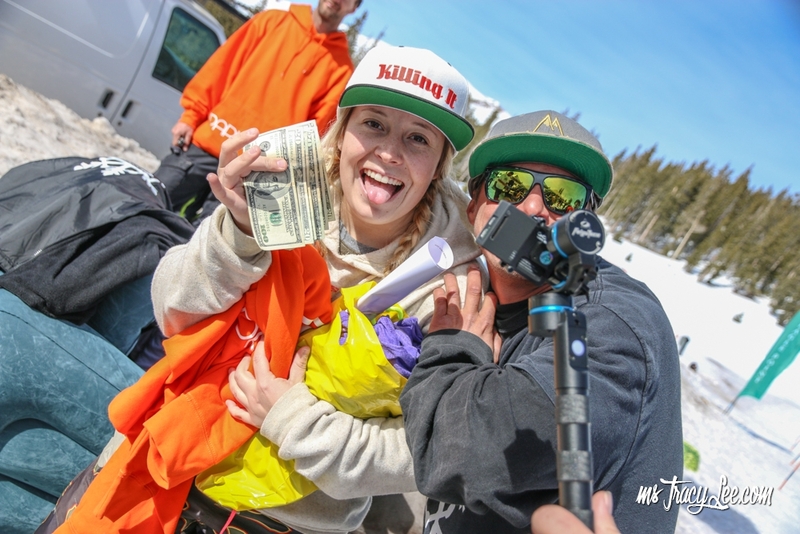 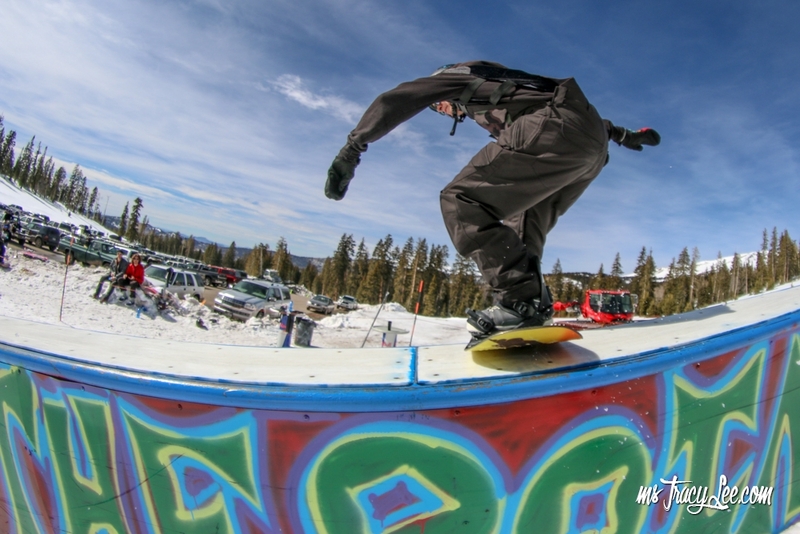 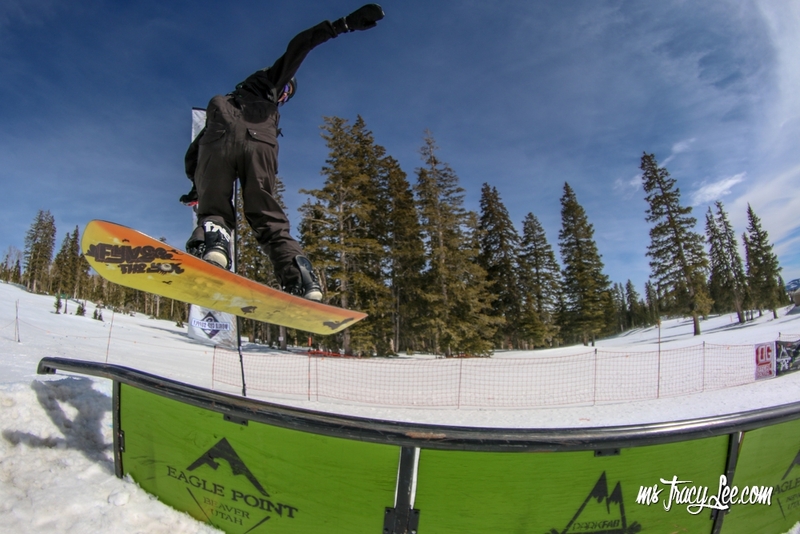 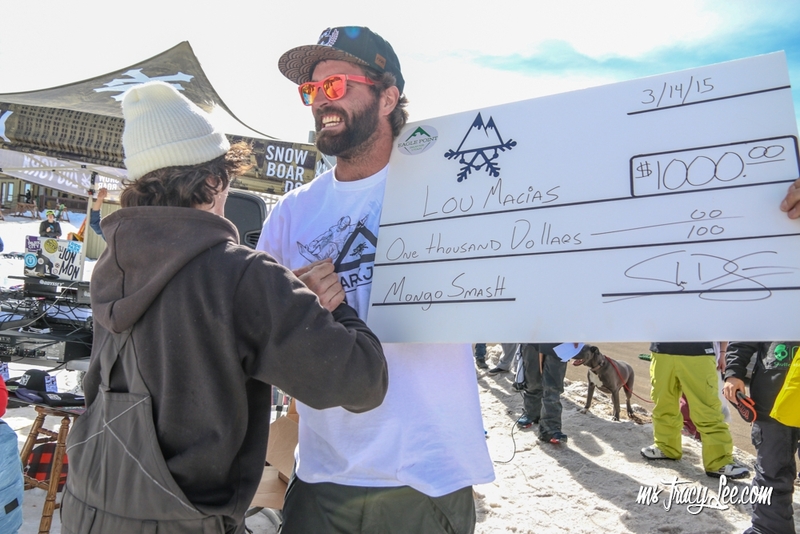 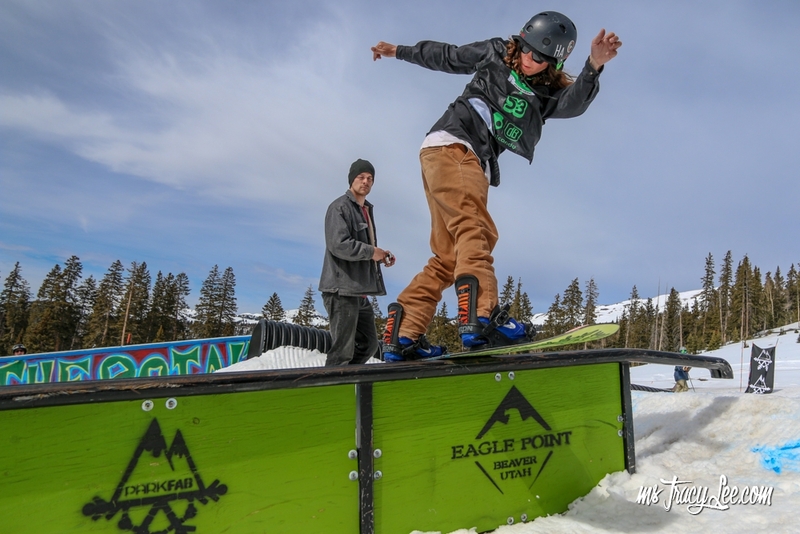 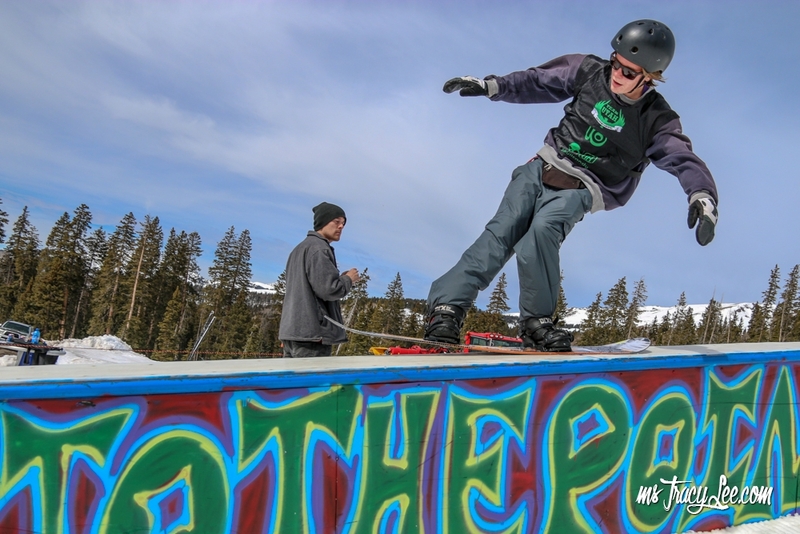 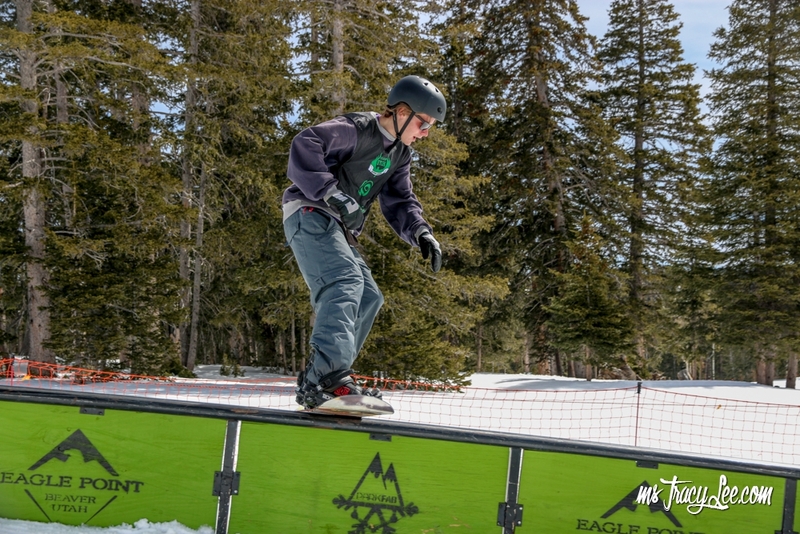 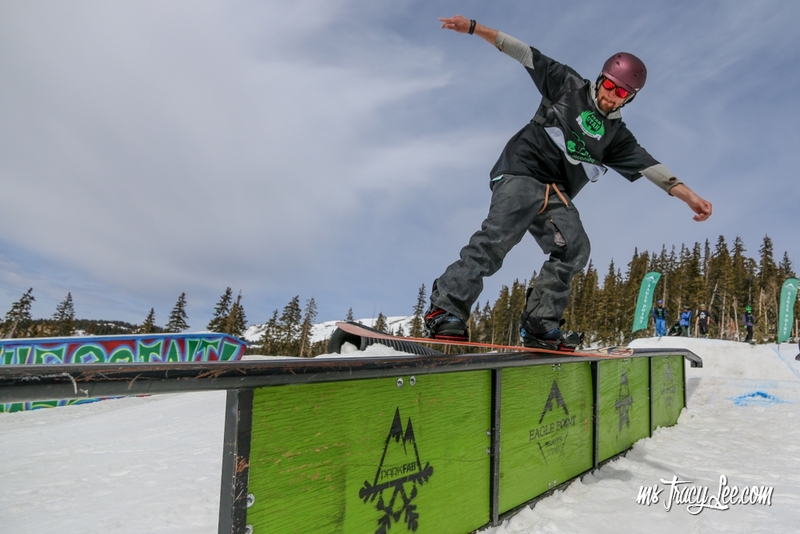 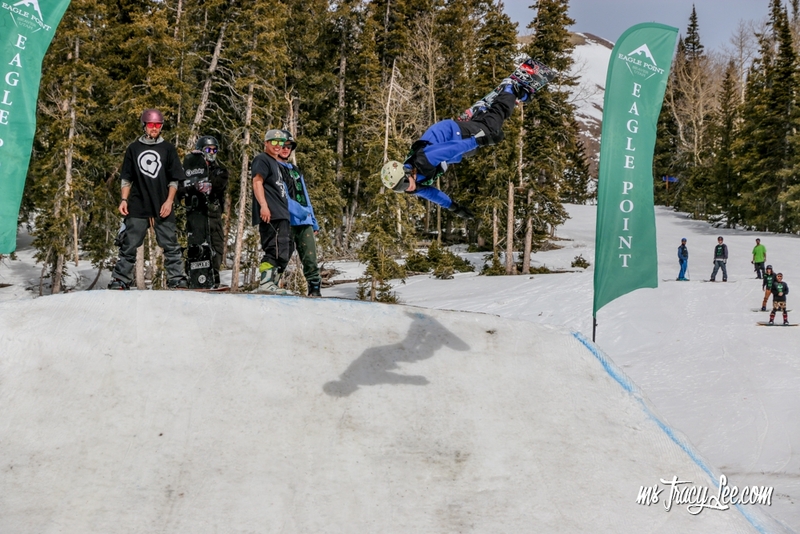 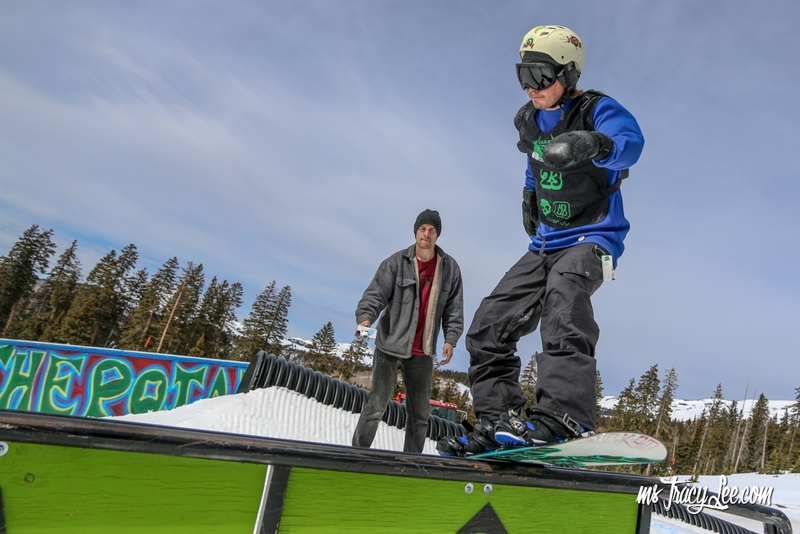 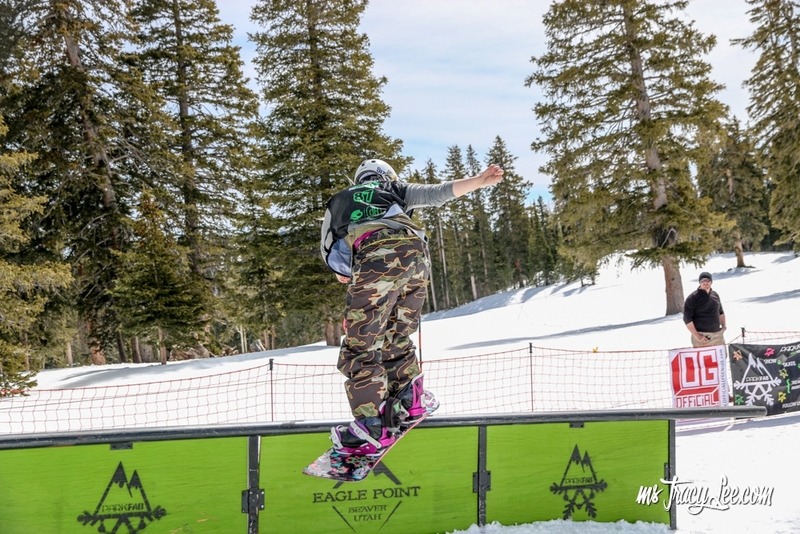 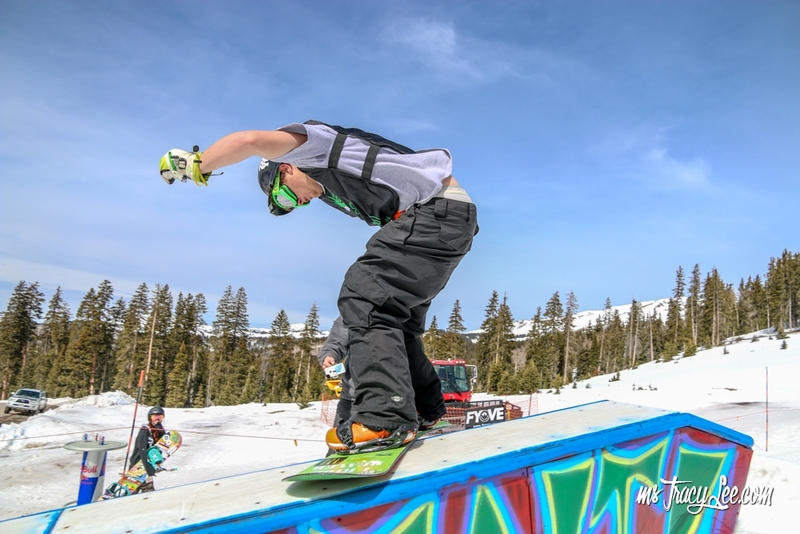 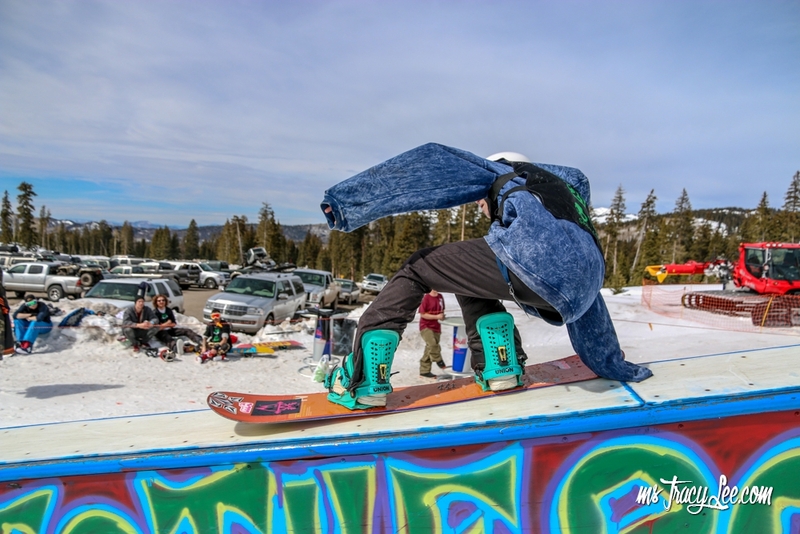 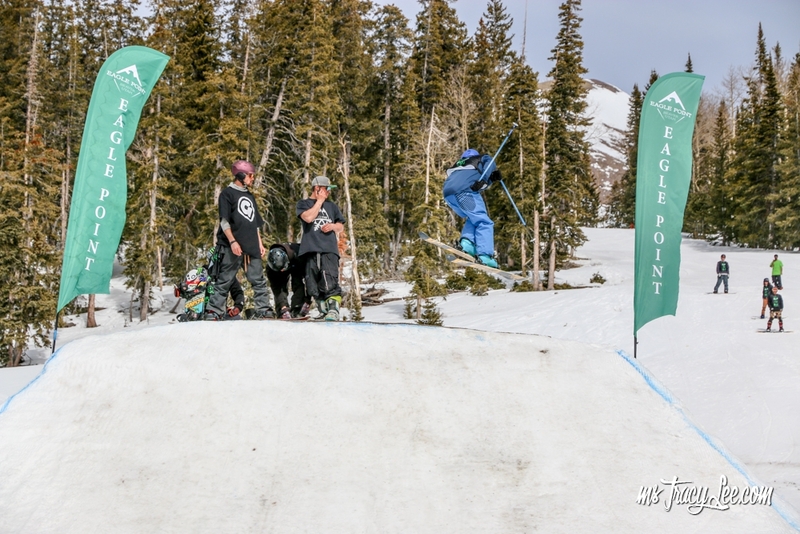 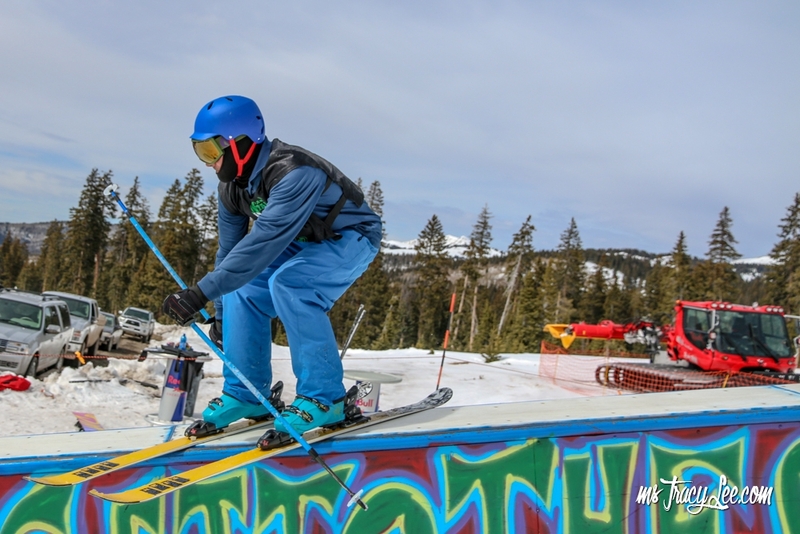 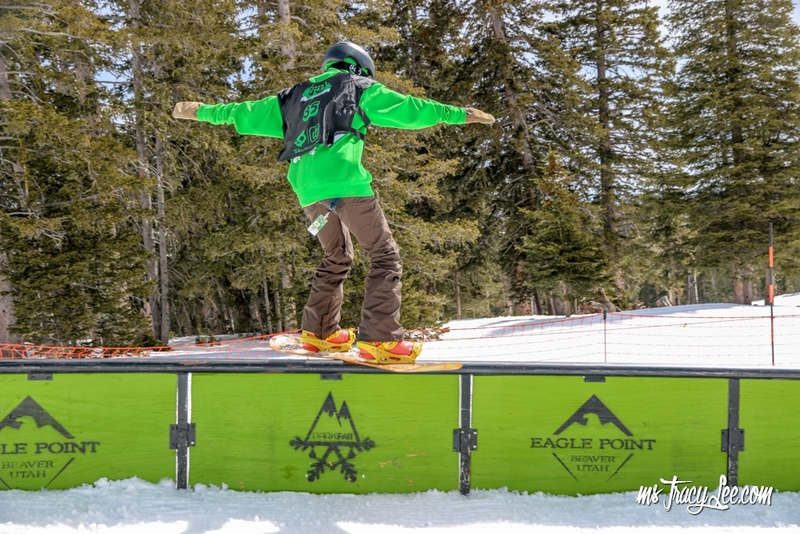 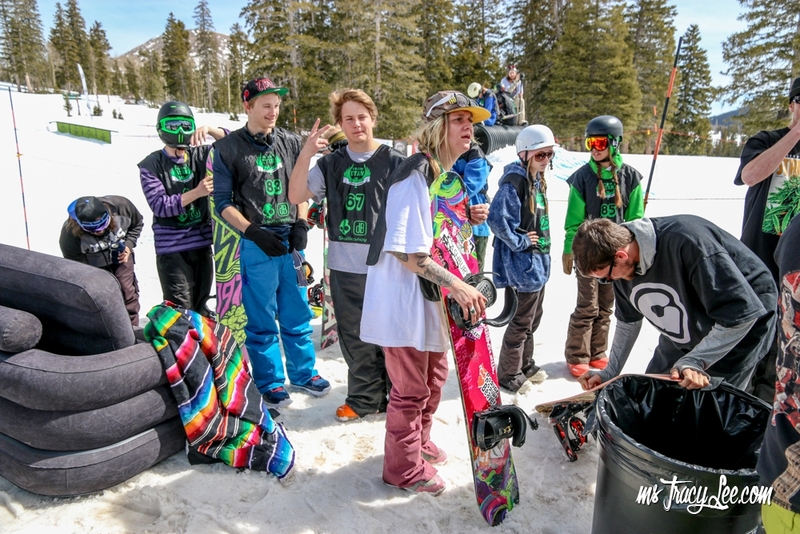 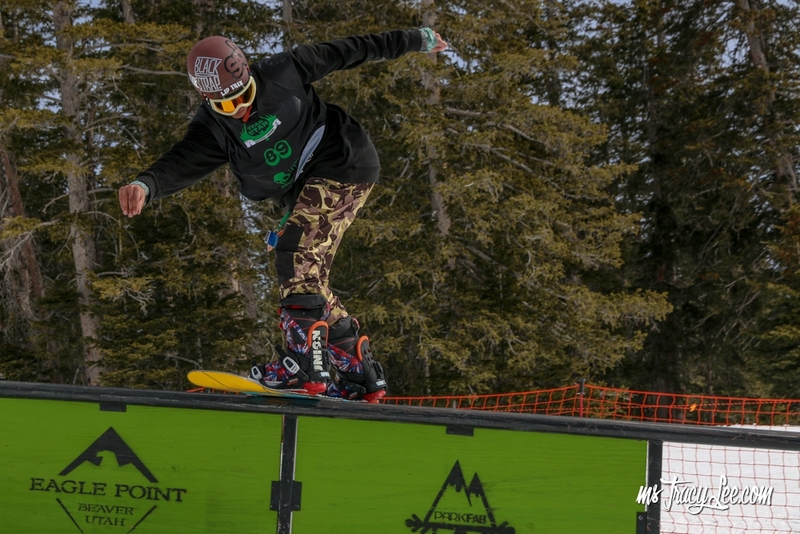 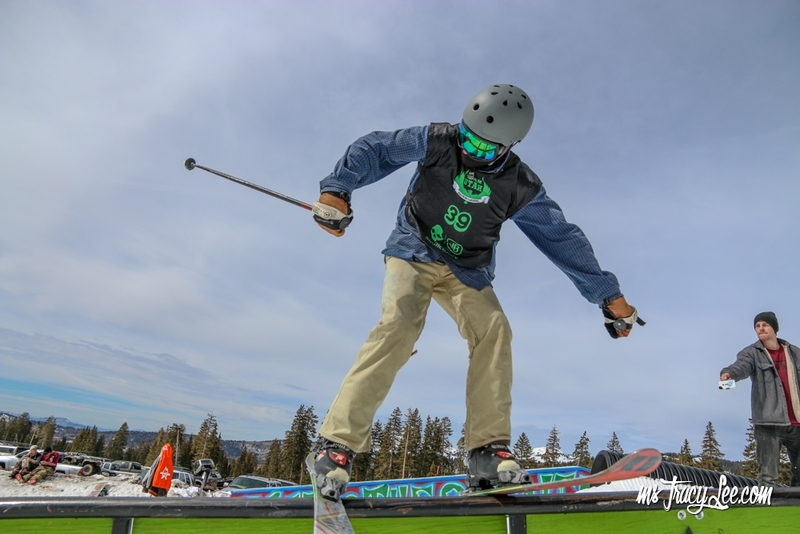 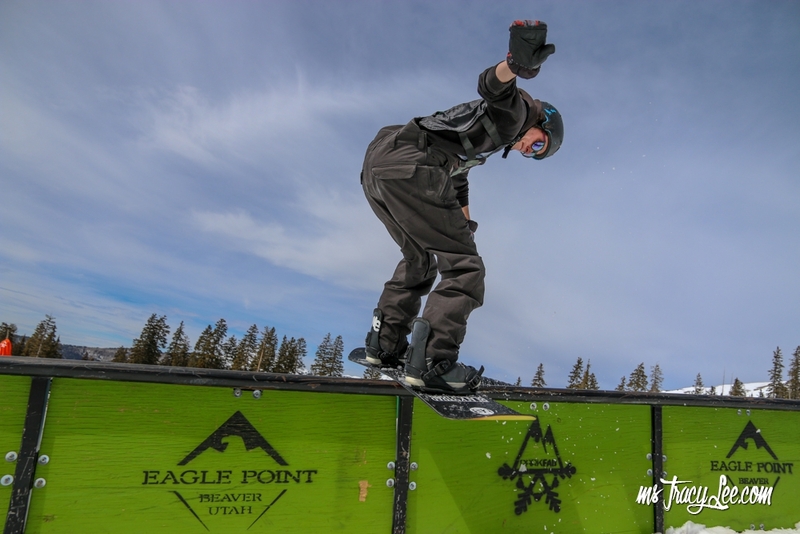 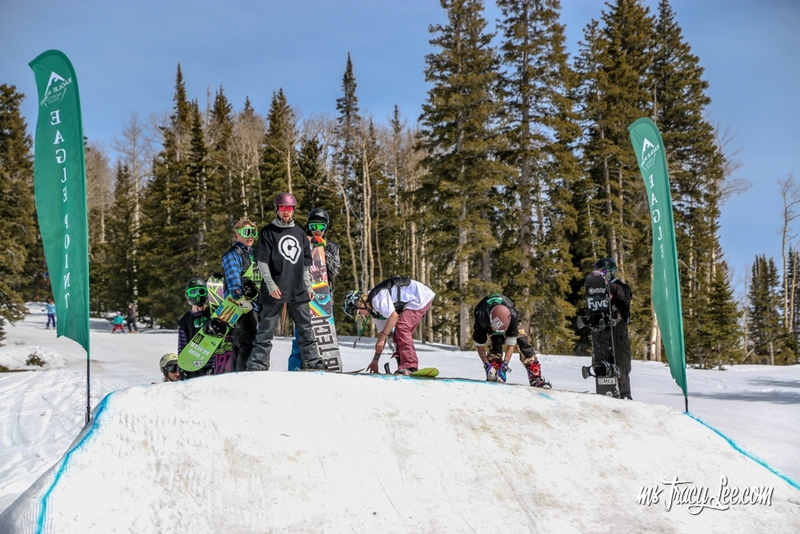 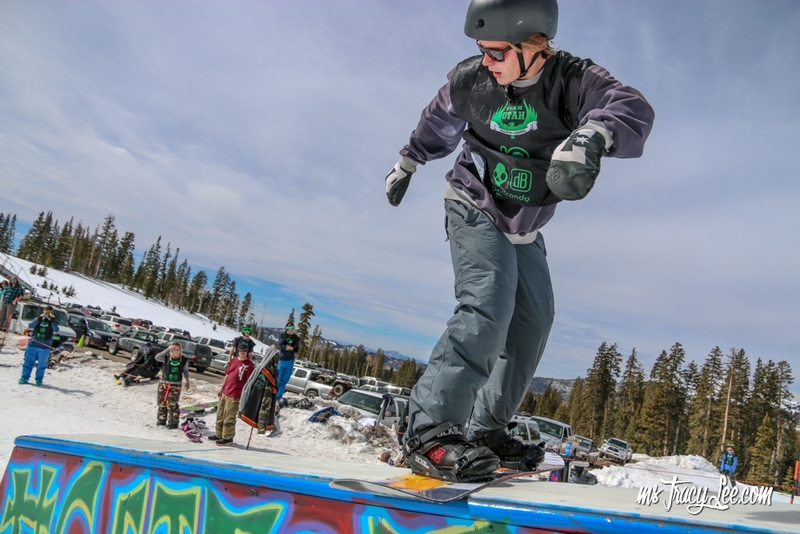 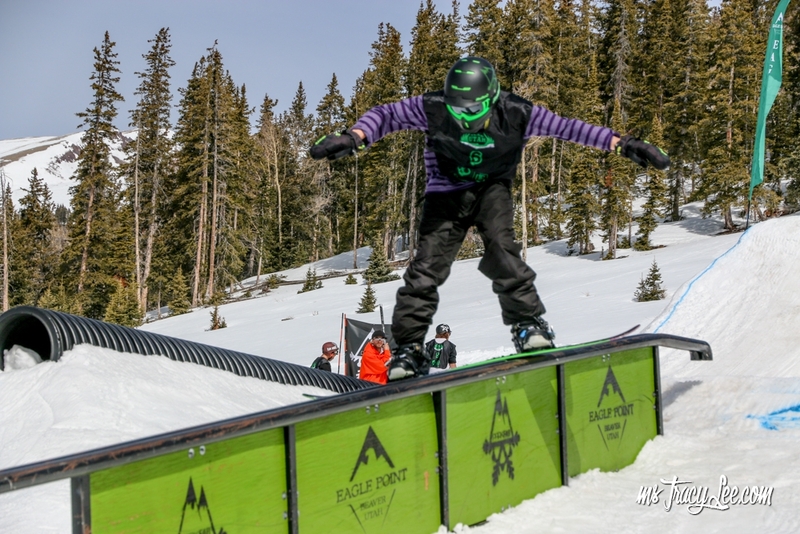 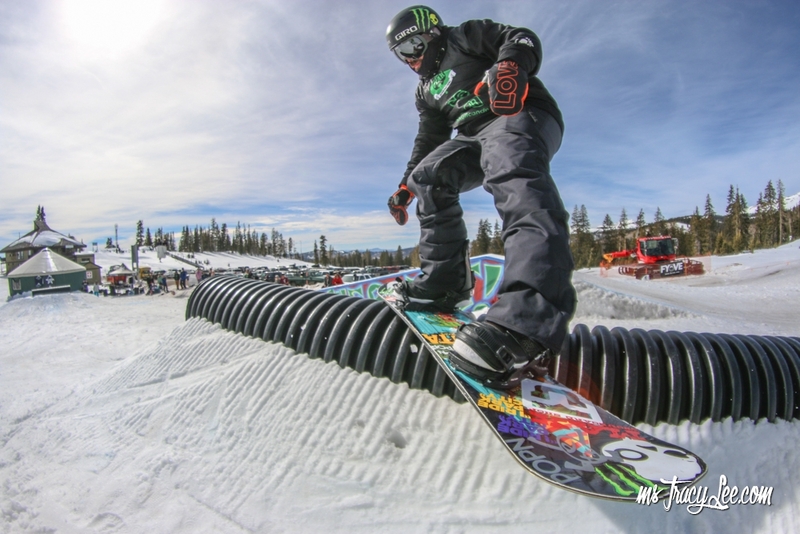 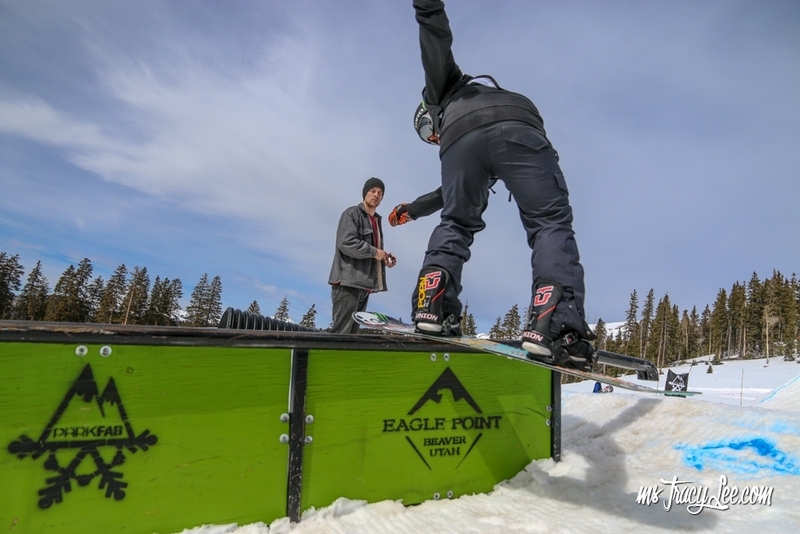 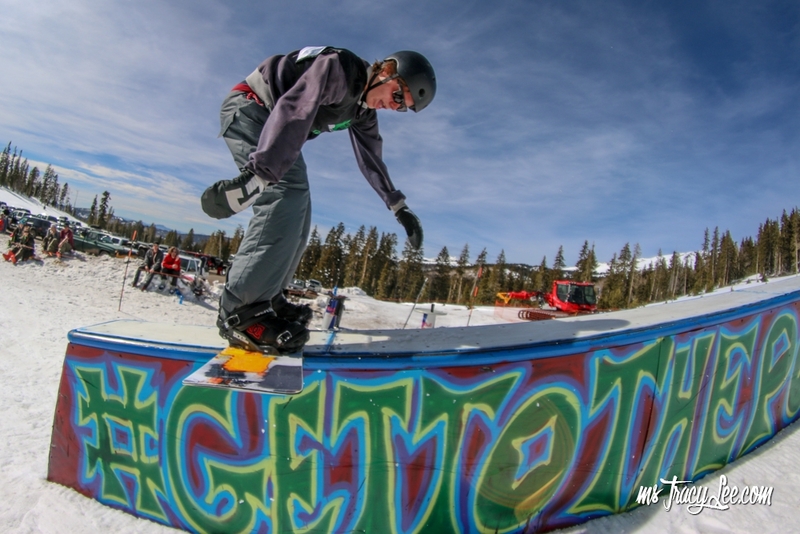 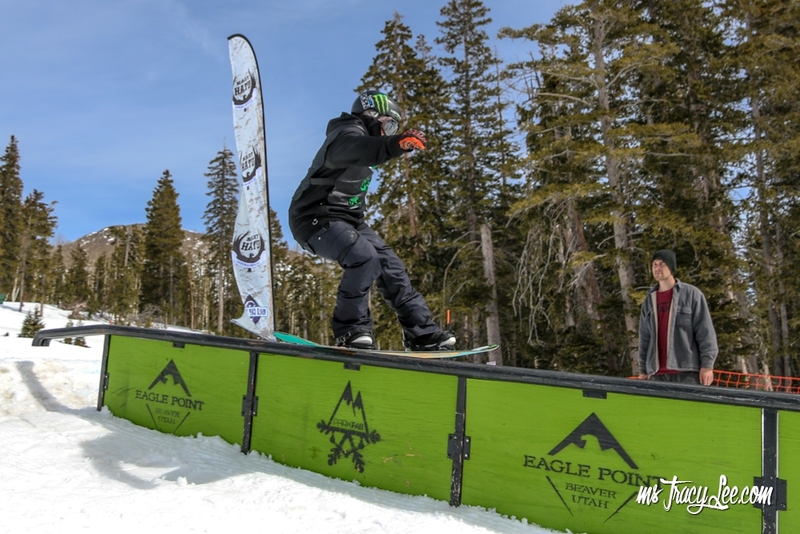 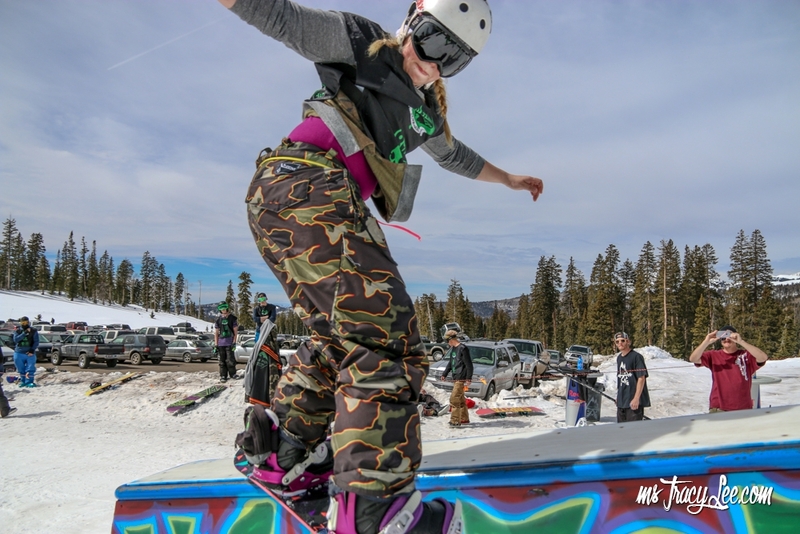 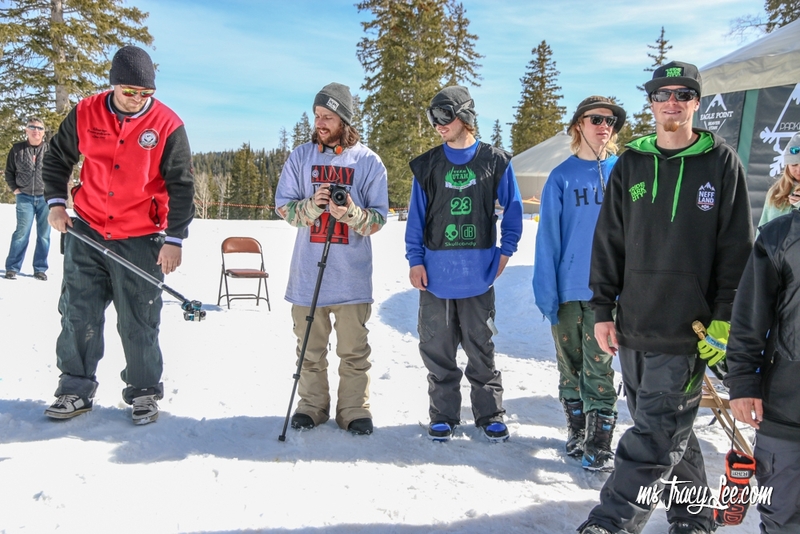 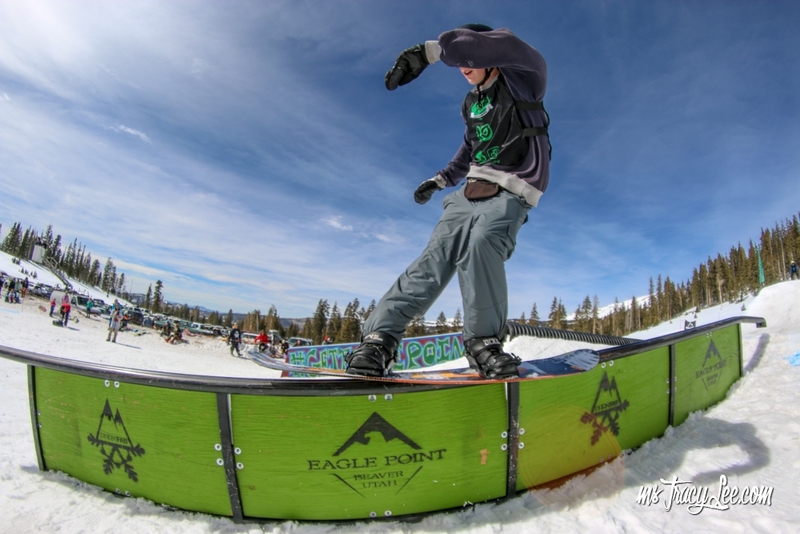 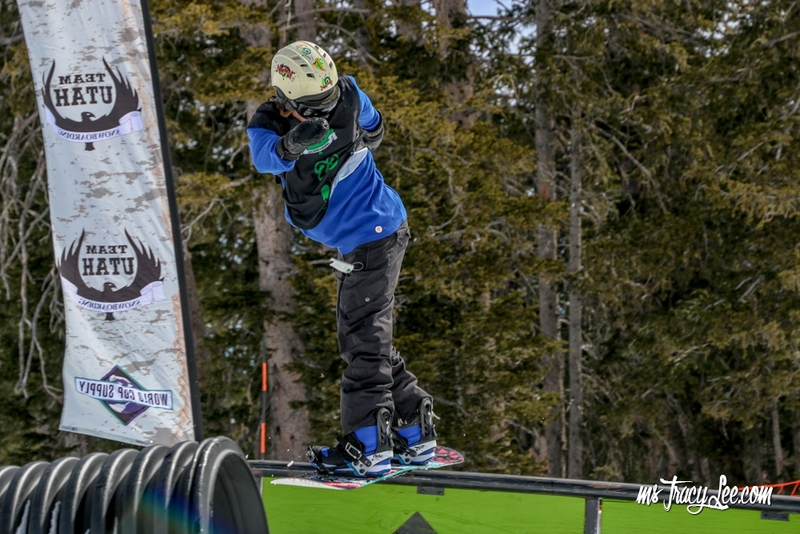 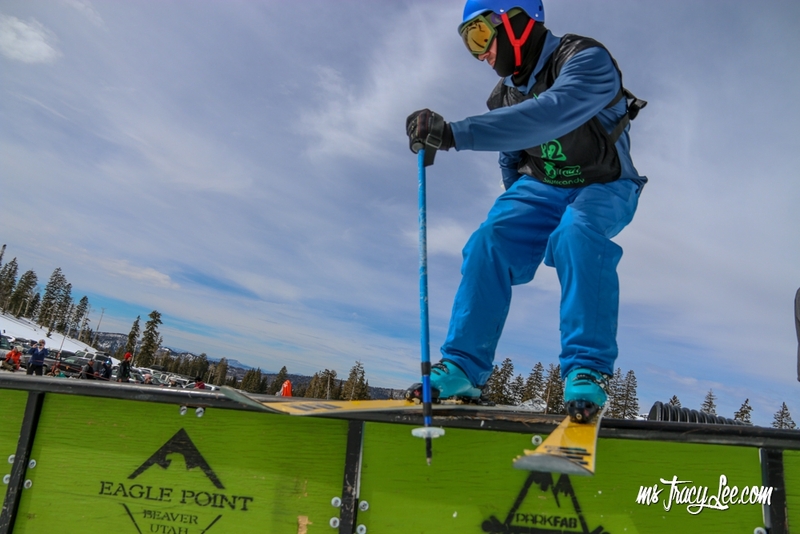 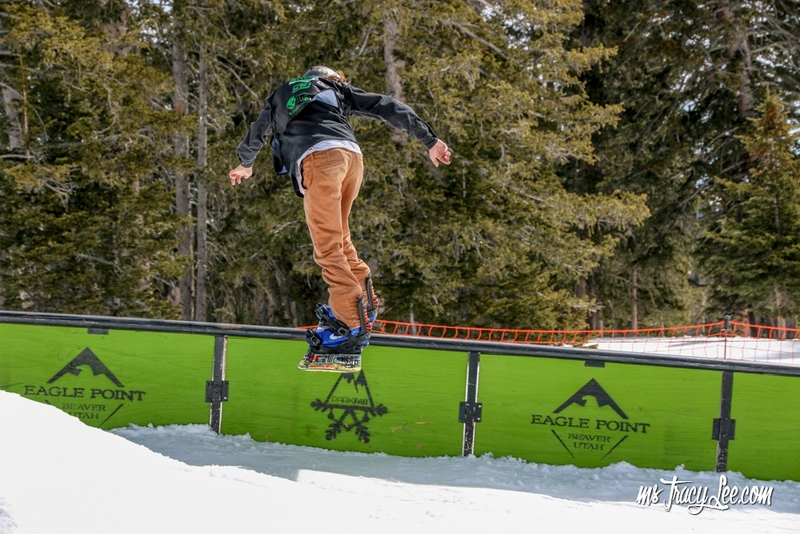 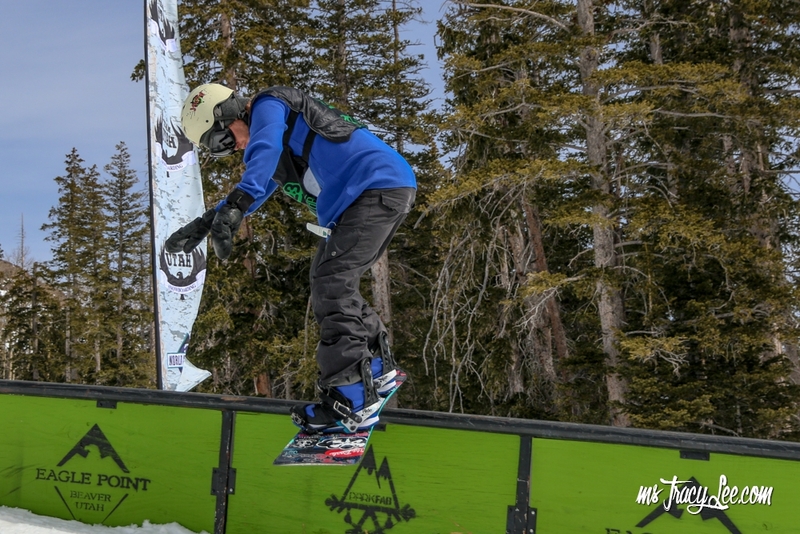 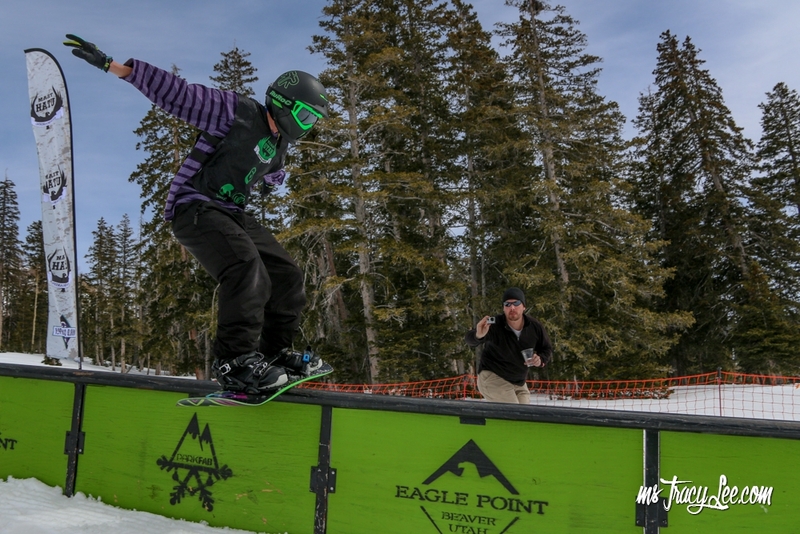 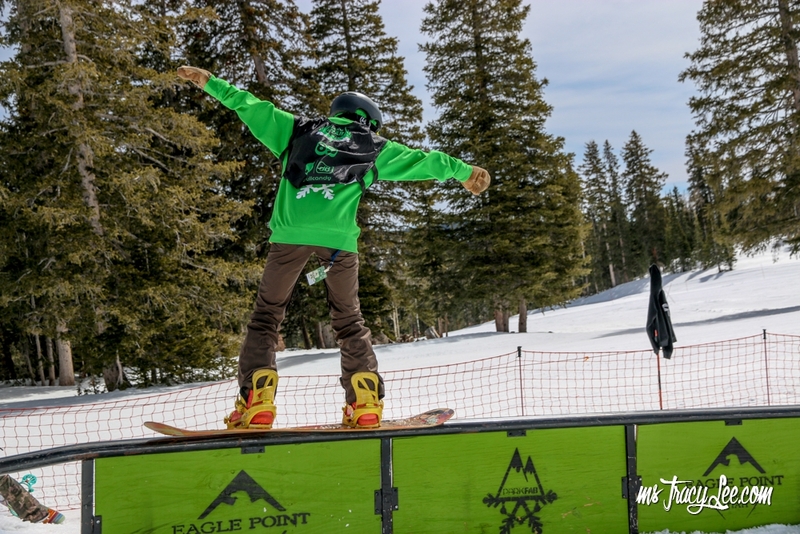 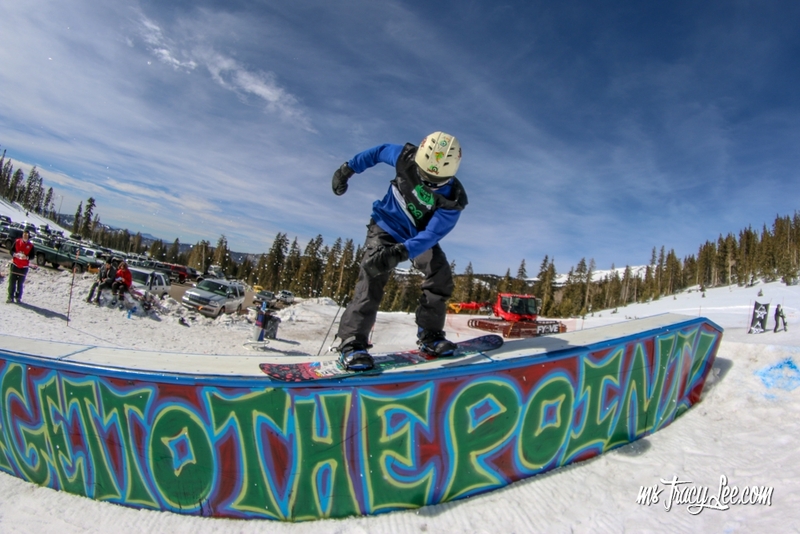 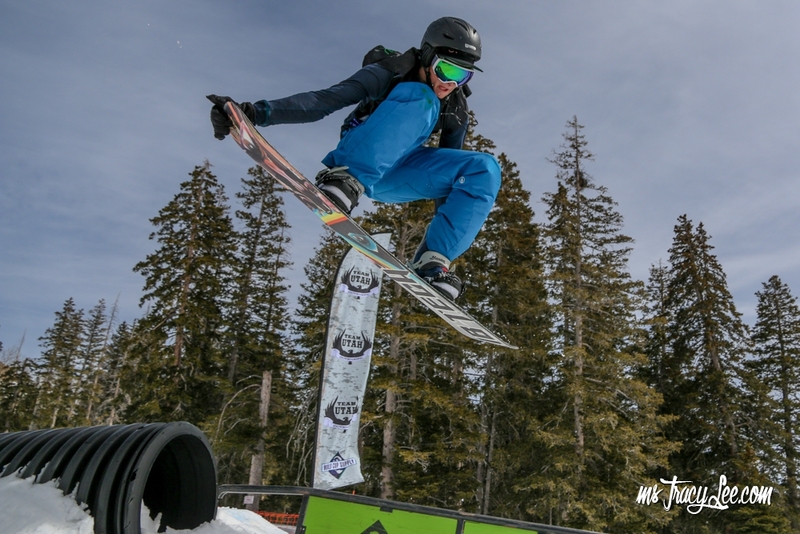 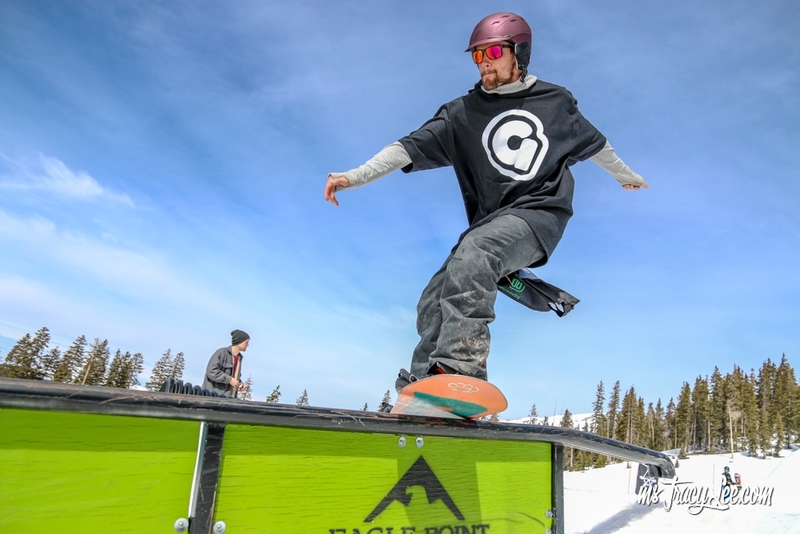 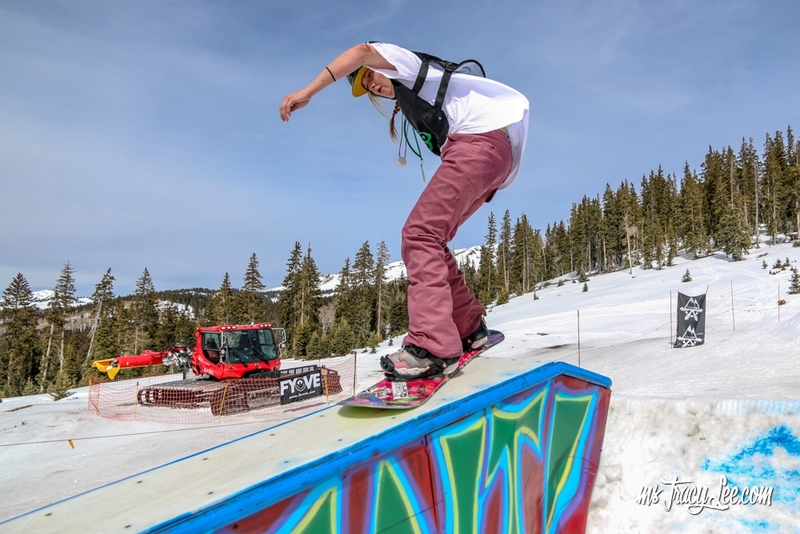 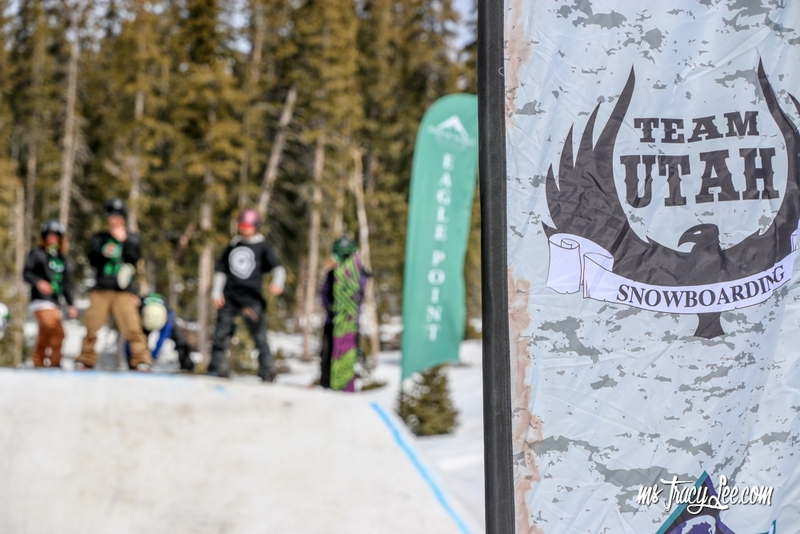 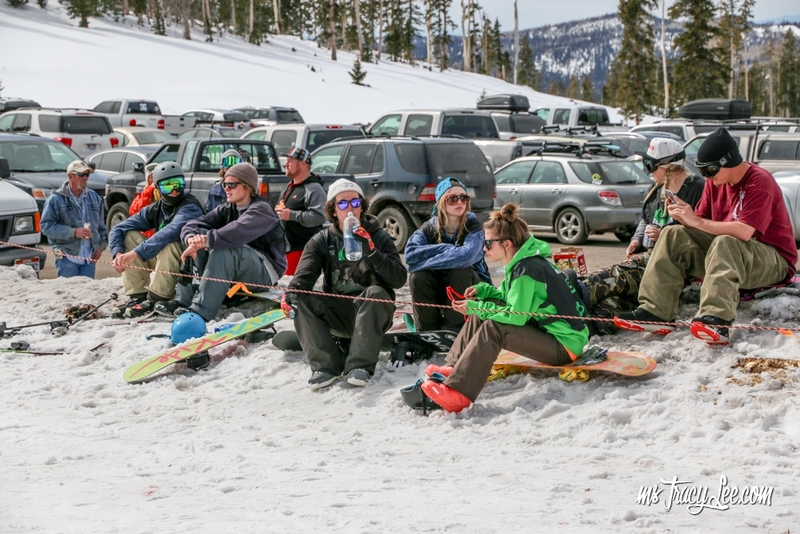 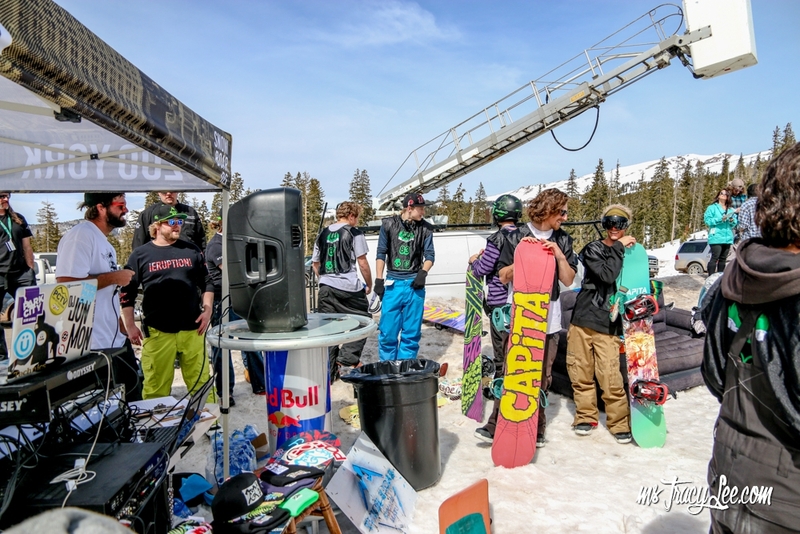 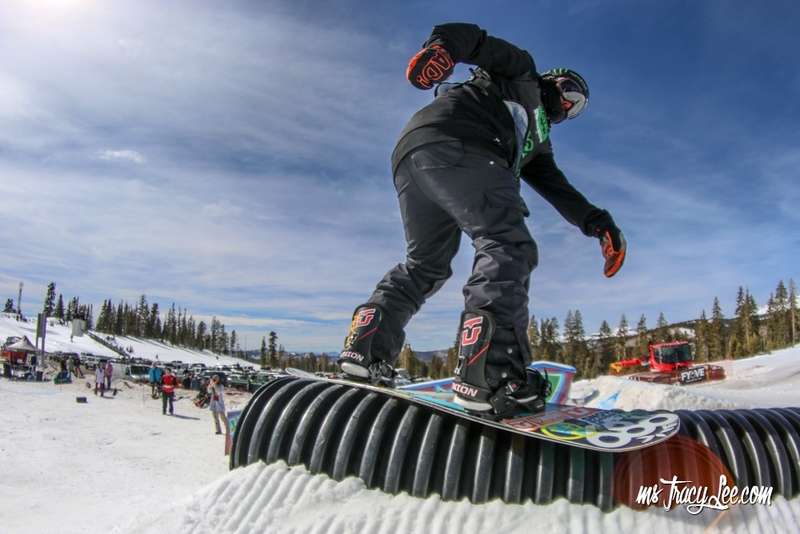 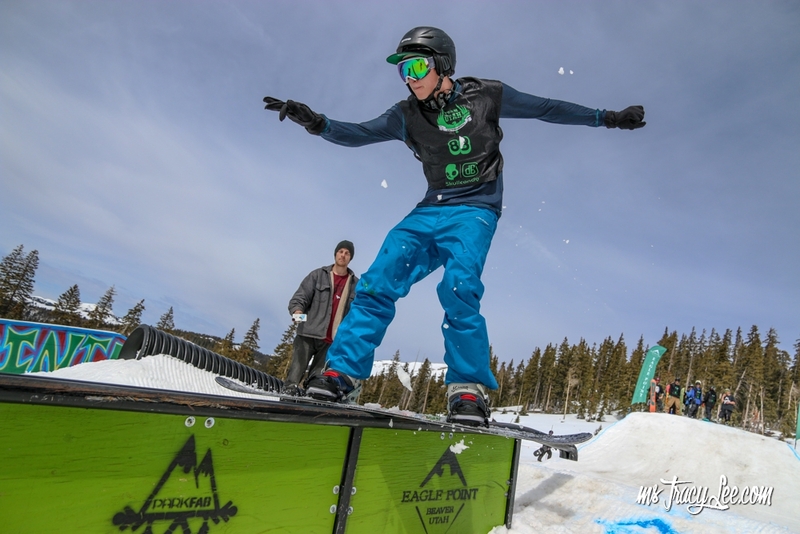 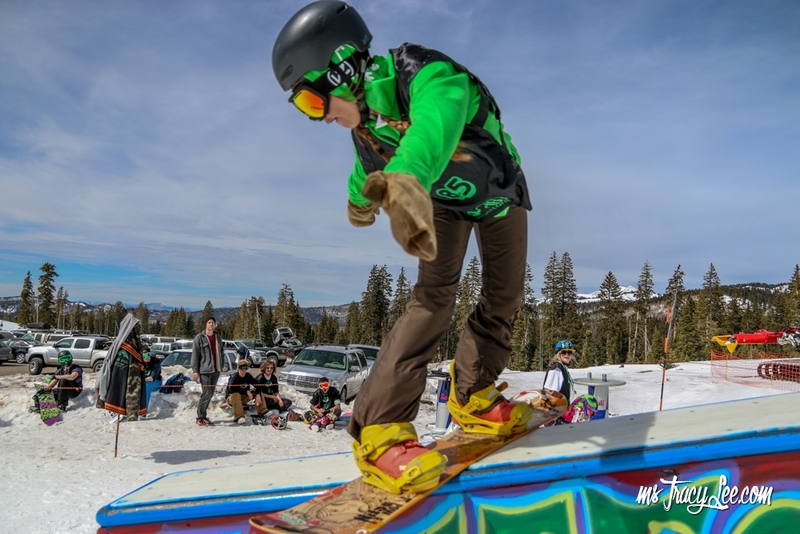 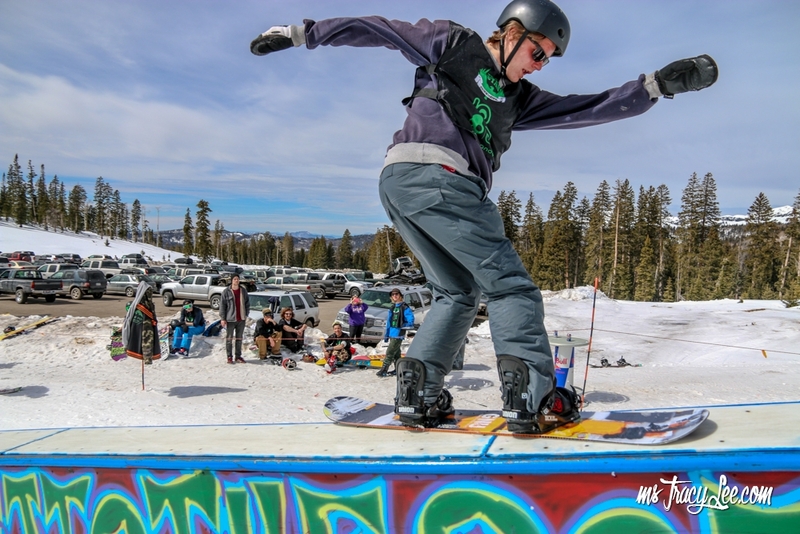 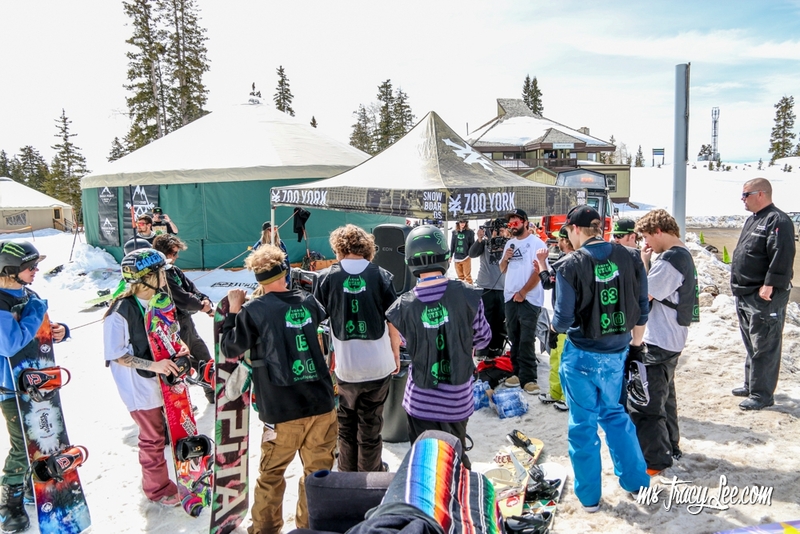 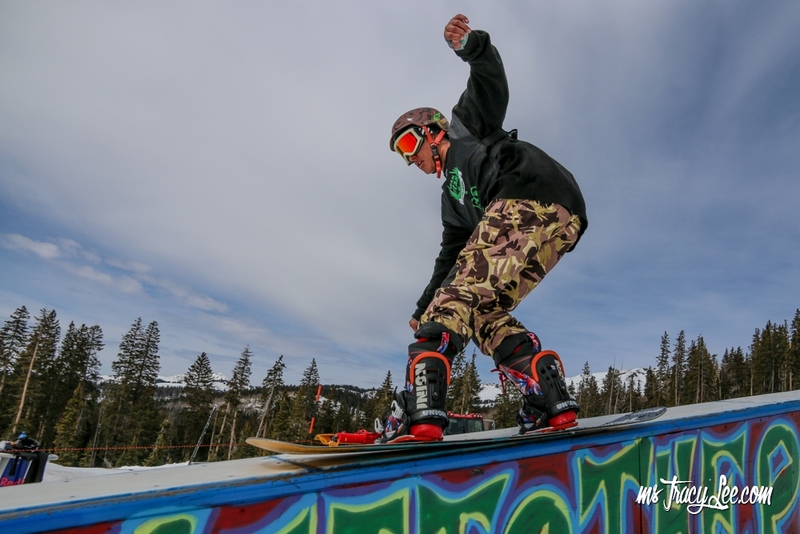 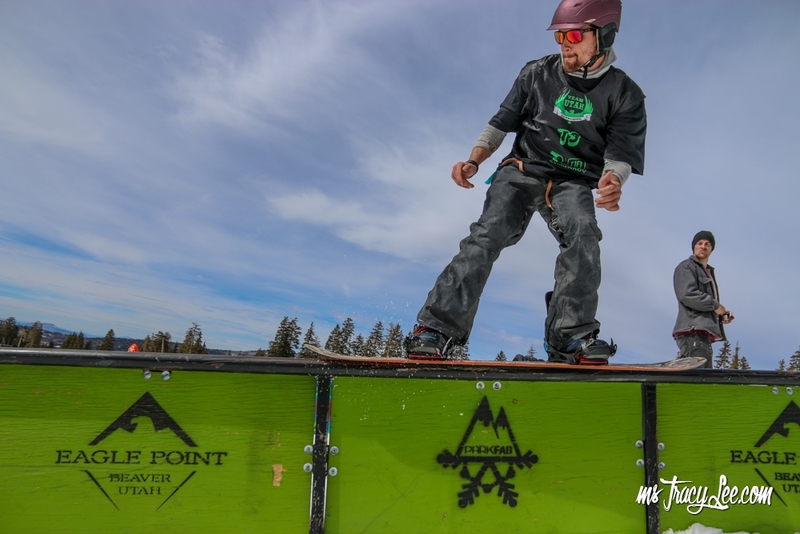 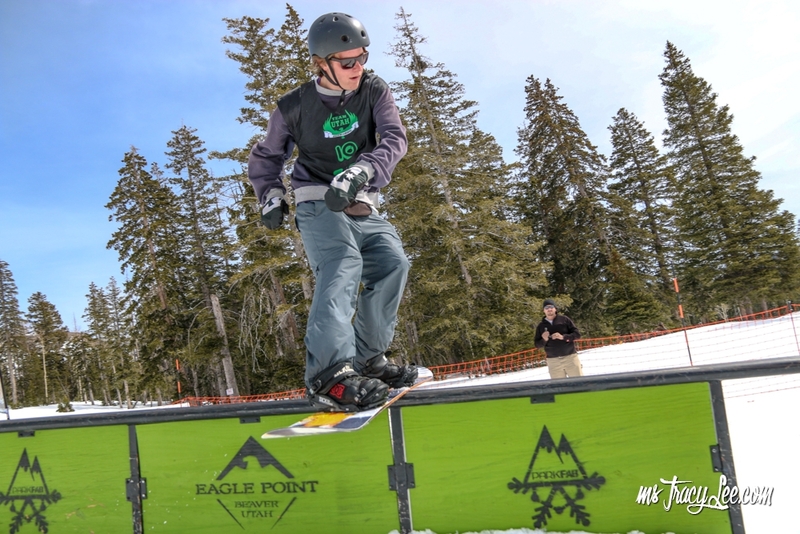 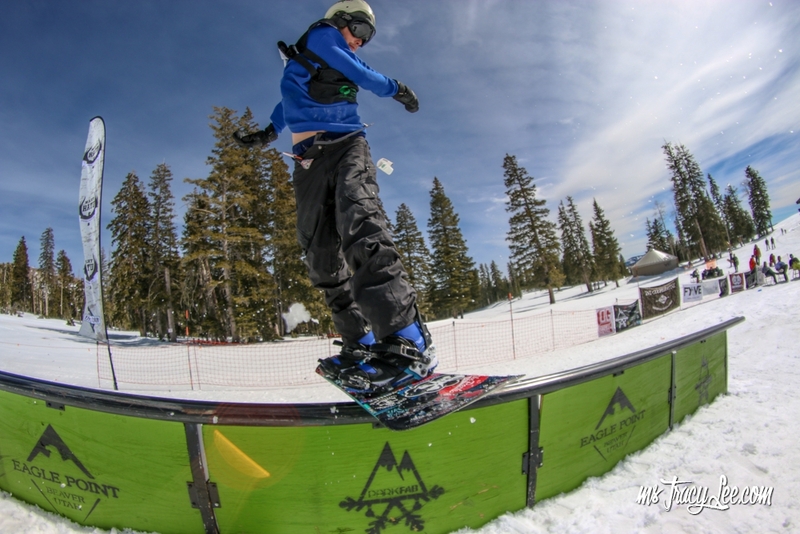 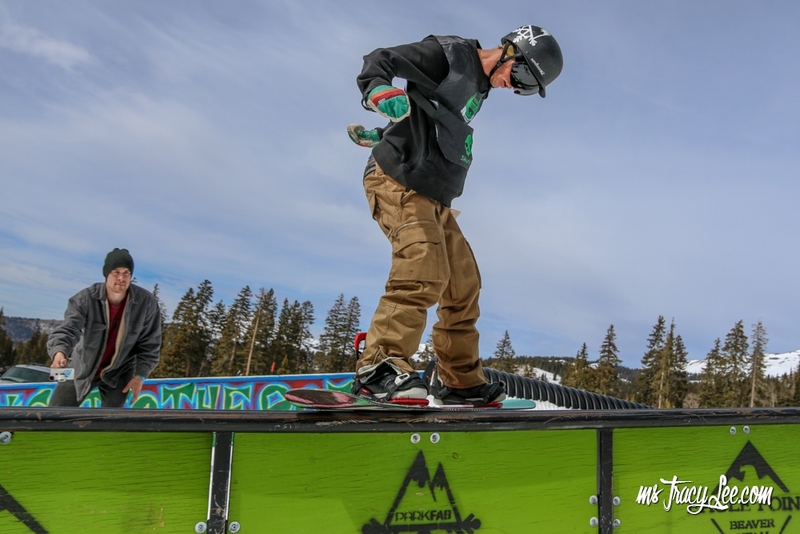 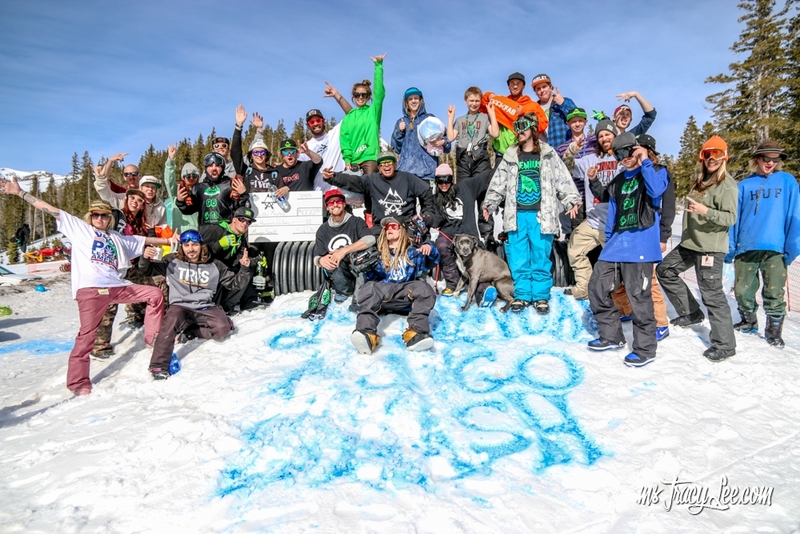 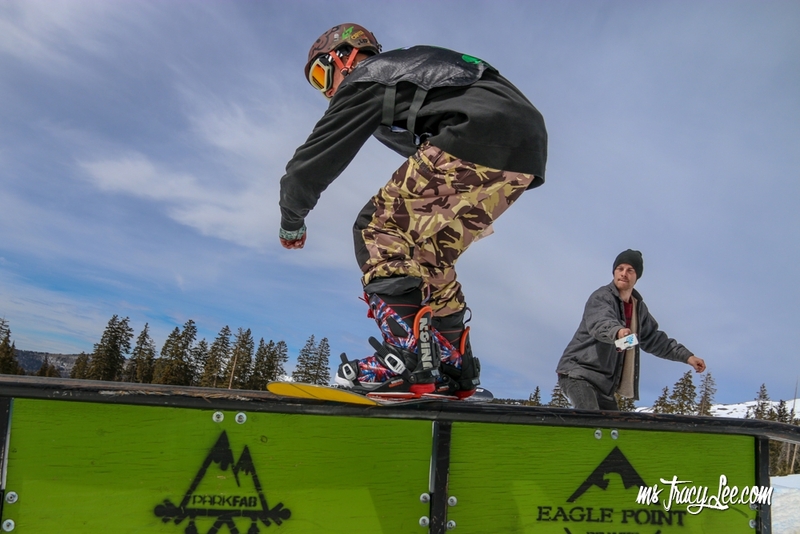 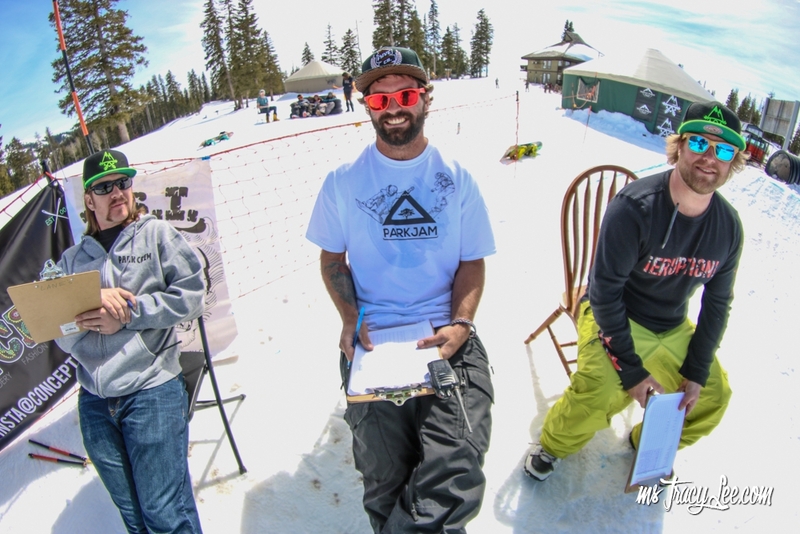 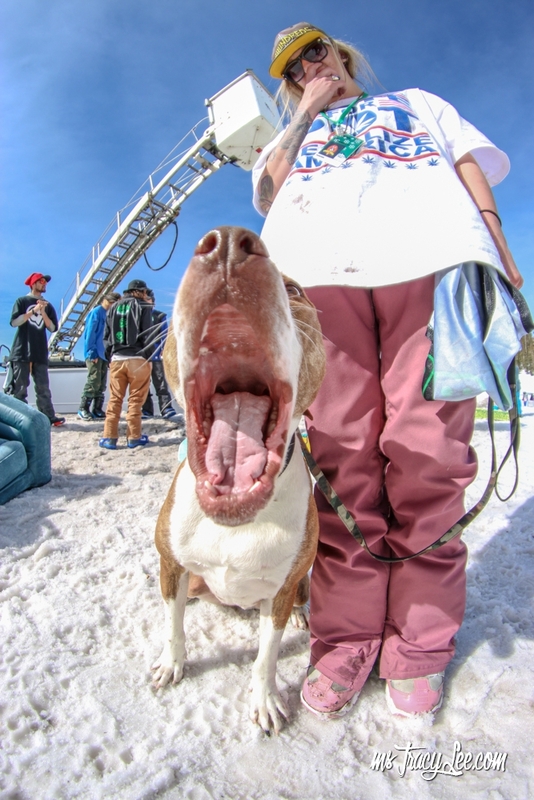 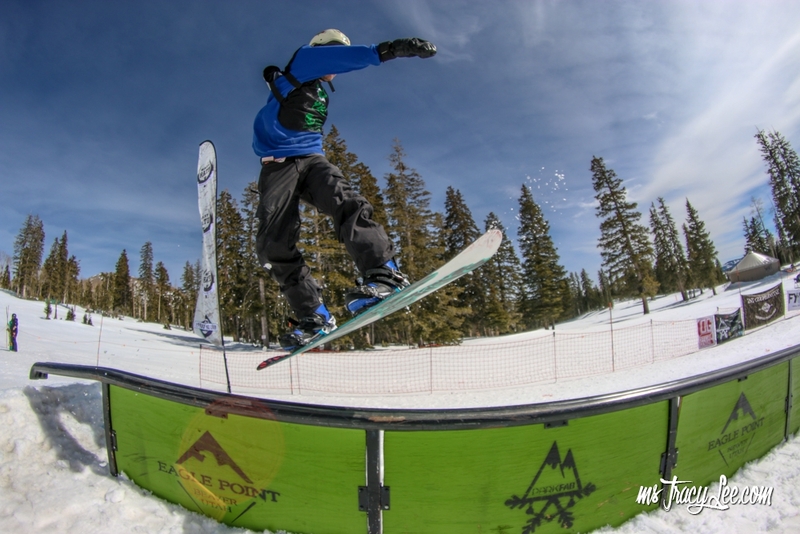 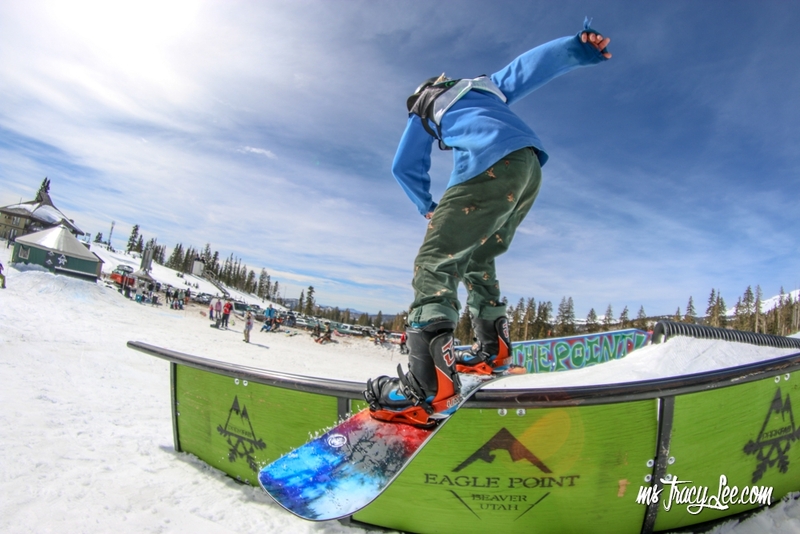 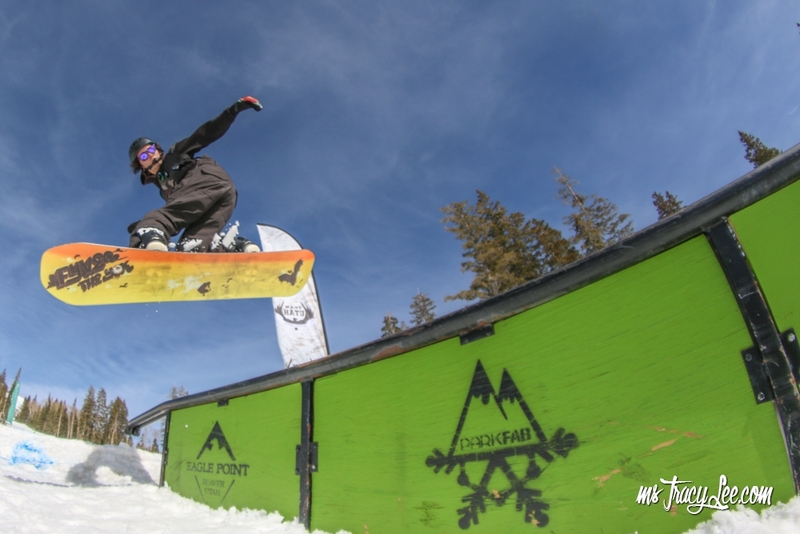 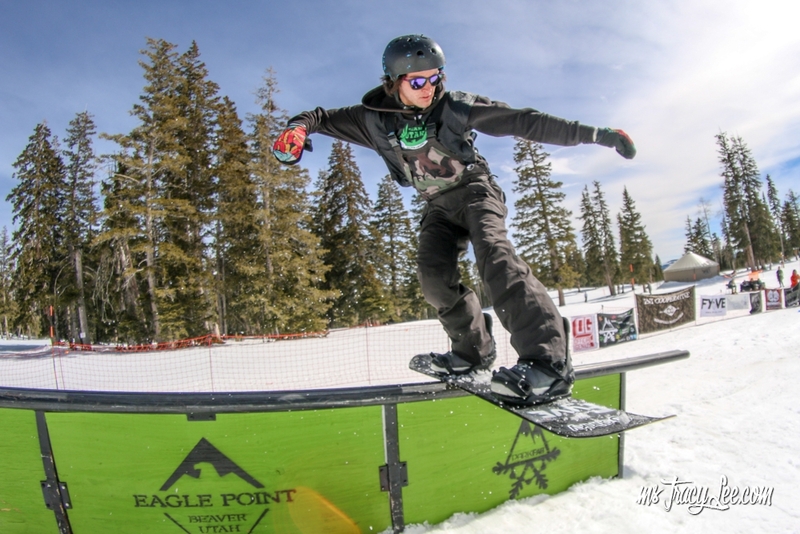 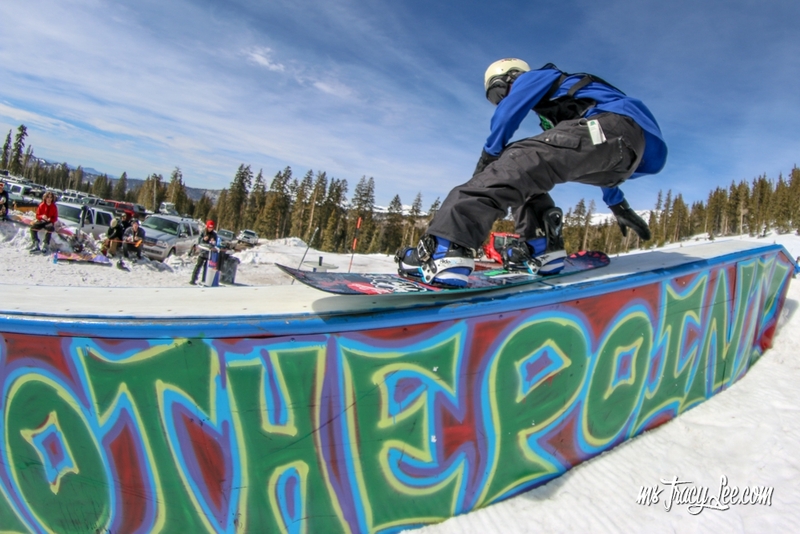 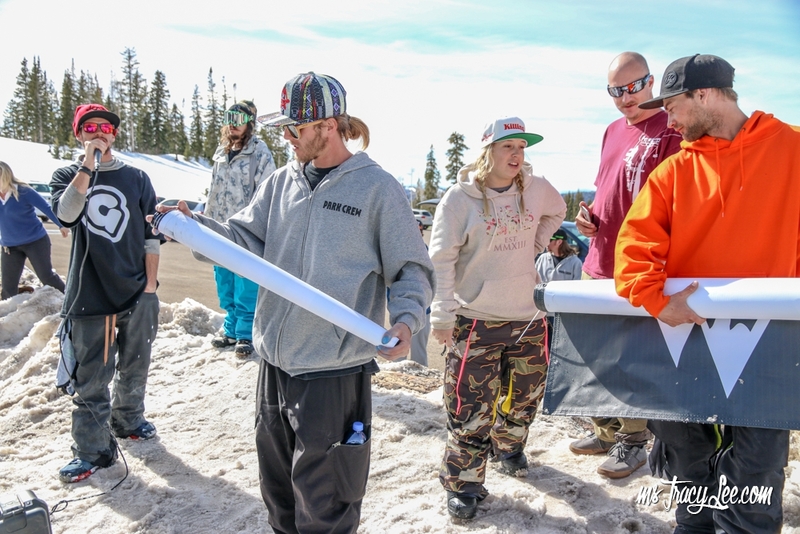 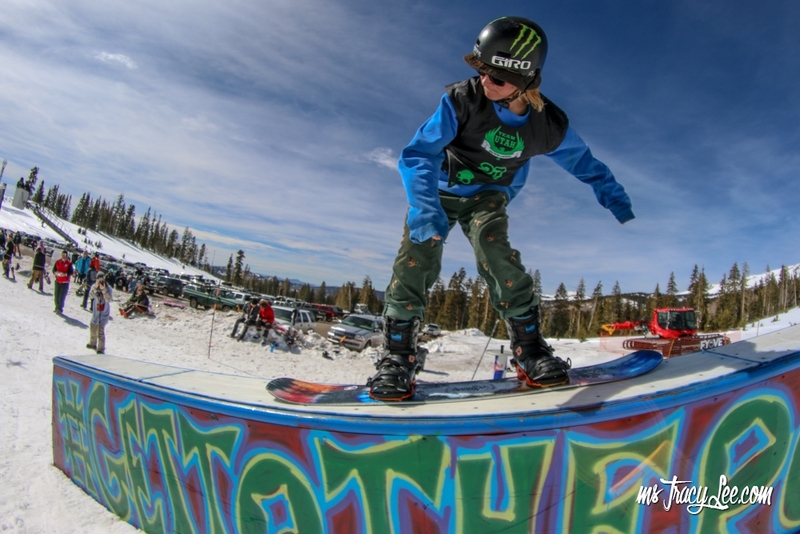 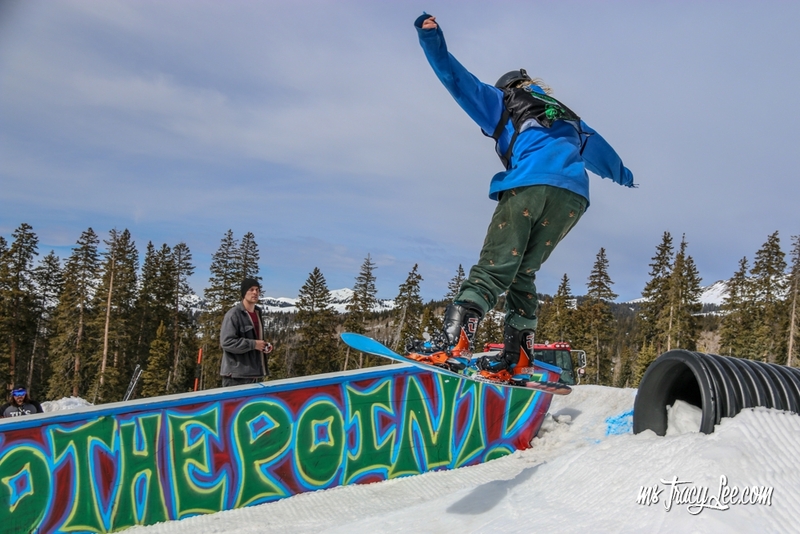 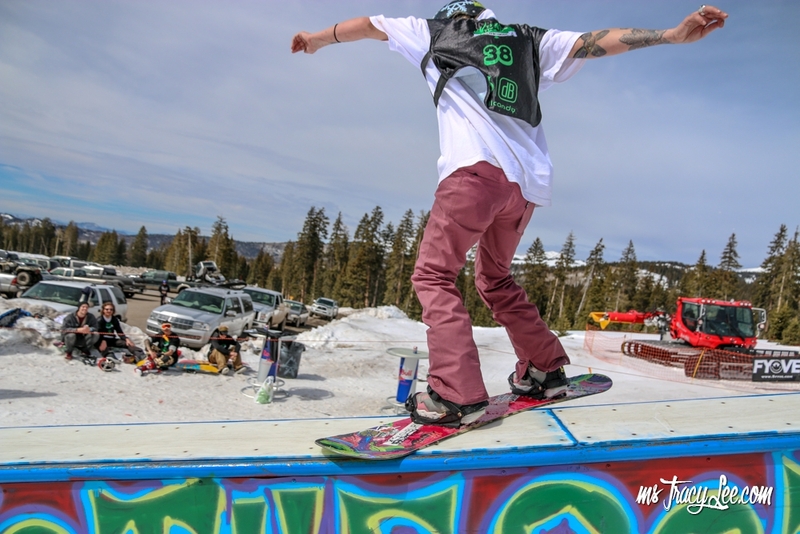 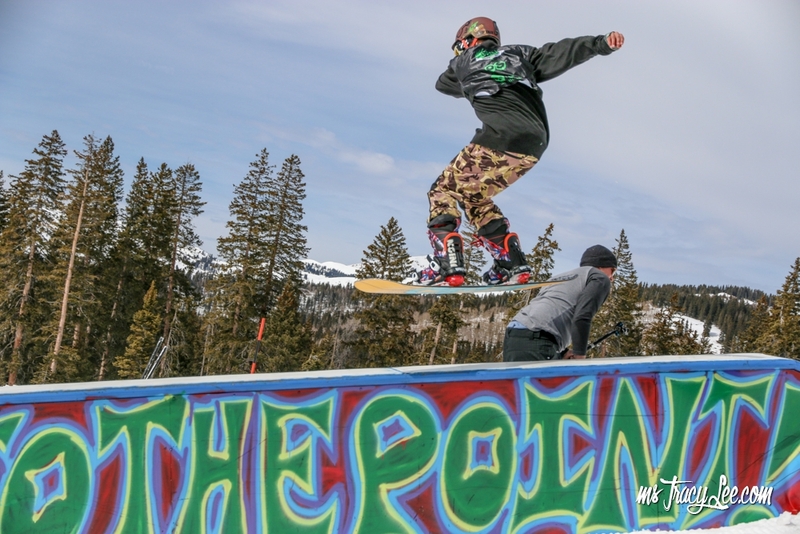 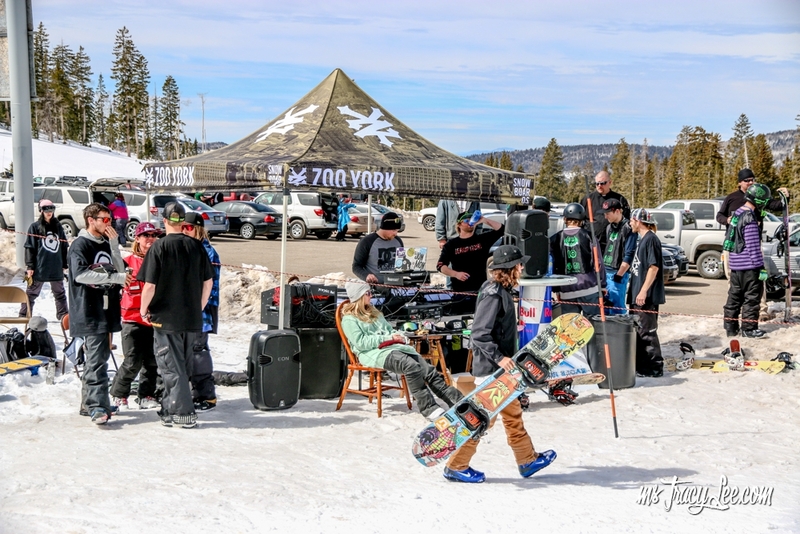 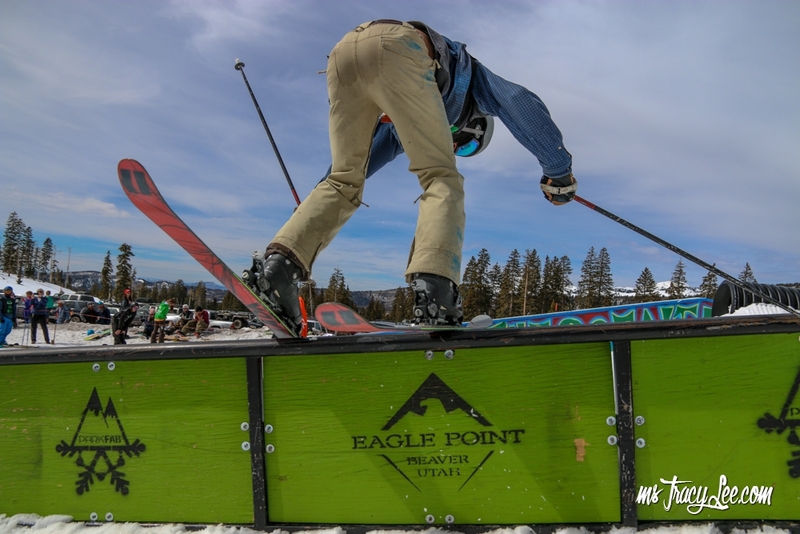 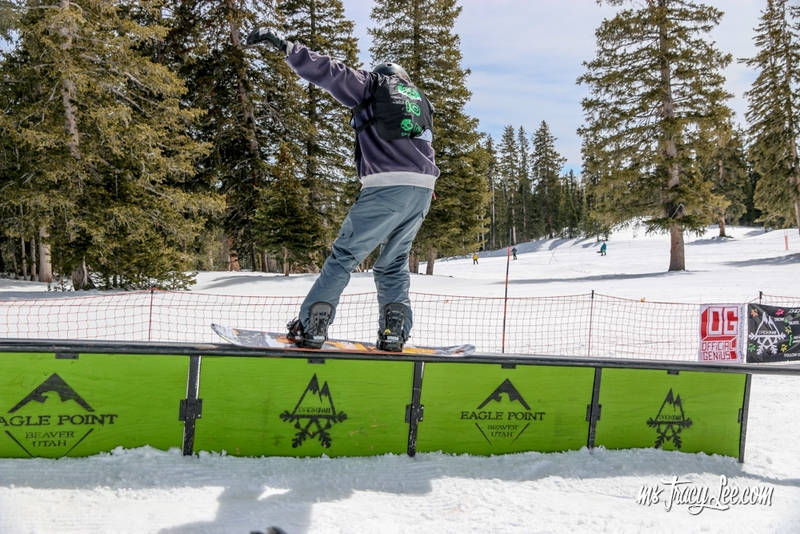 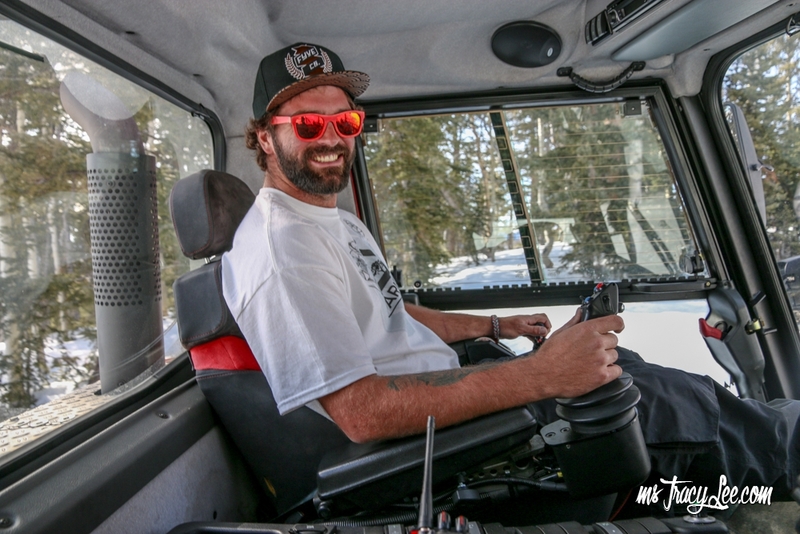 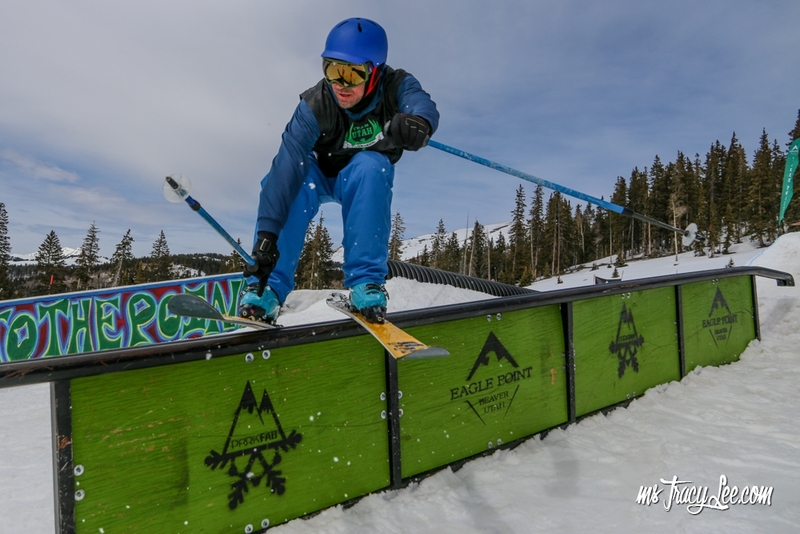 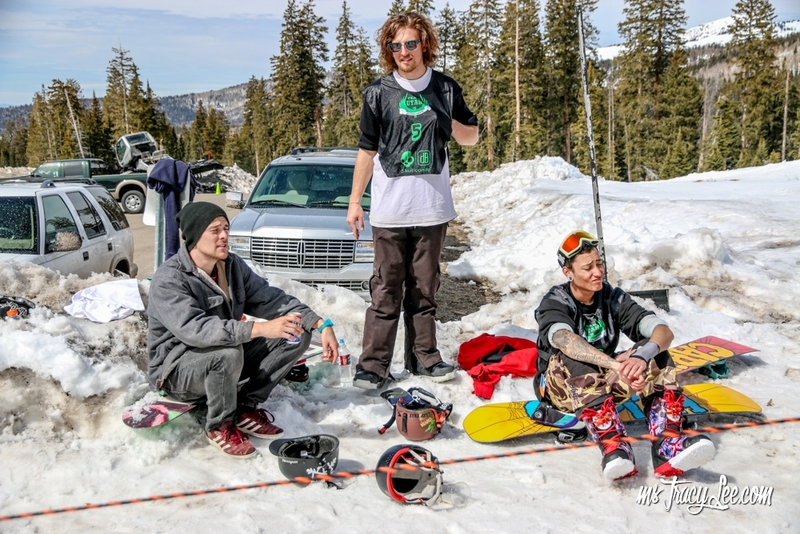 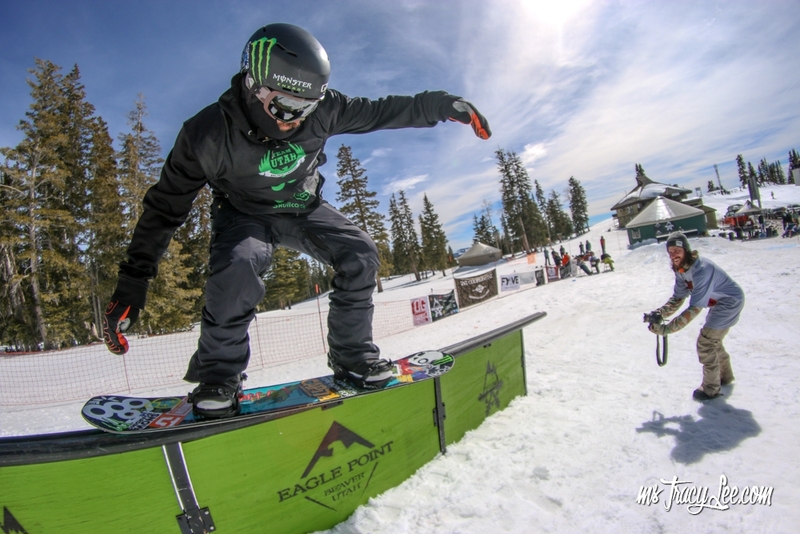 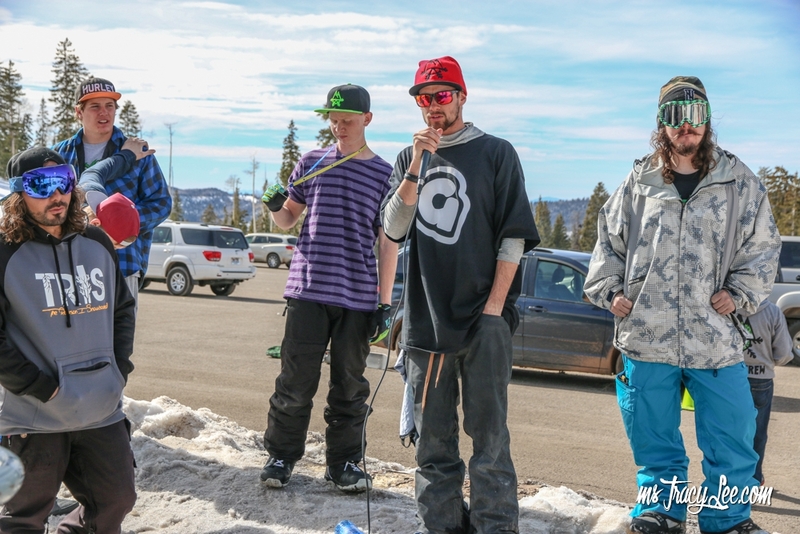 The 2nd Annual Mongo Smash at Eagle Point Resort went down last Saturday next to the parking lot of the Upper Lodge.. Mongo and the Park Fab team built a 3 rail set up for the competitors to hit. 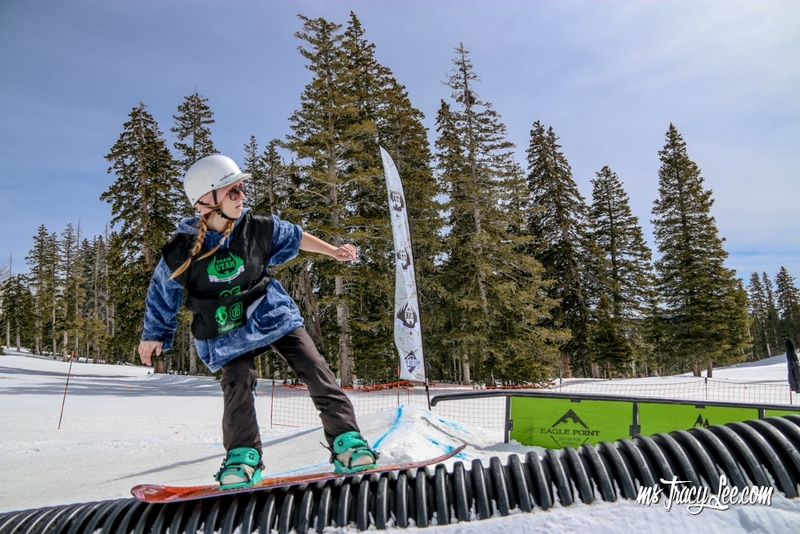 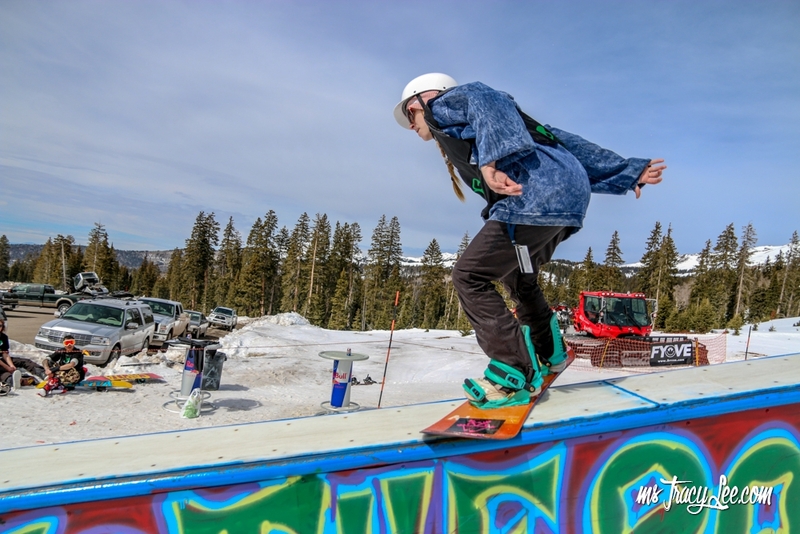 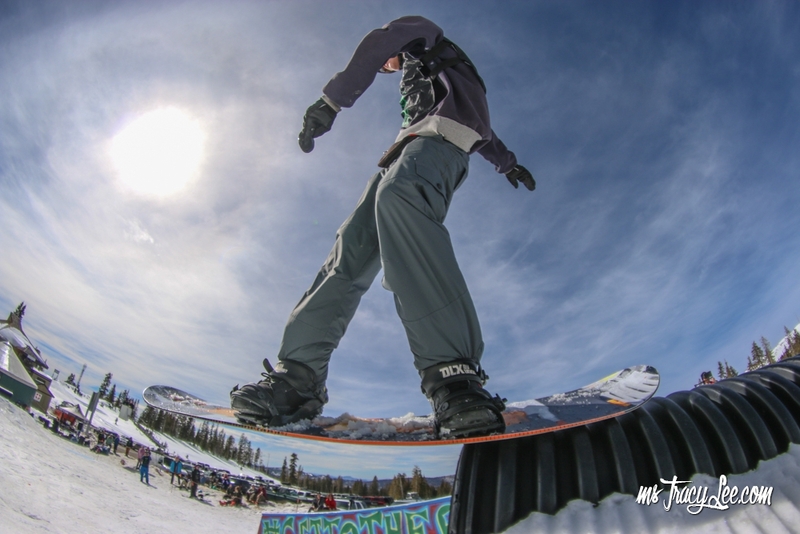 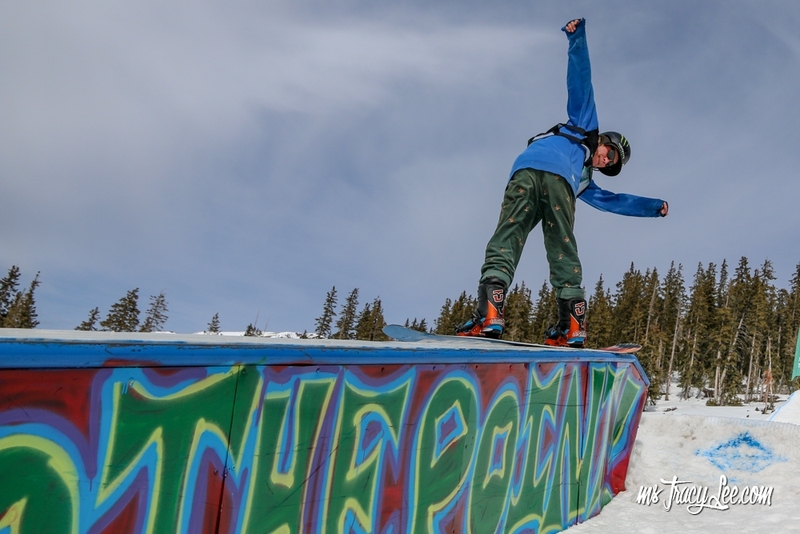 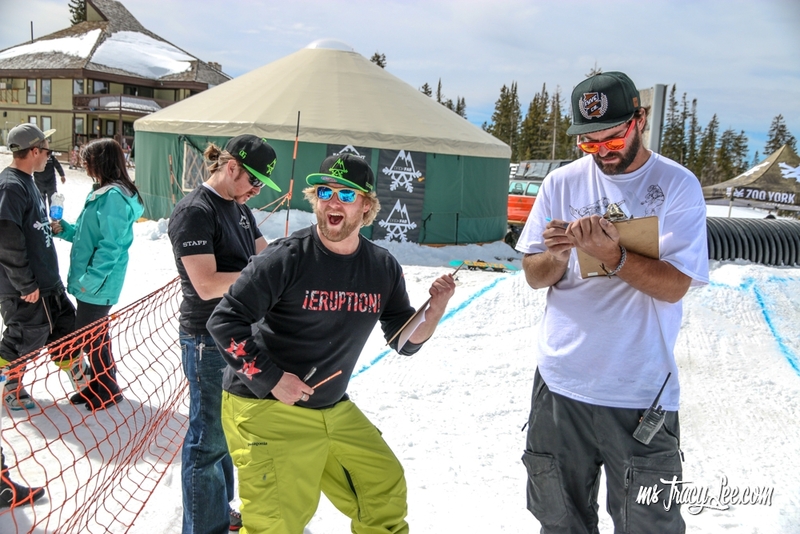 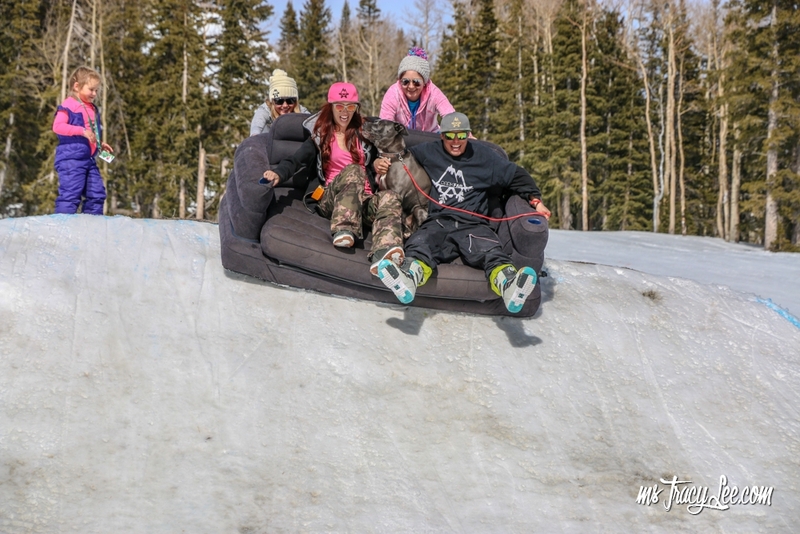 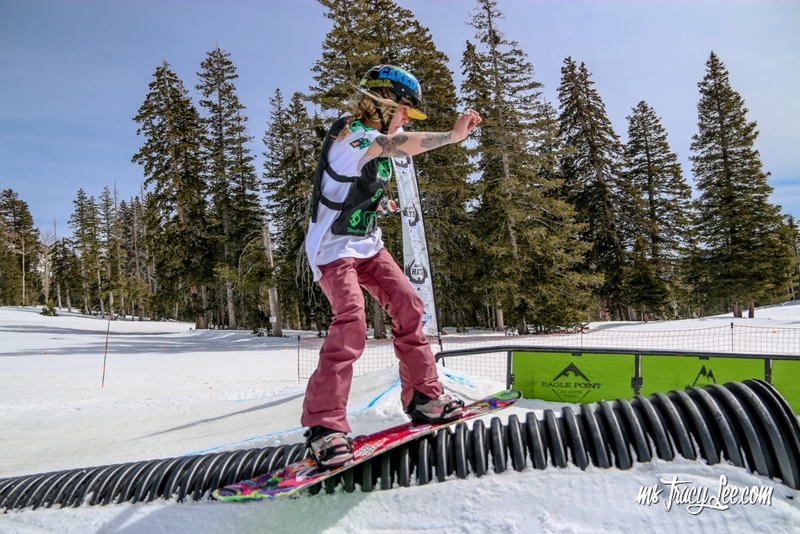 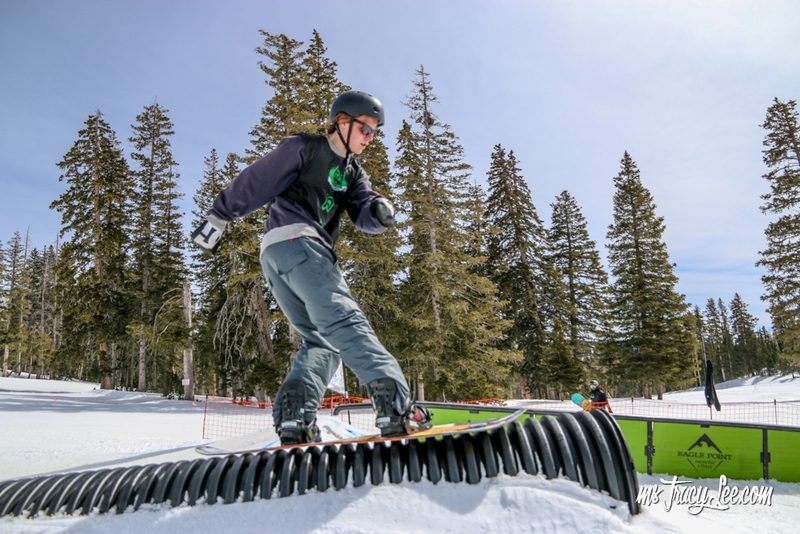 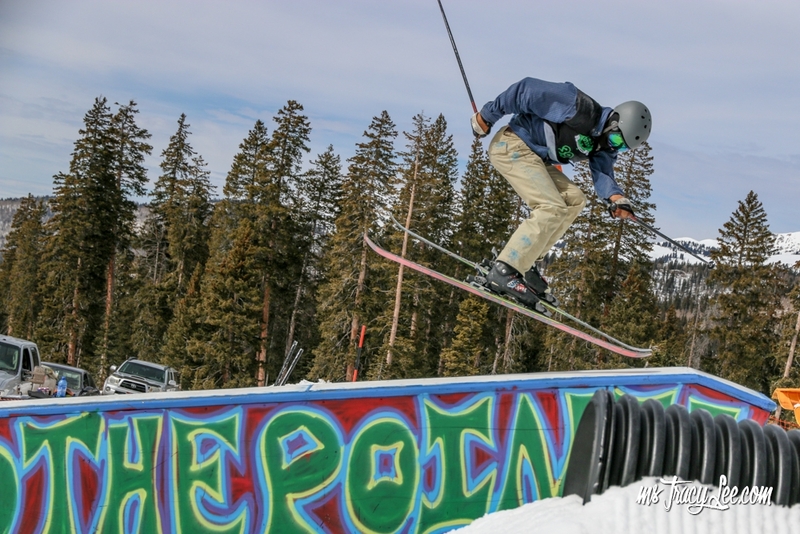 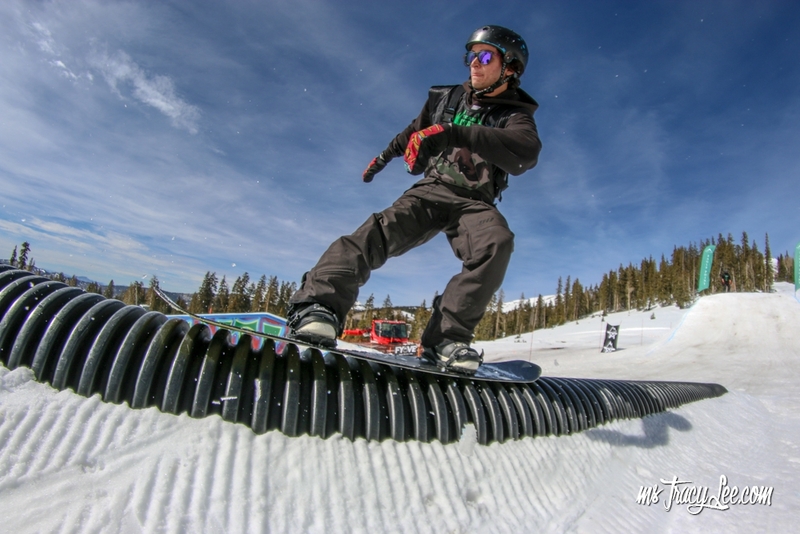 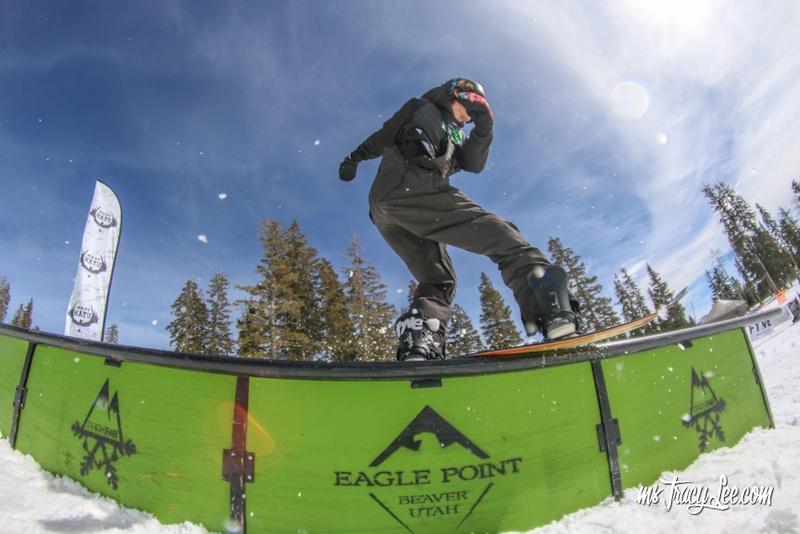 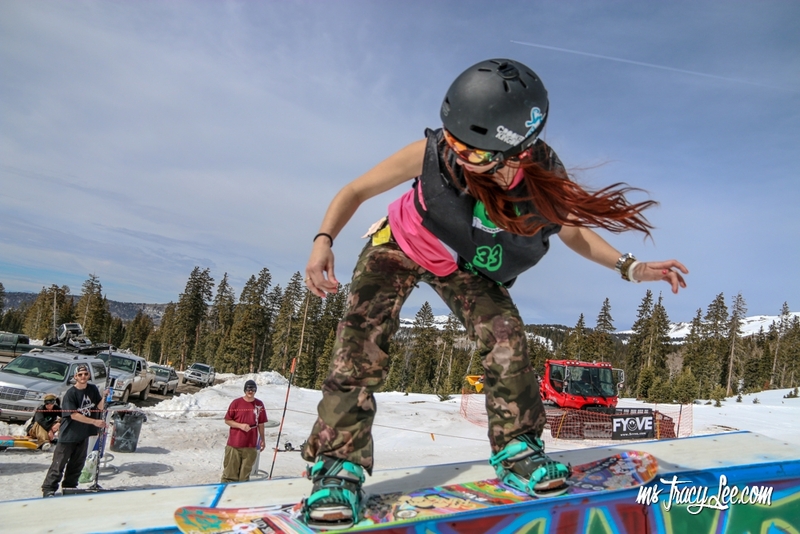 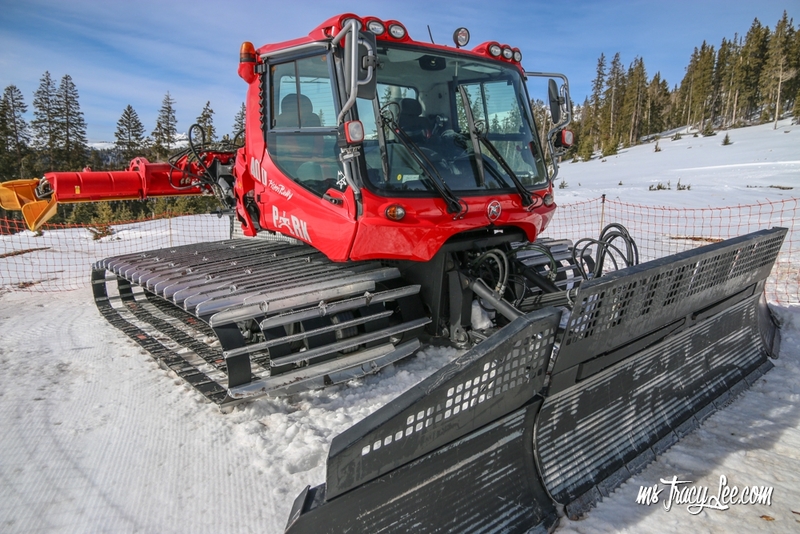 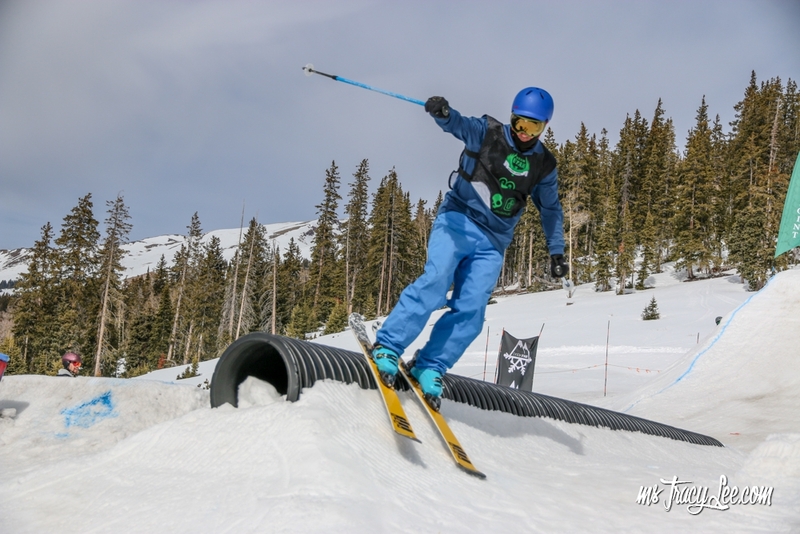 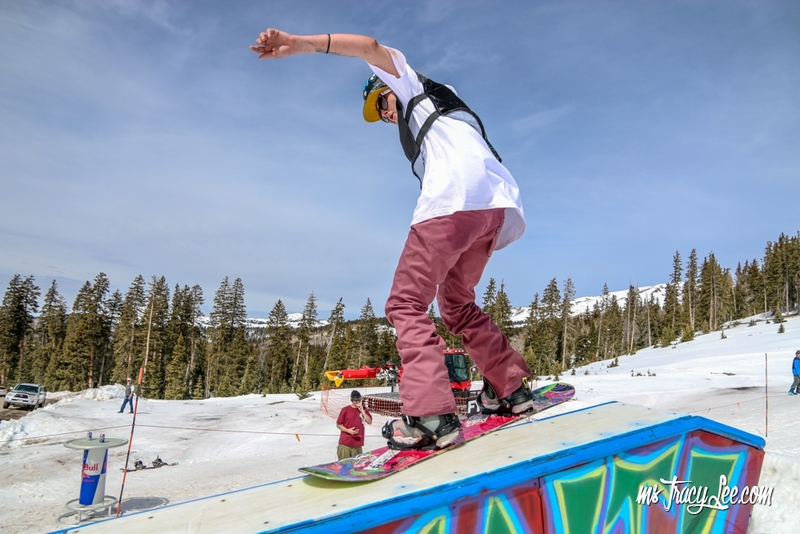 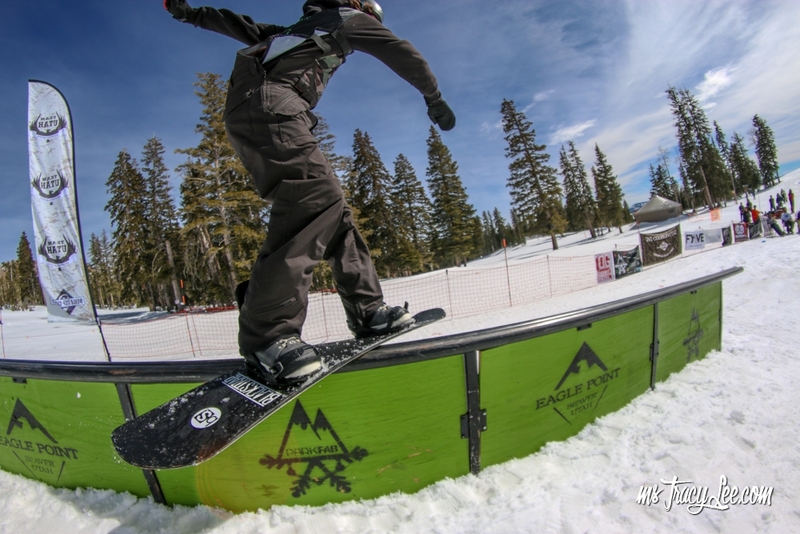 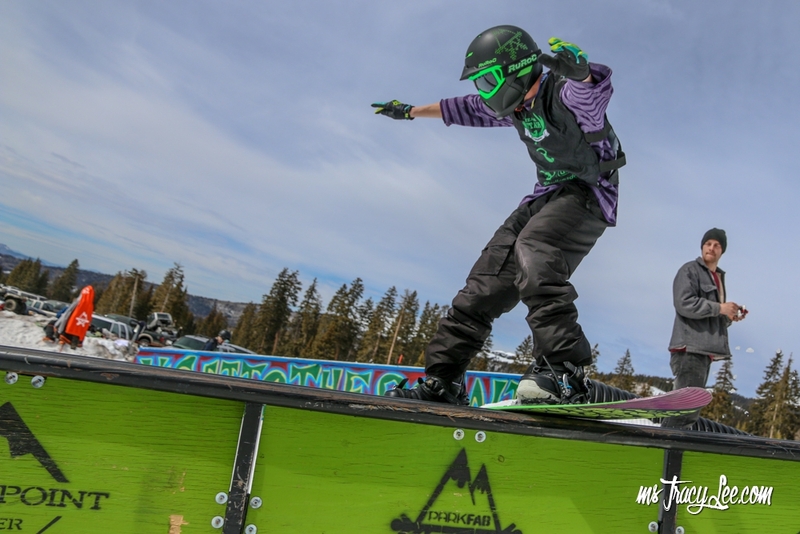 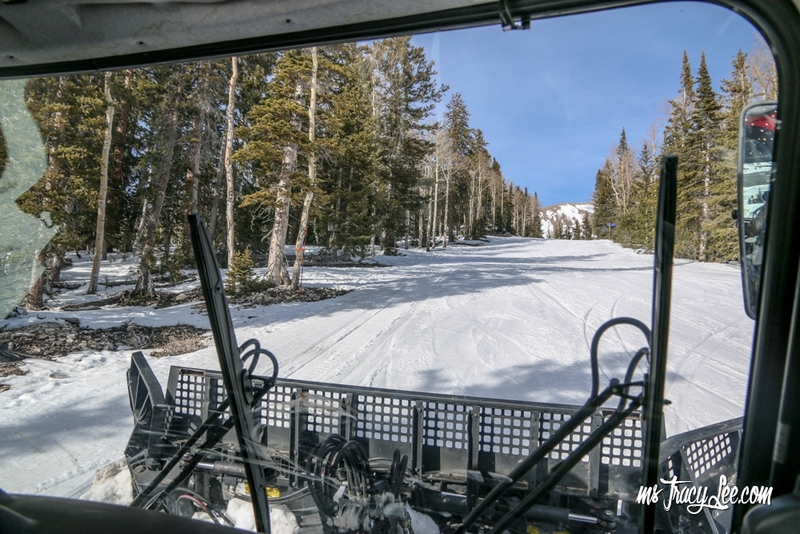 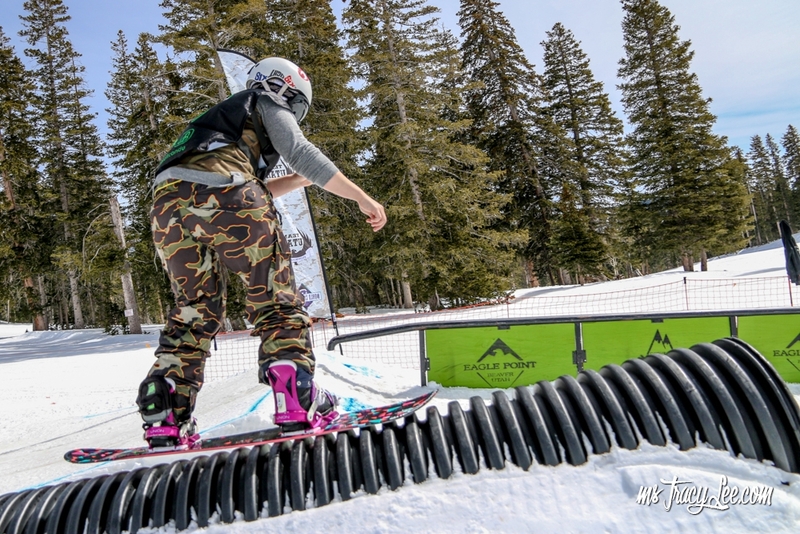 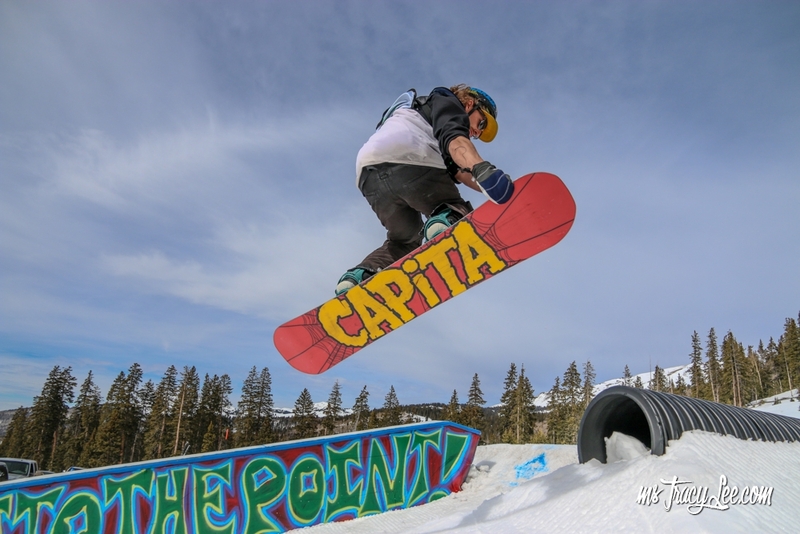 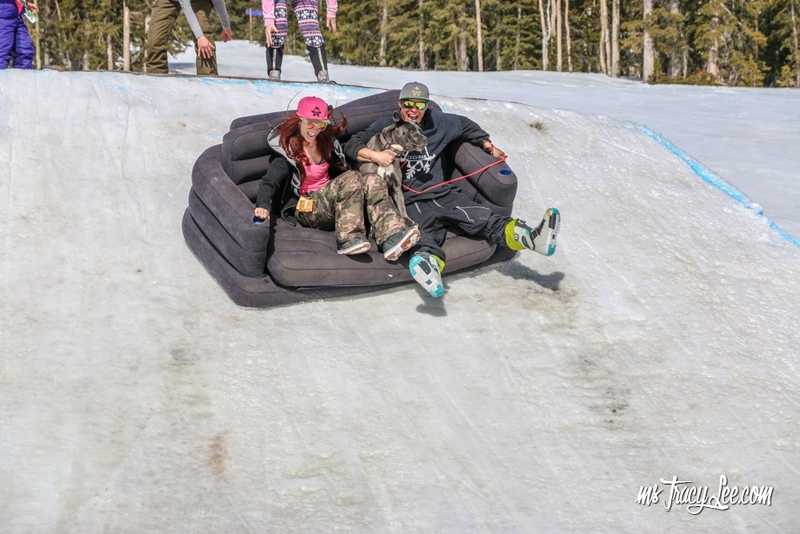 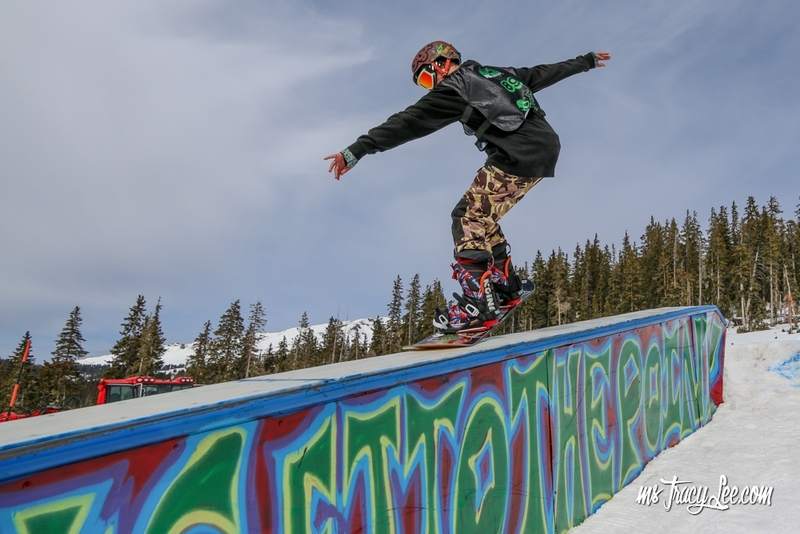 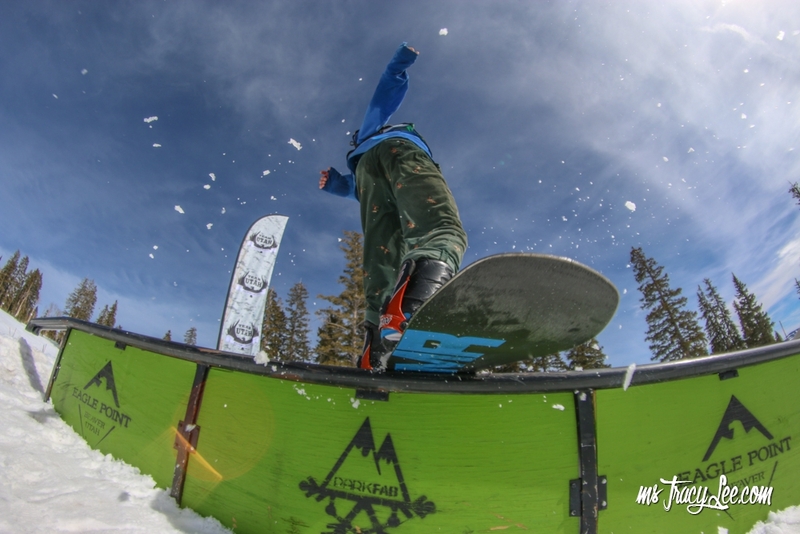 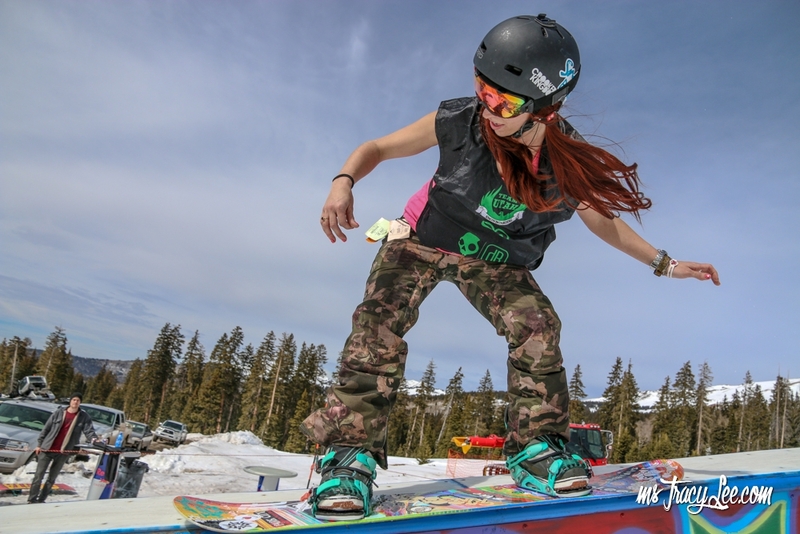 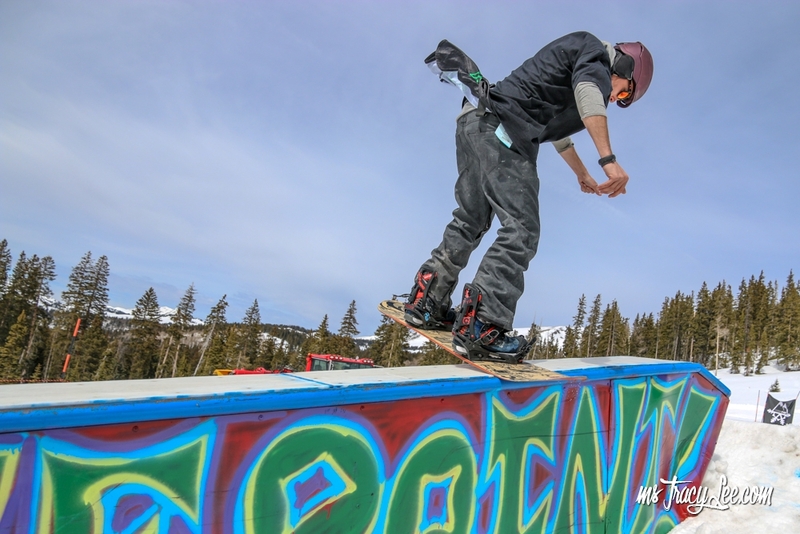 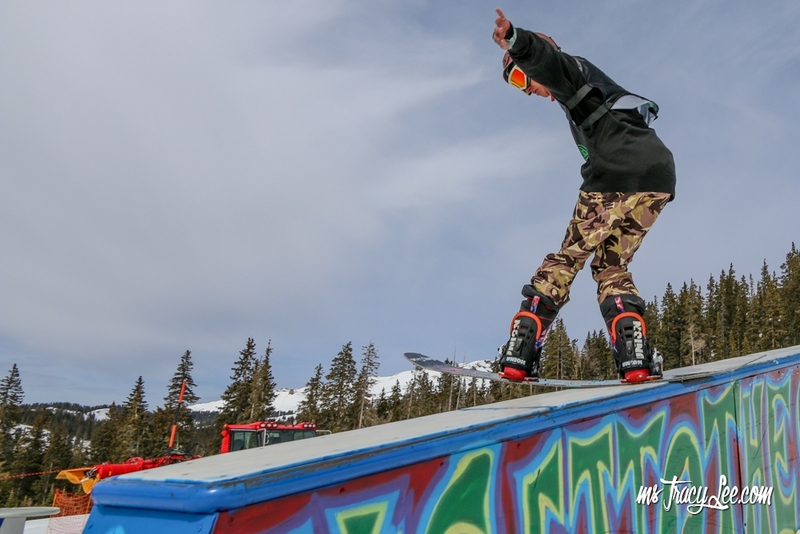 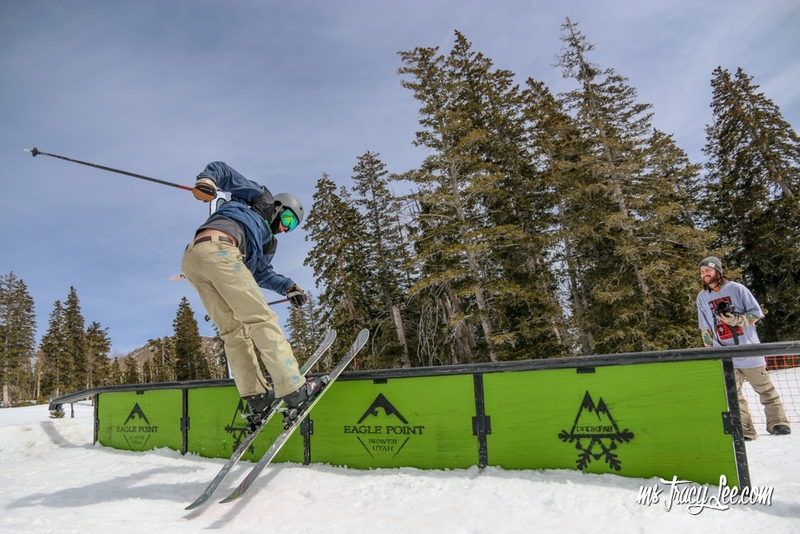 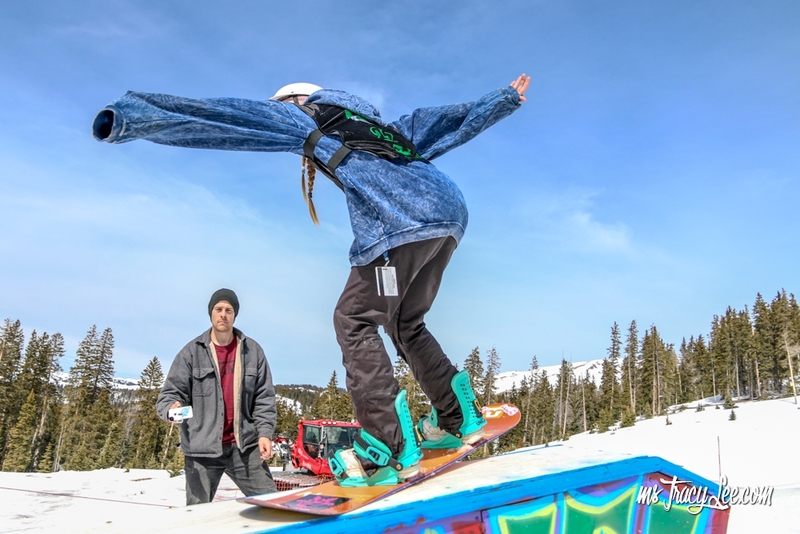 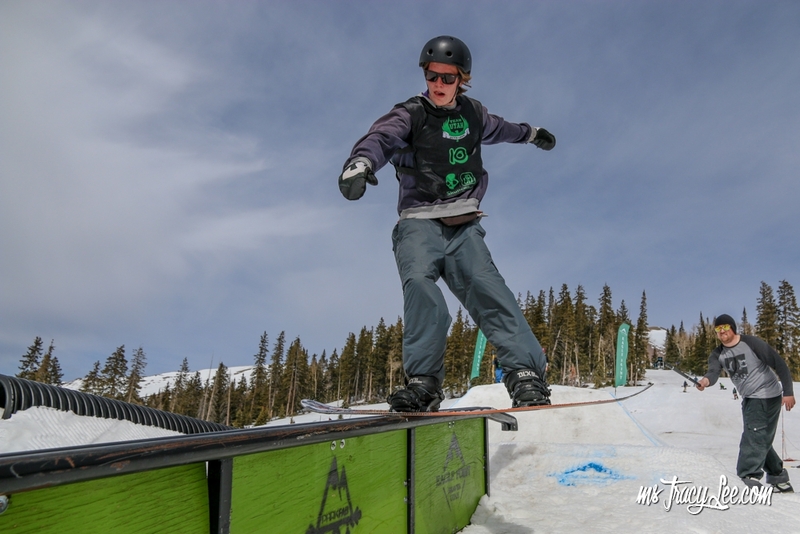 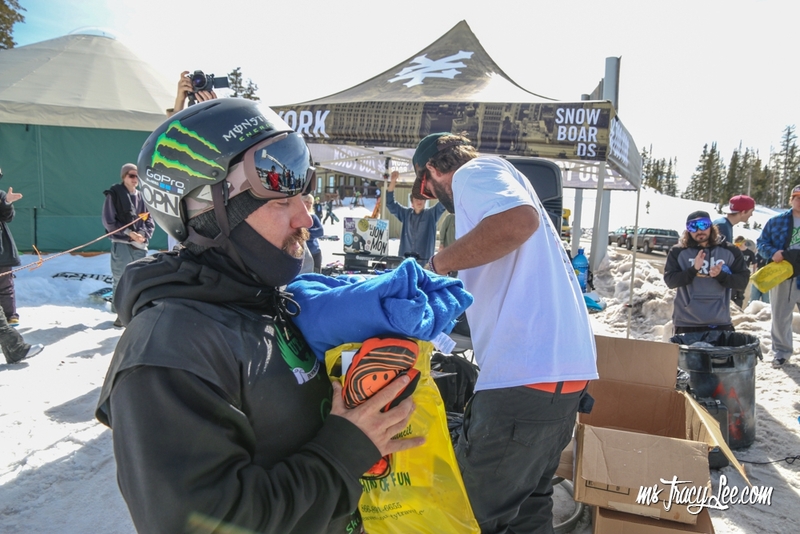 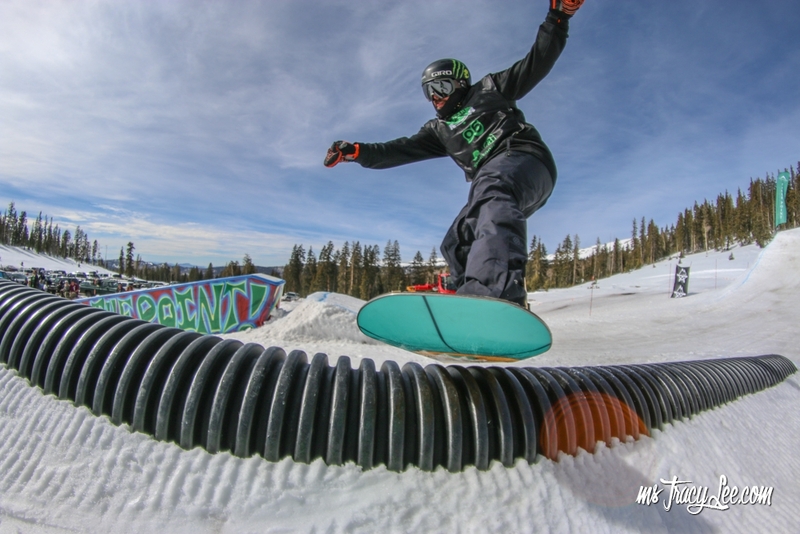 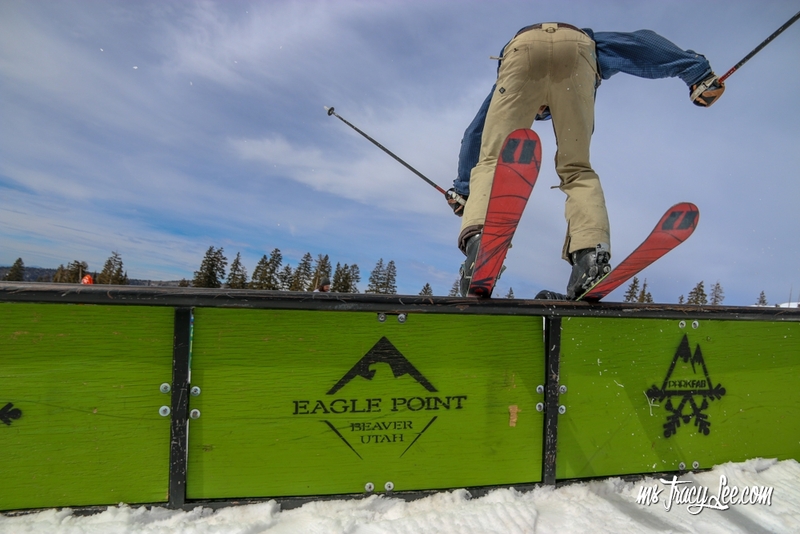 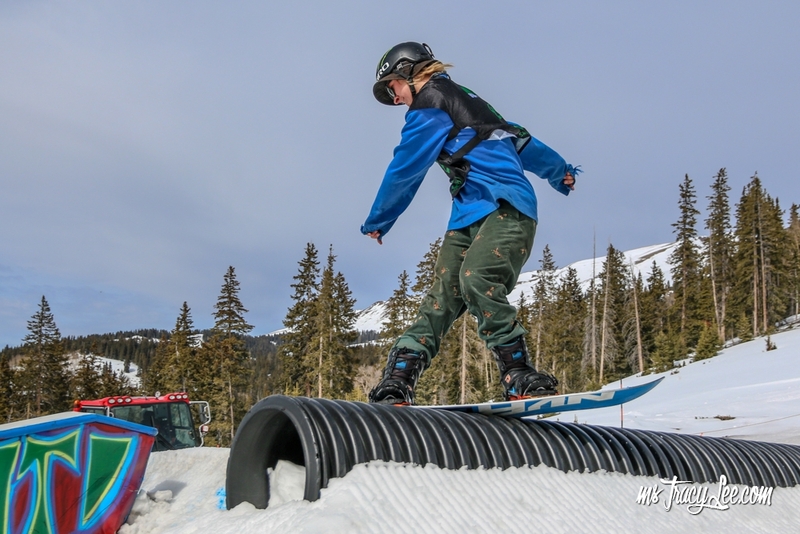 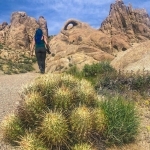 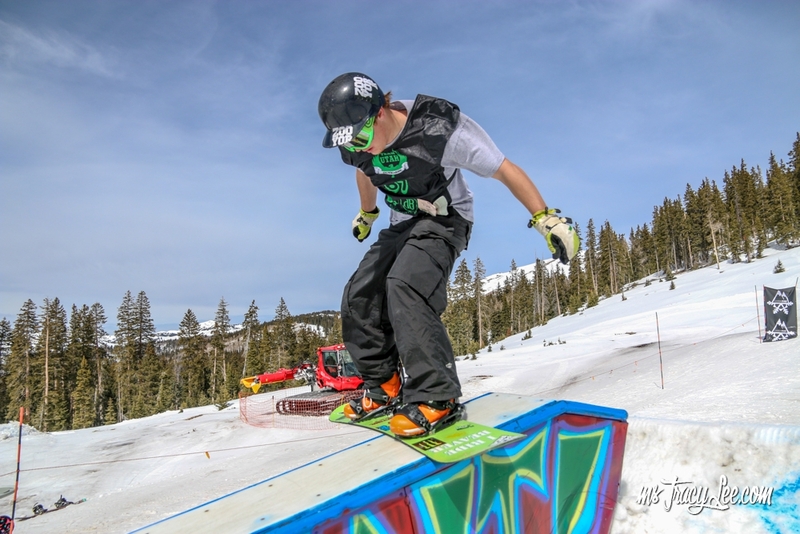 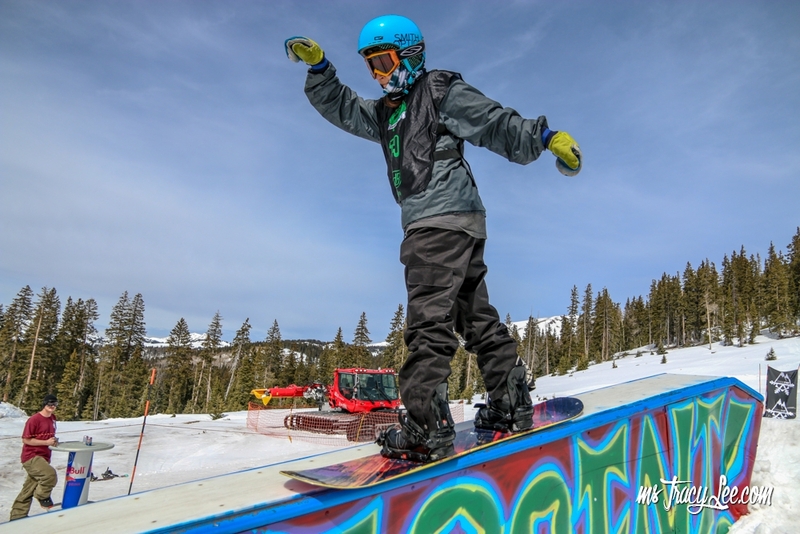 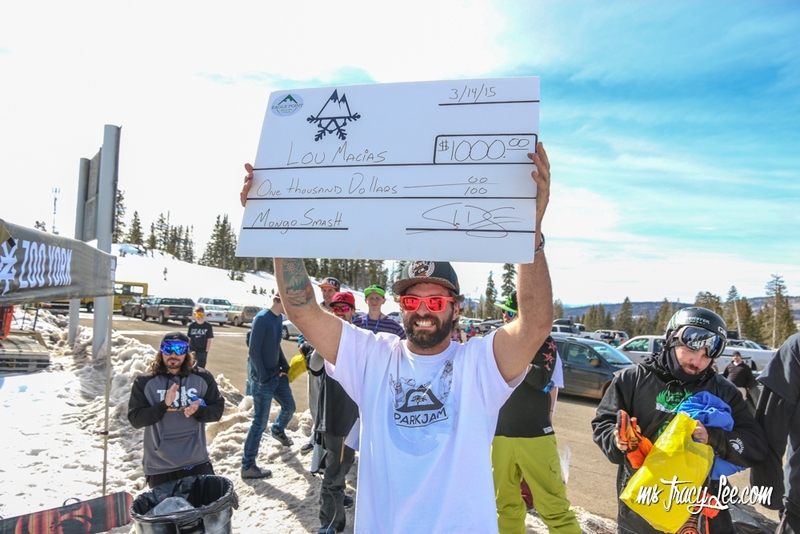 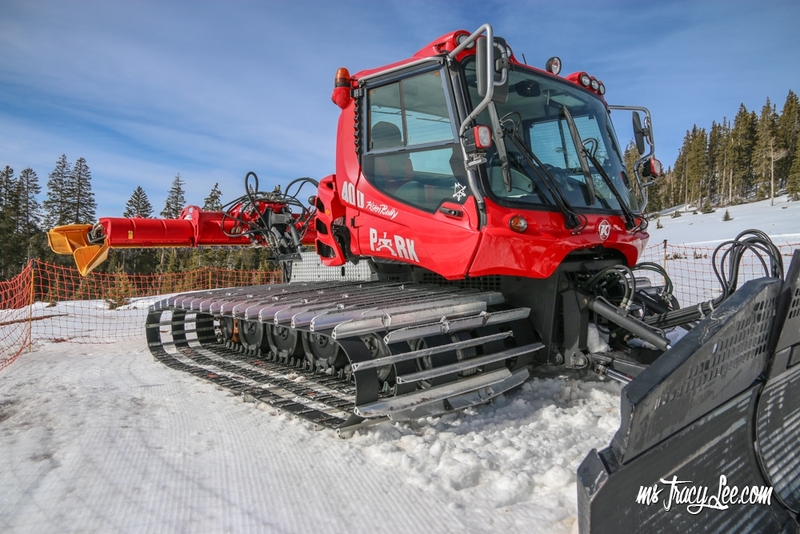 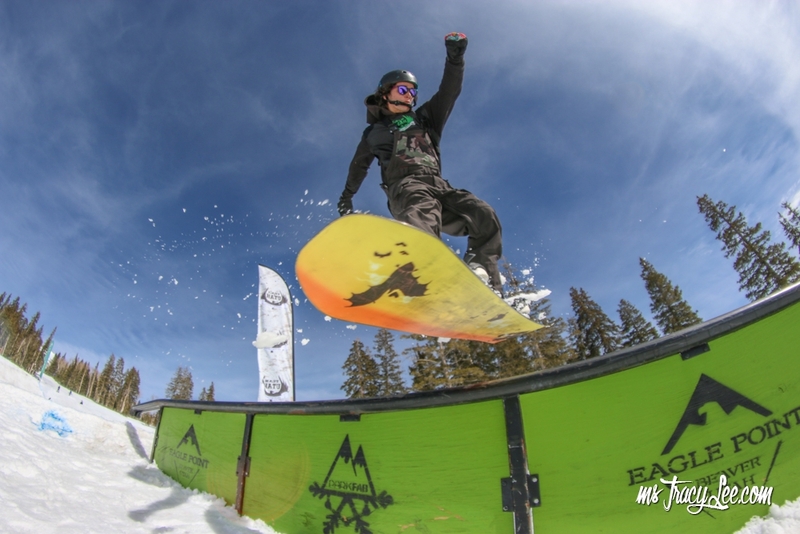 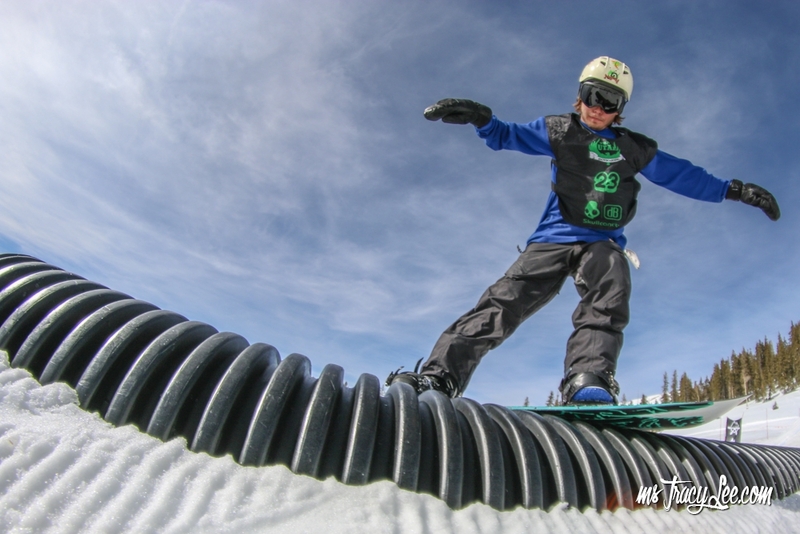 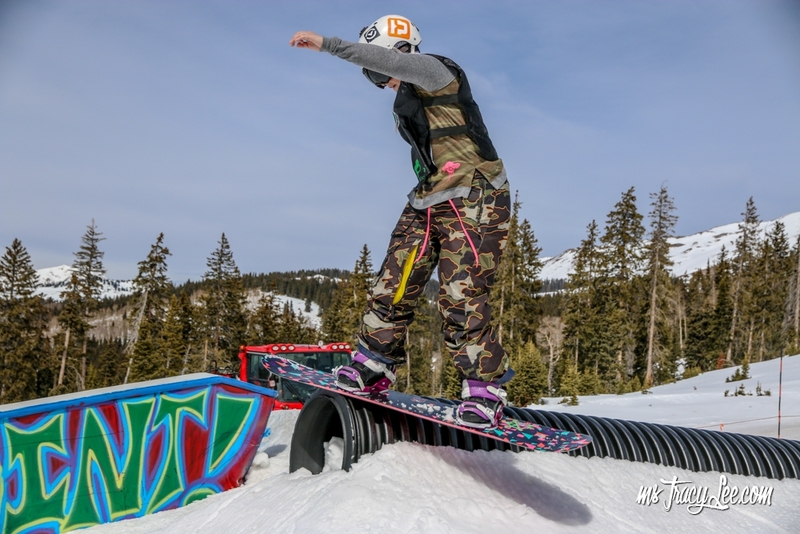 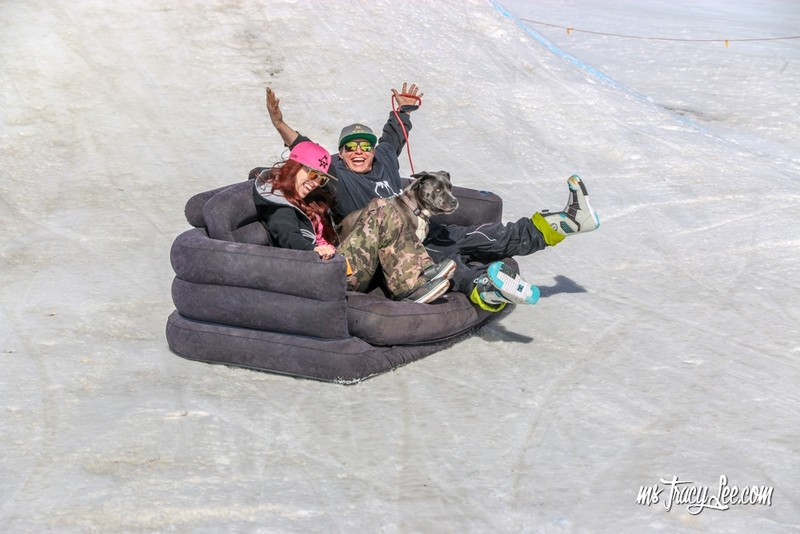 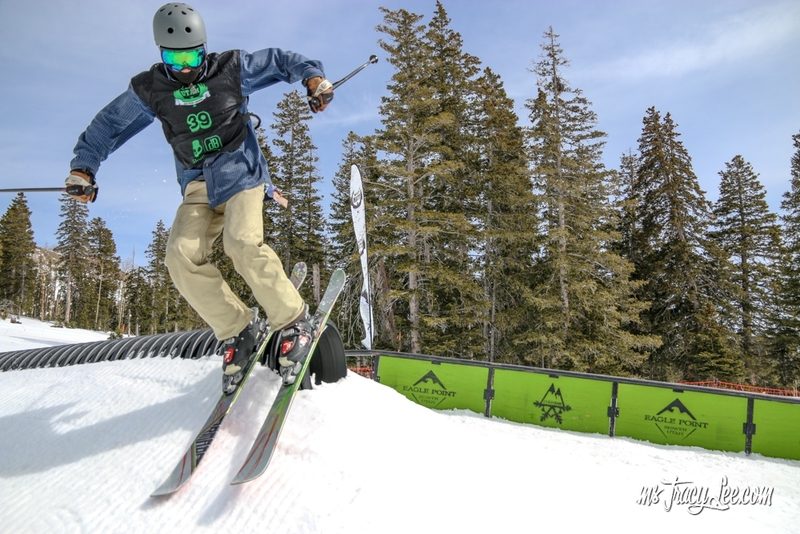 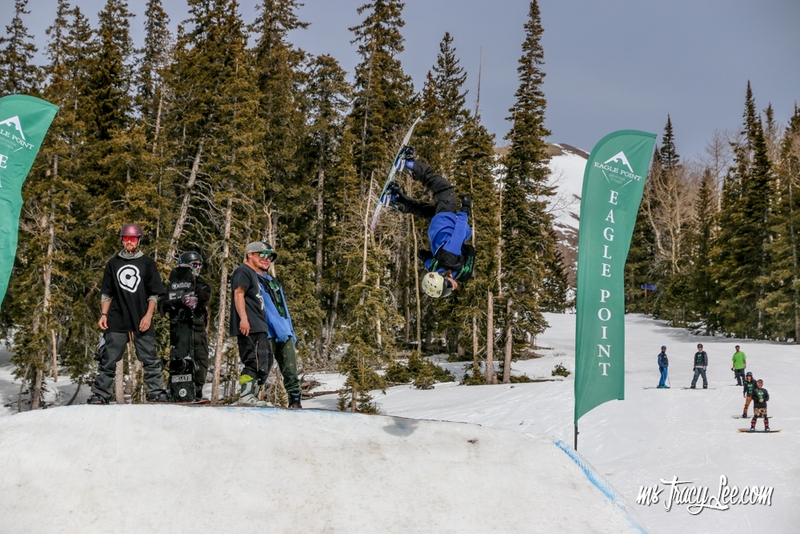 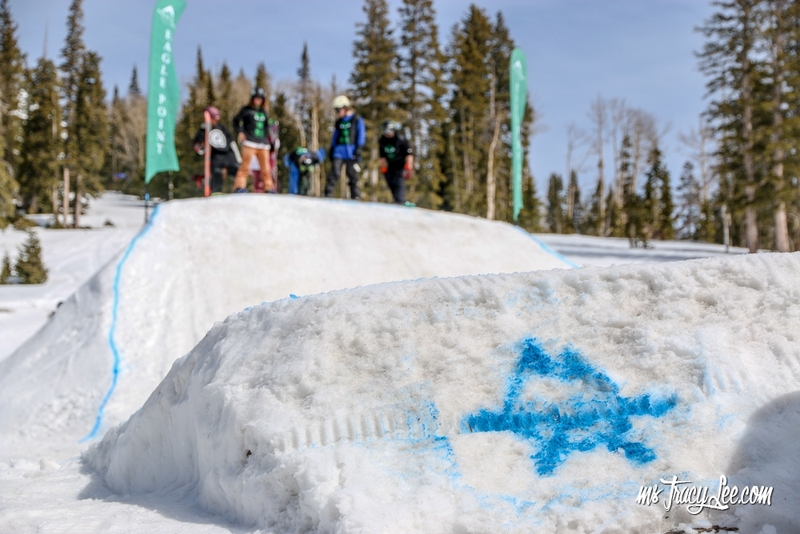 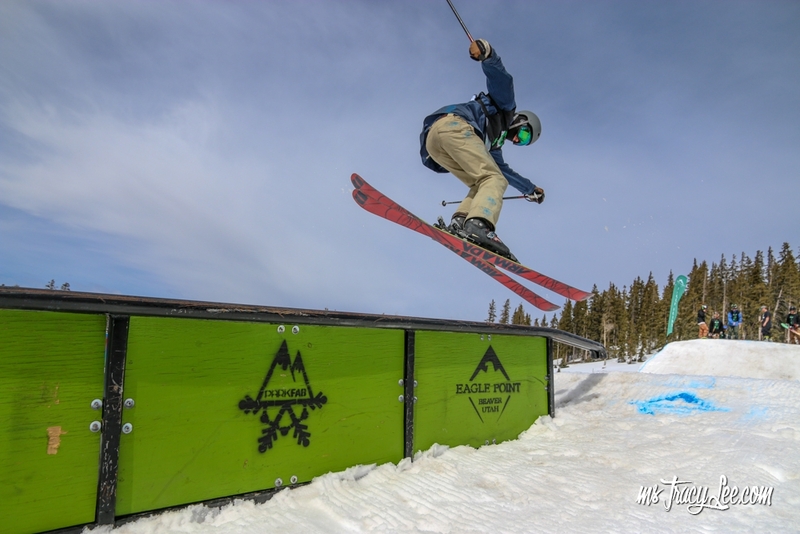 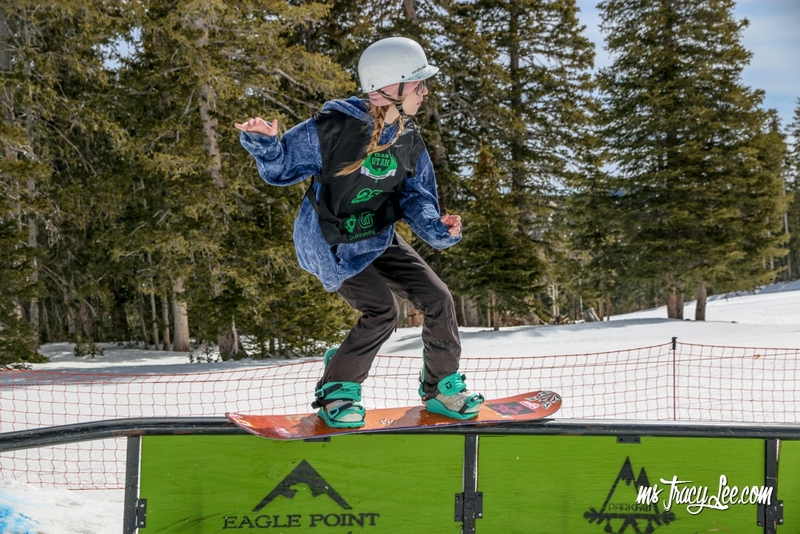 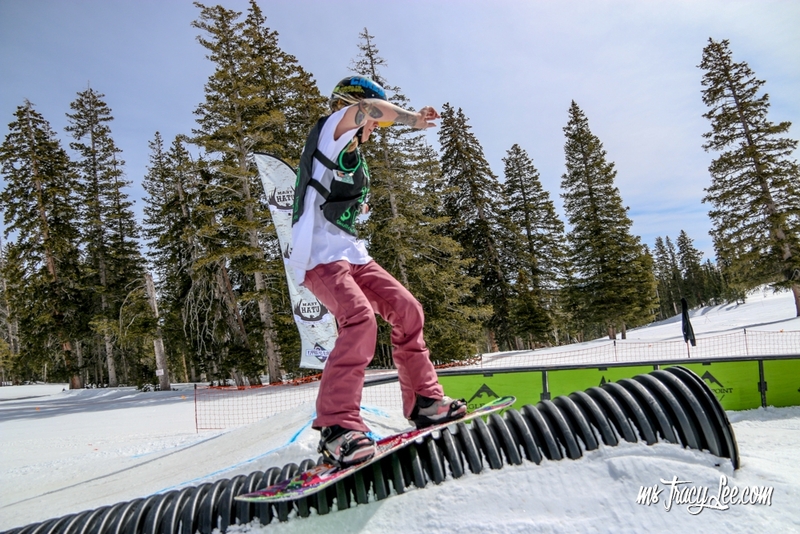 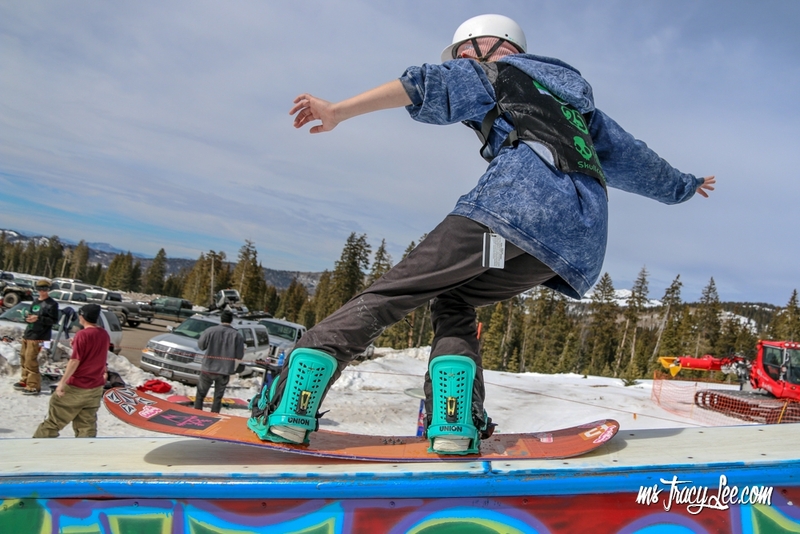 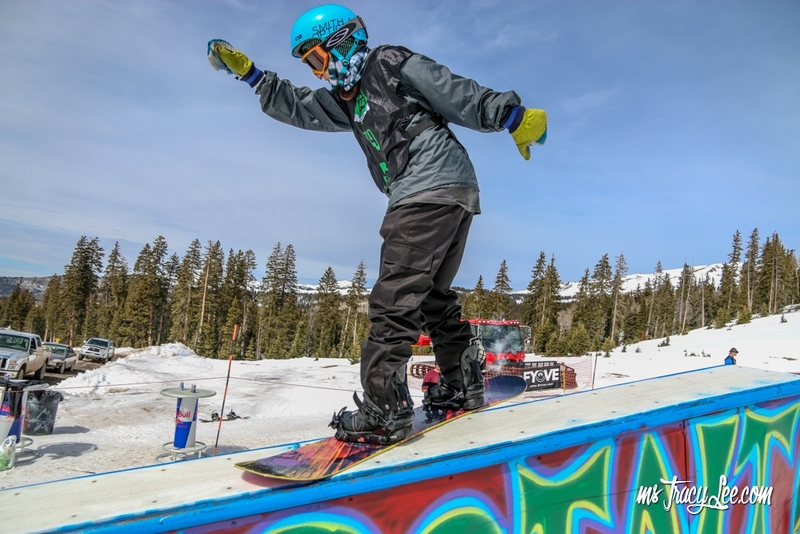 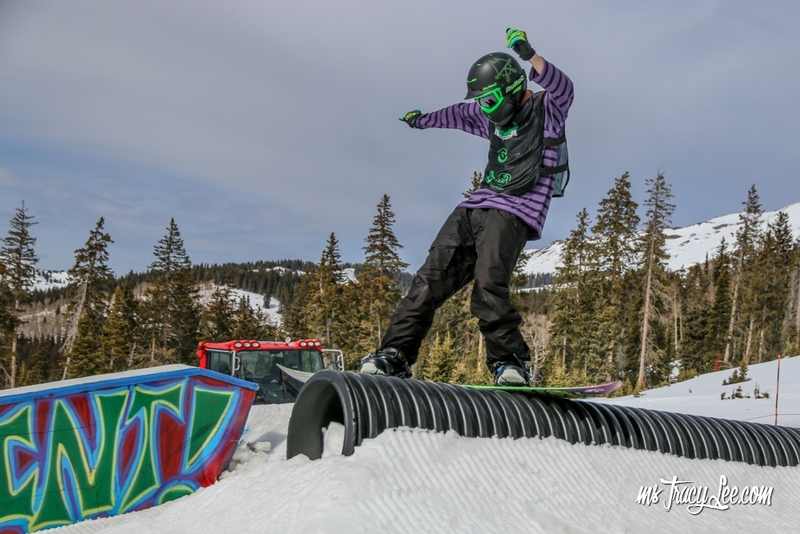 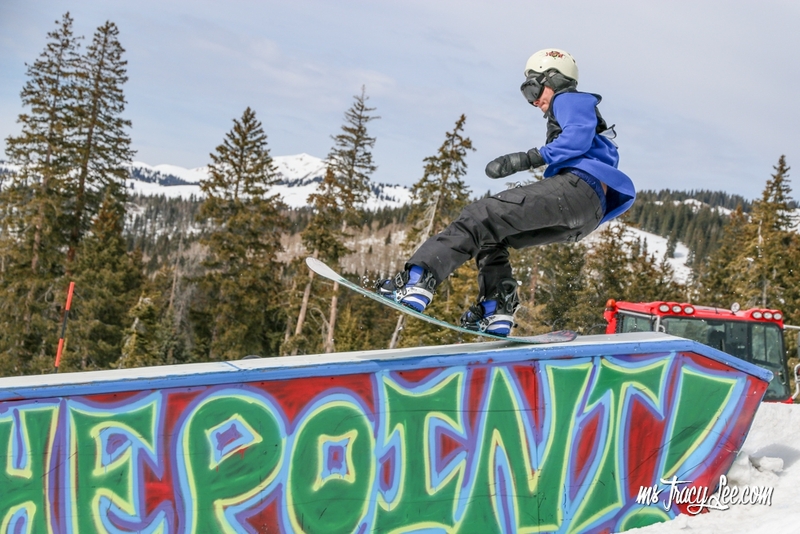 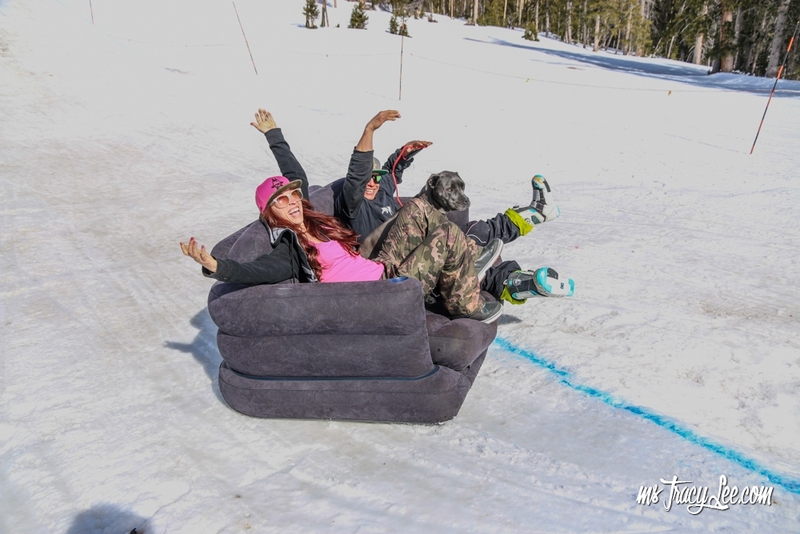 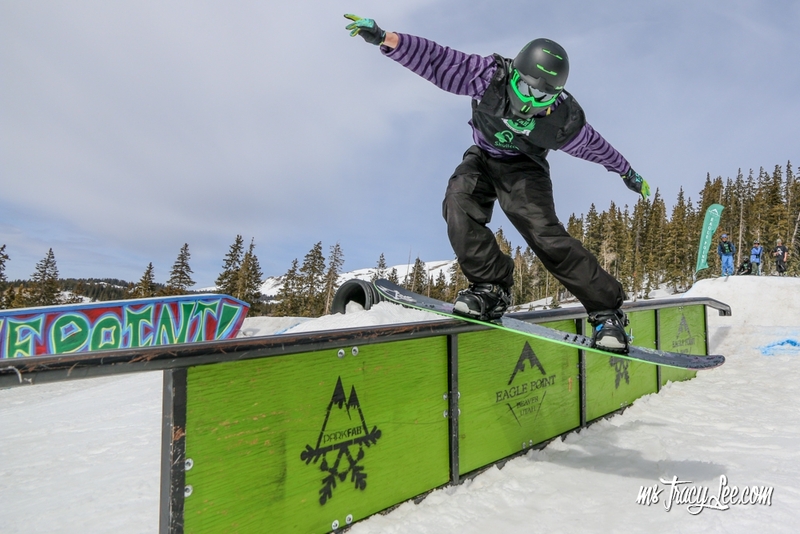 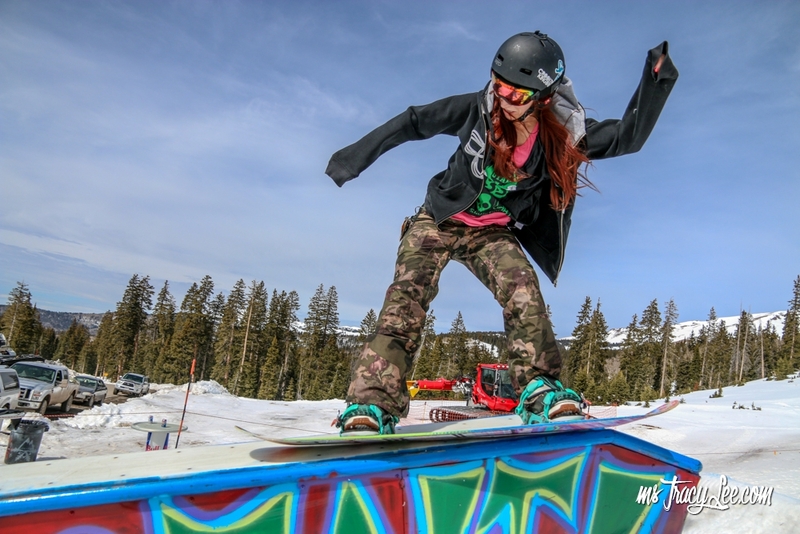 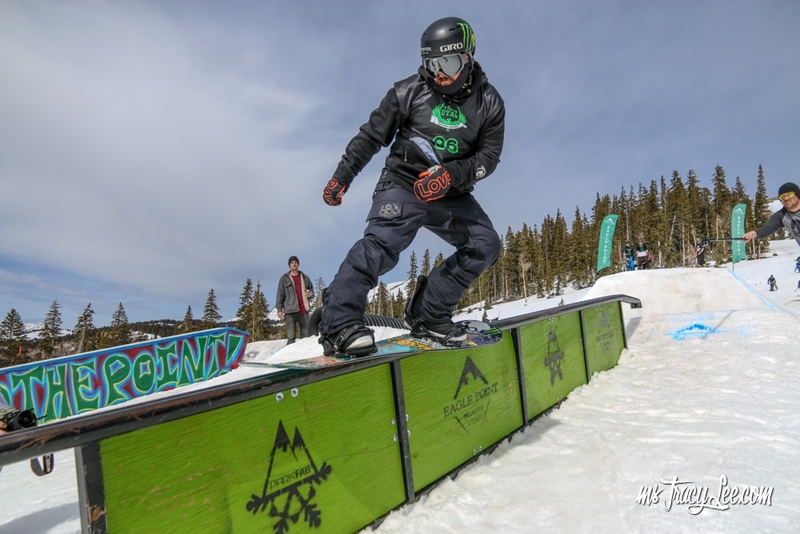 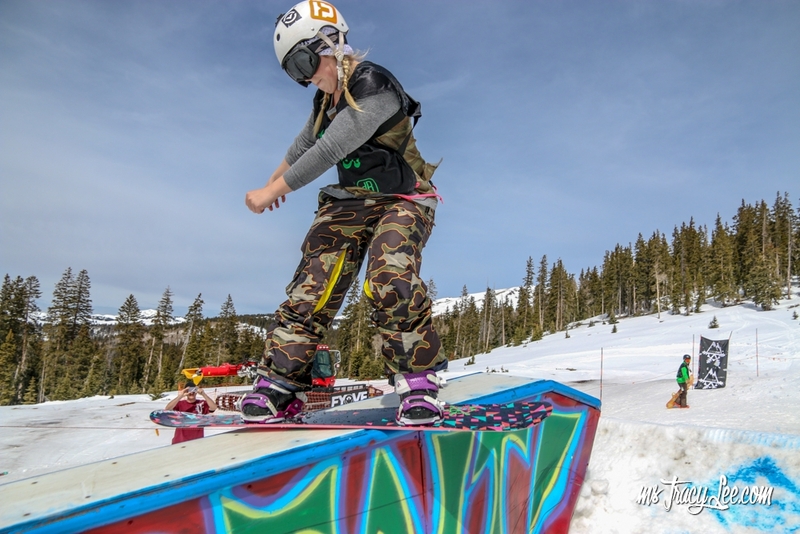 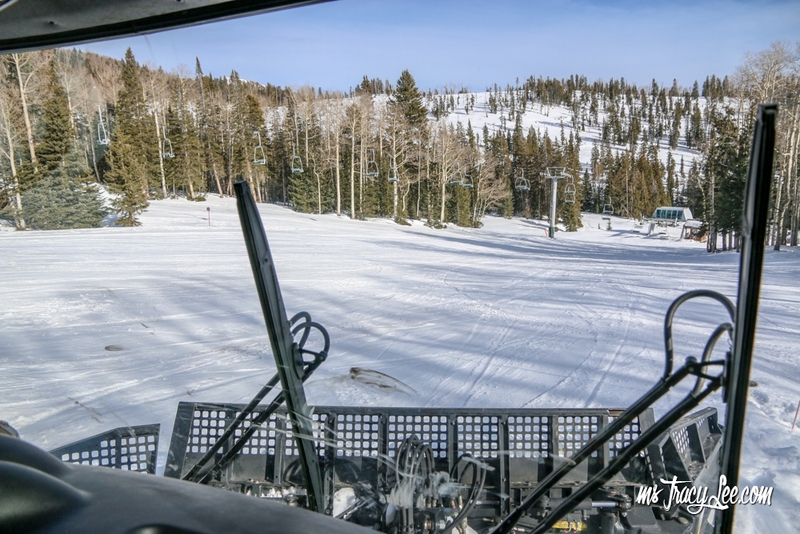 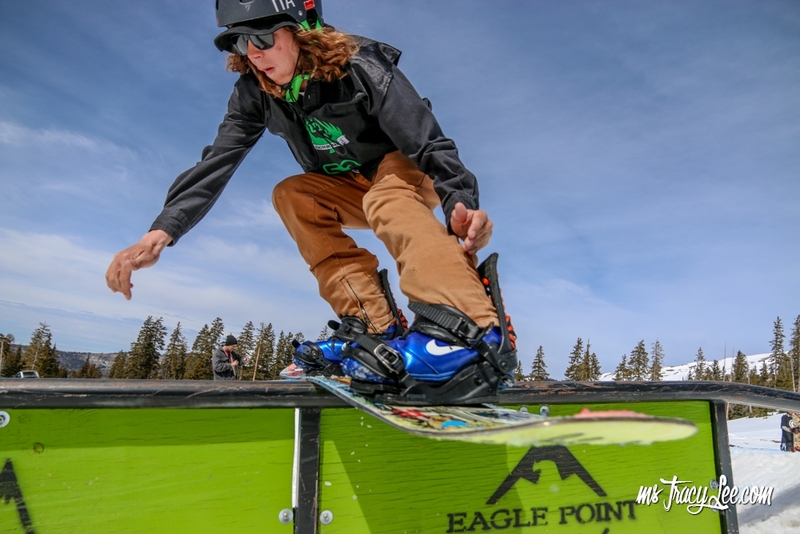 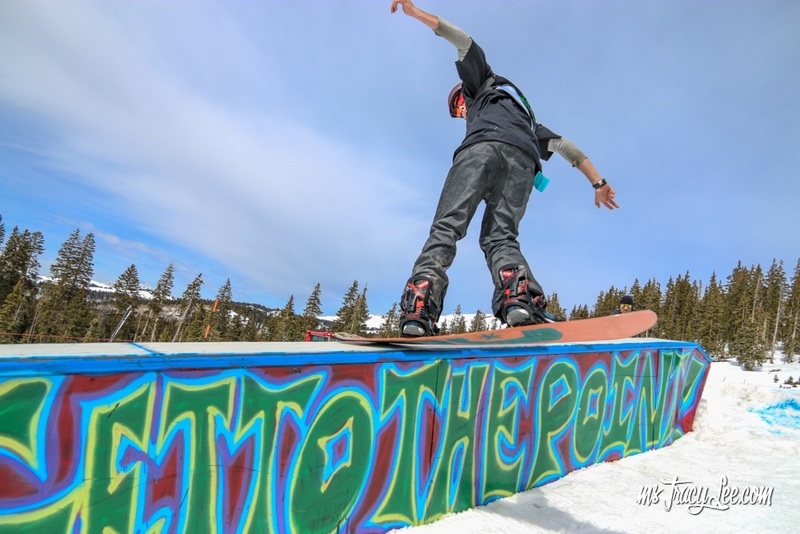 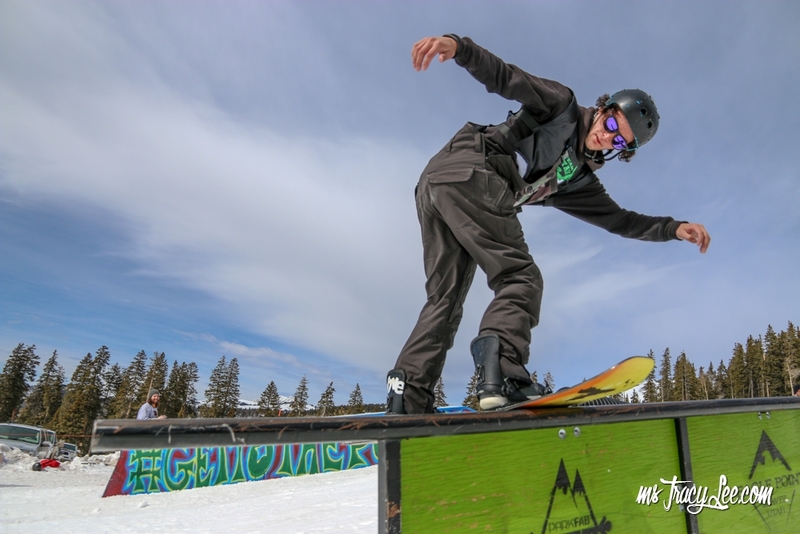 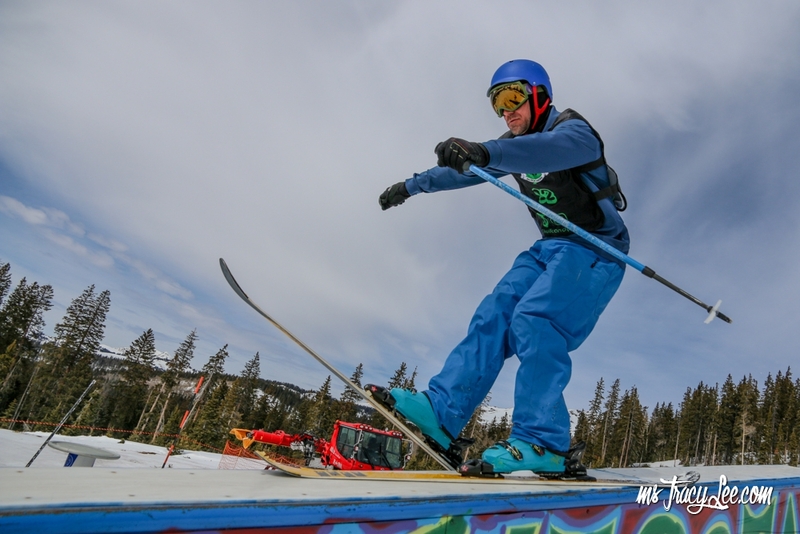 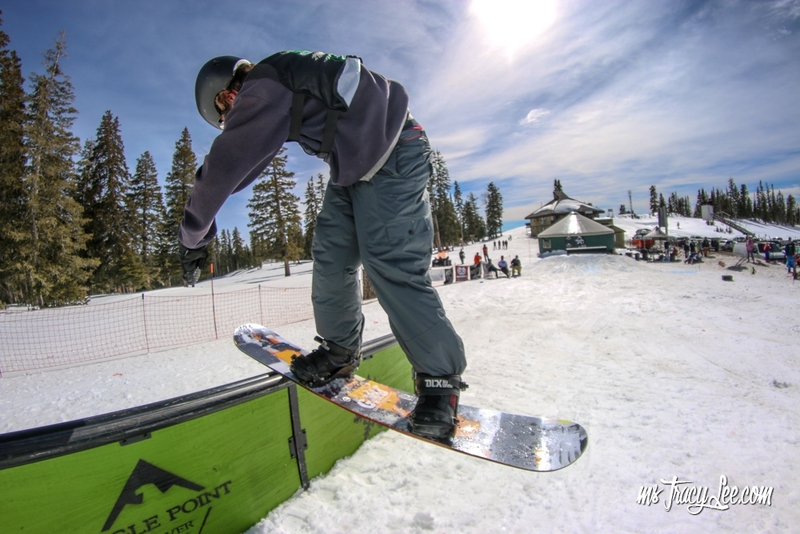 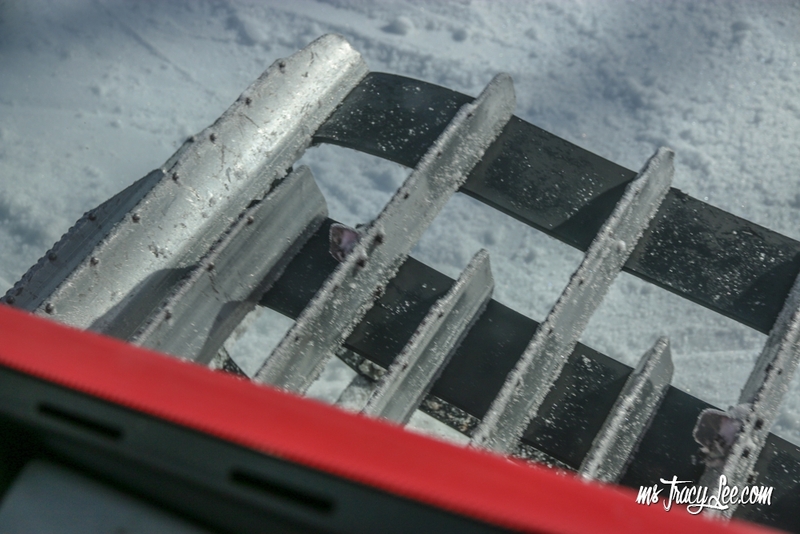 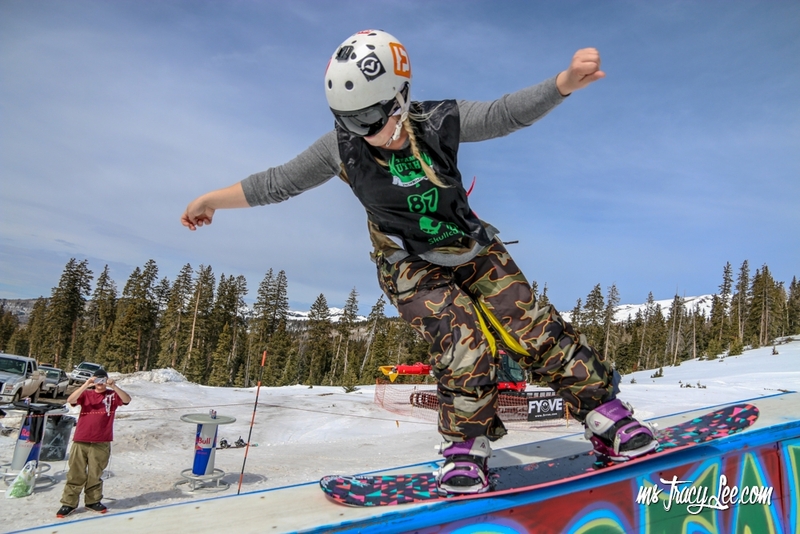 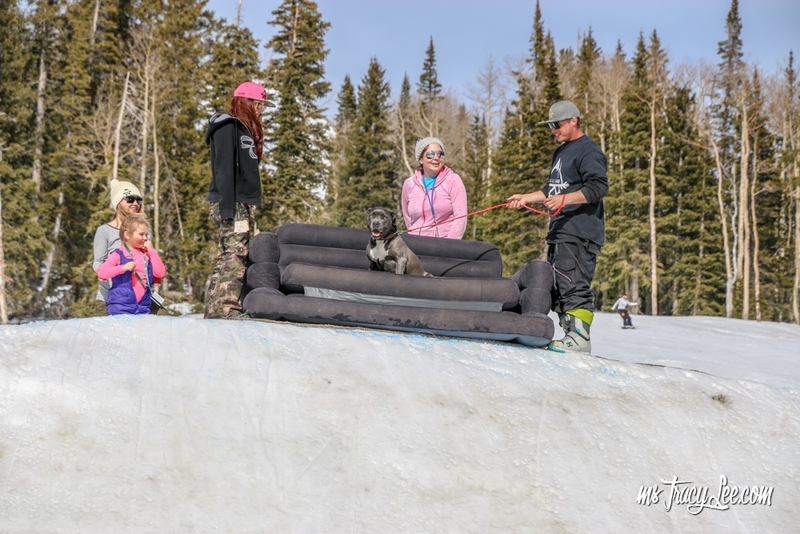 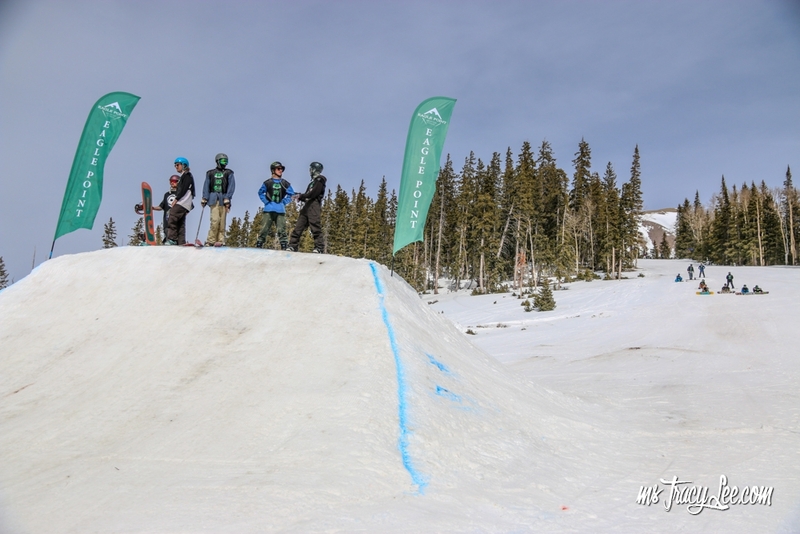 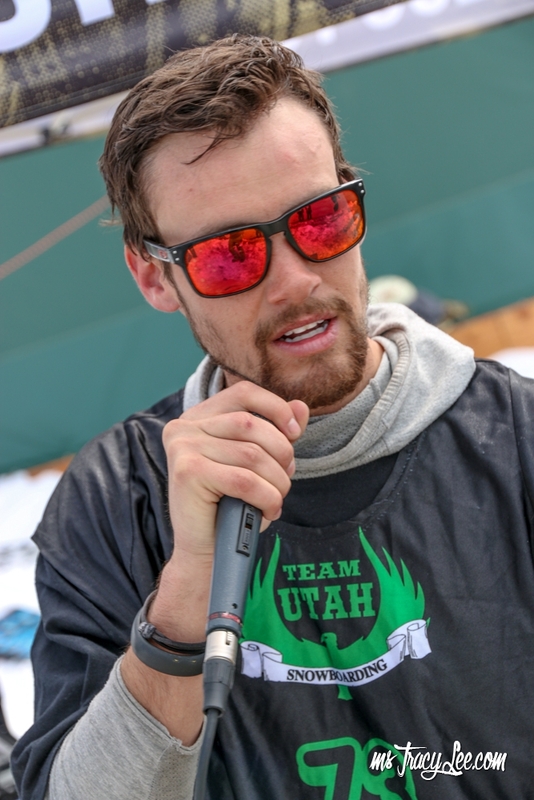 Due to spring snow so early in the year, many of the competitors chose to hike way past the initial drop in that had been built to gain speed for the box, corrugated, and double barrel rails that had been set up. 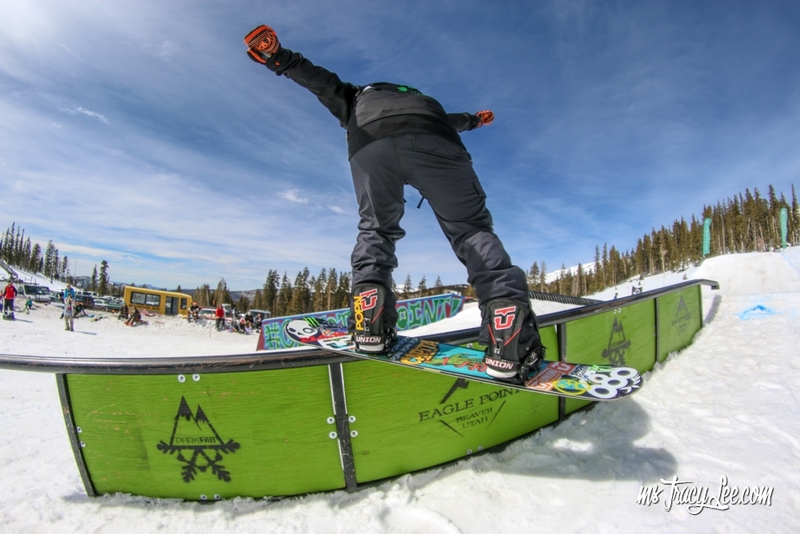 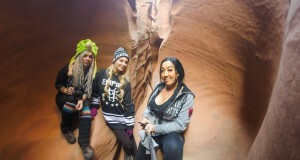 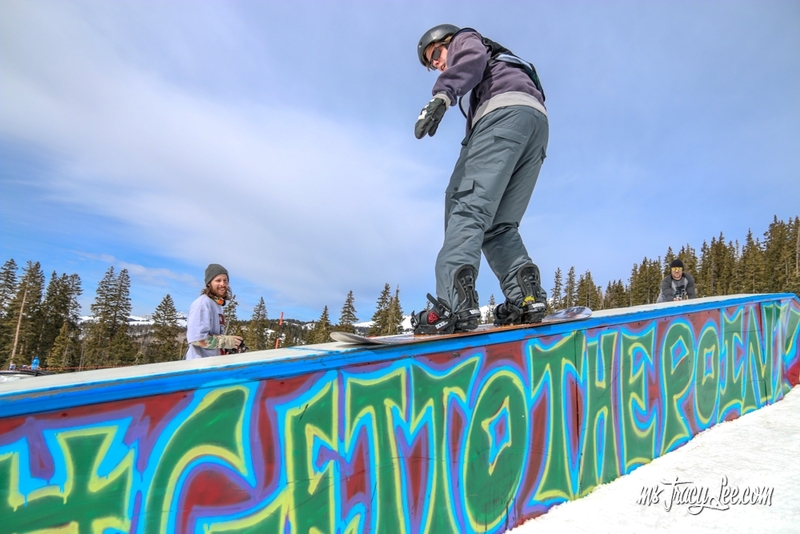 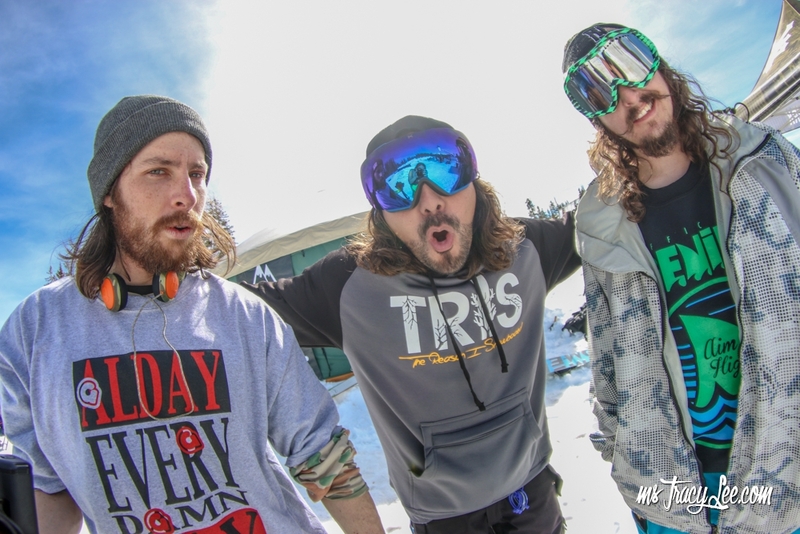 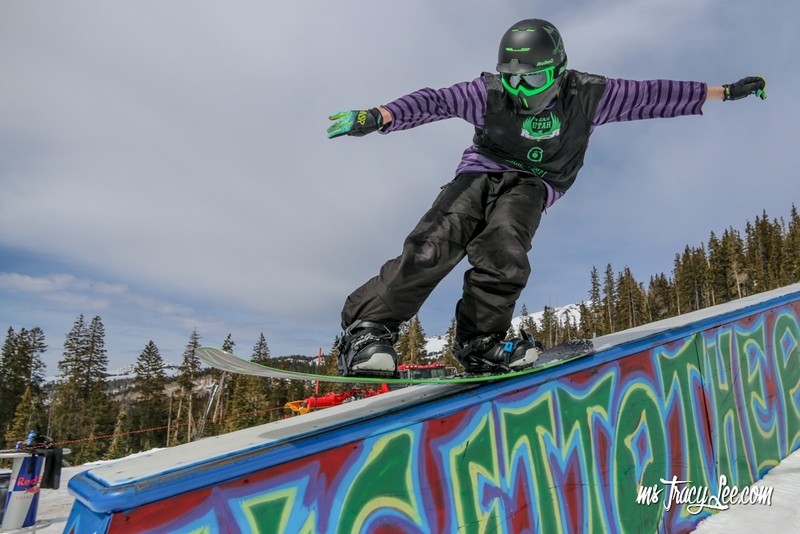 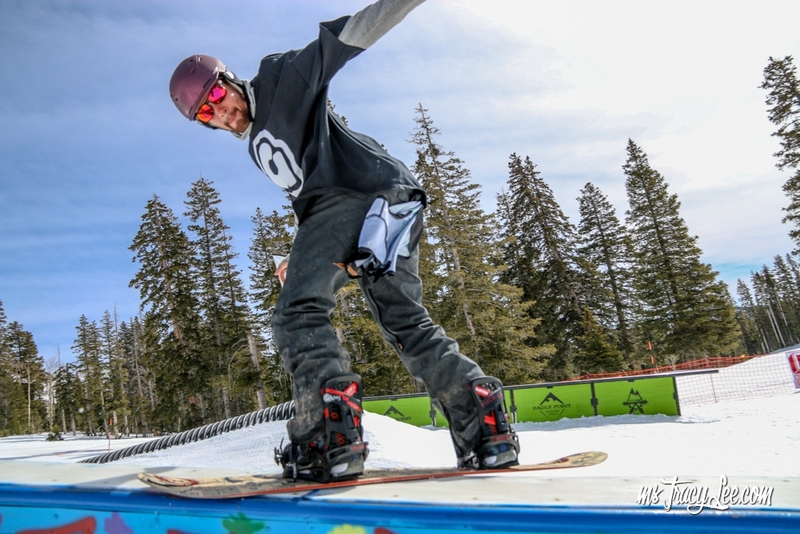 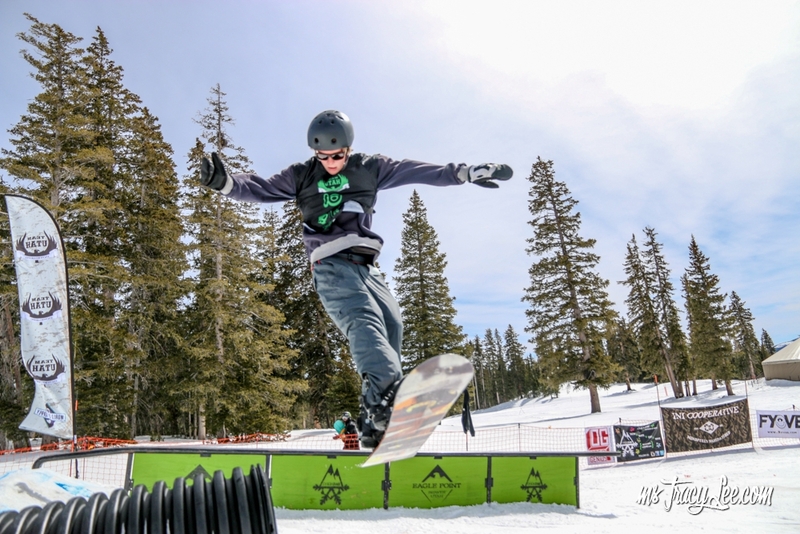 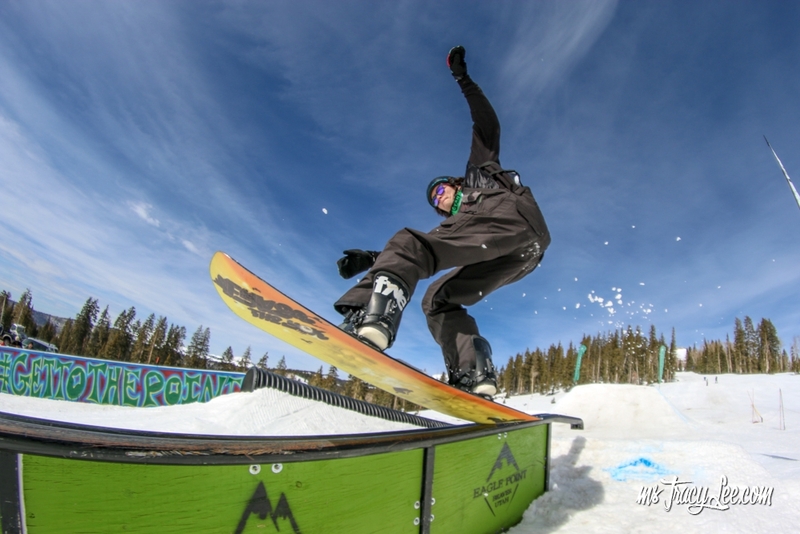 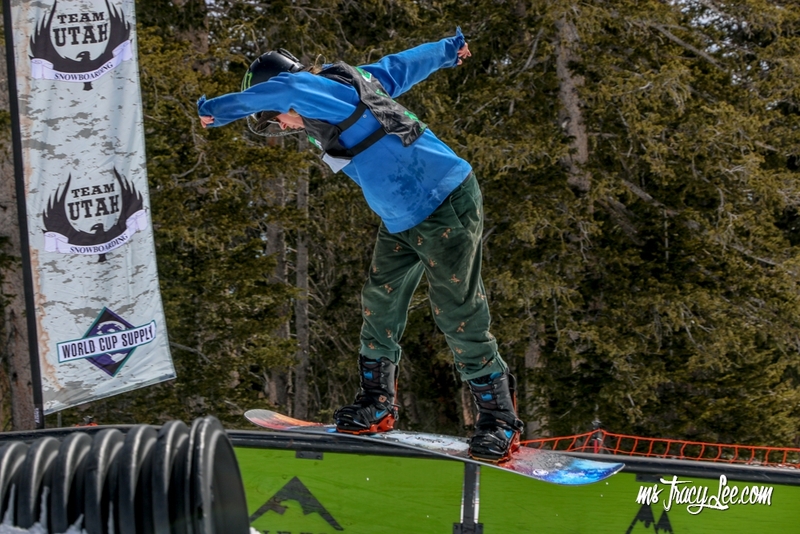 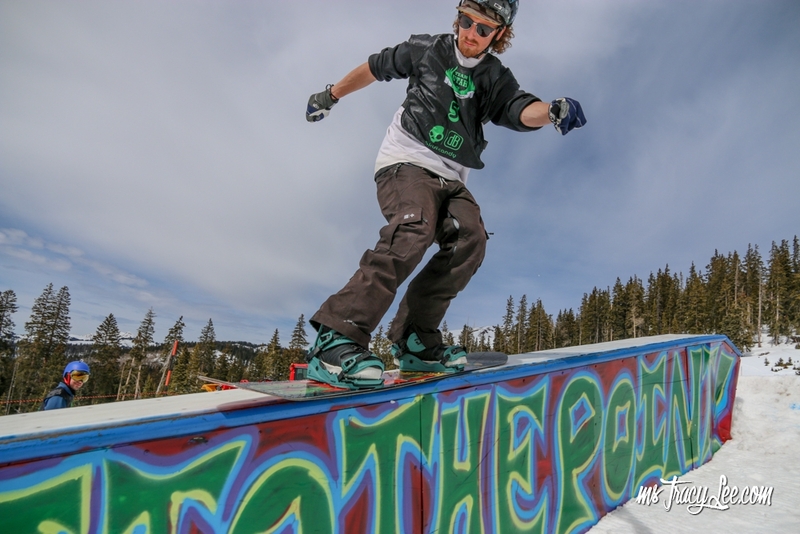 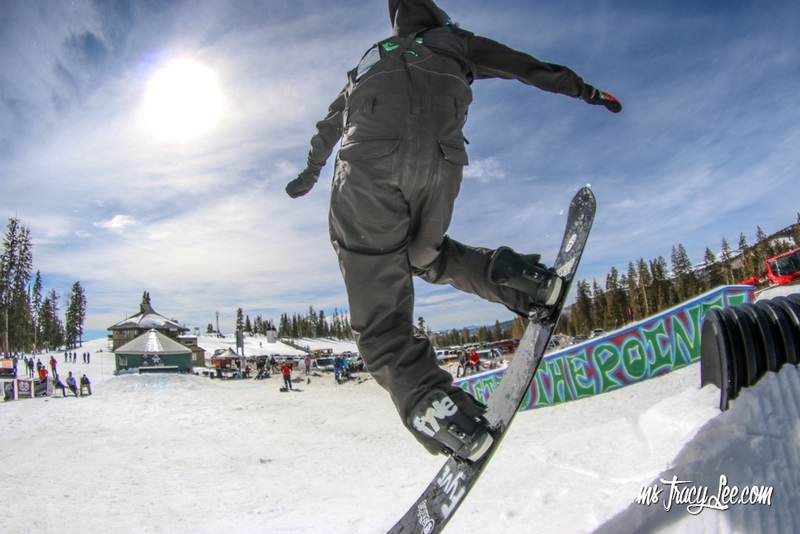 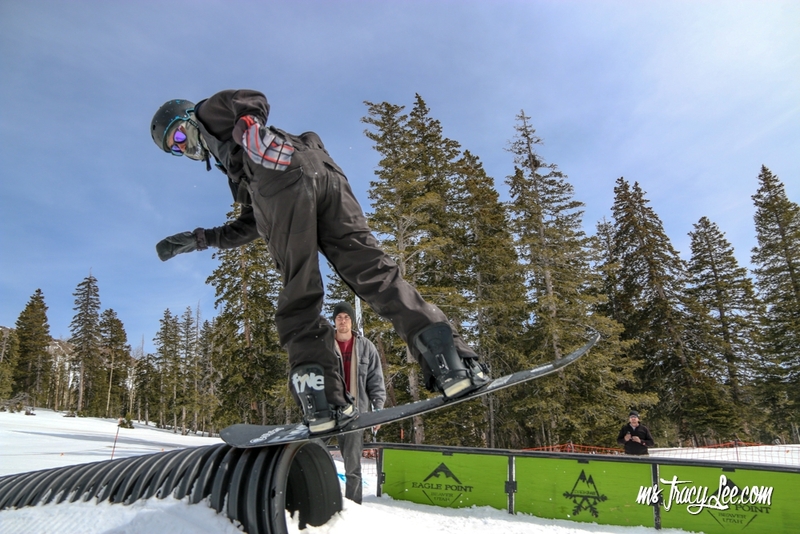 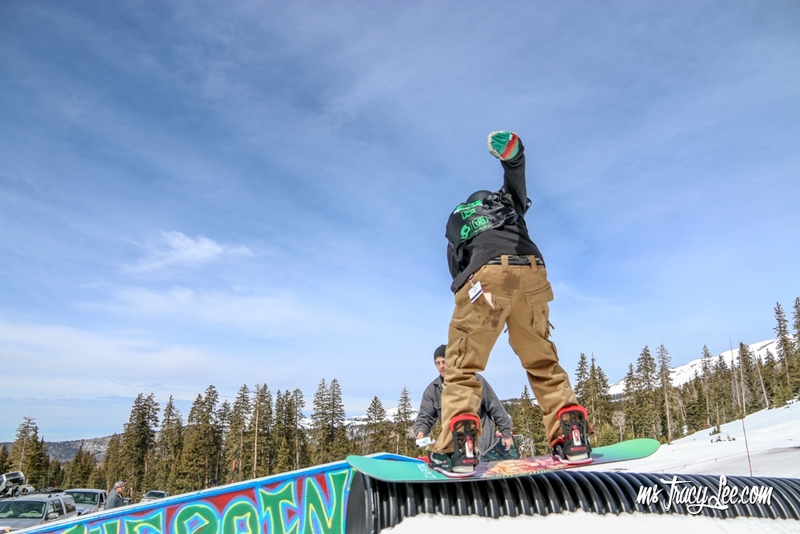 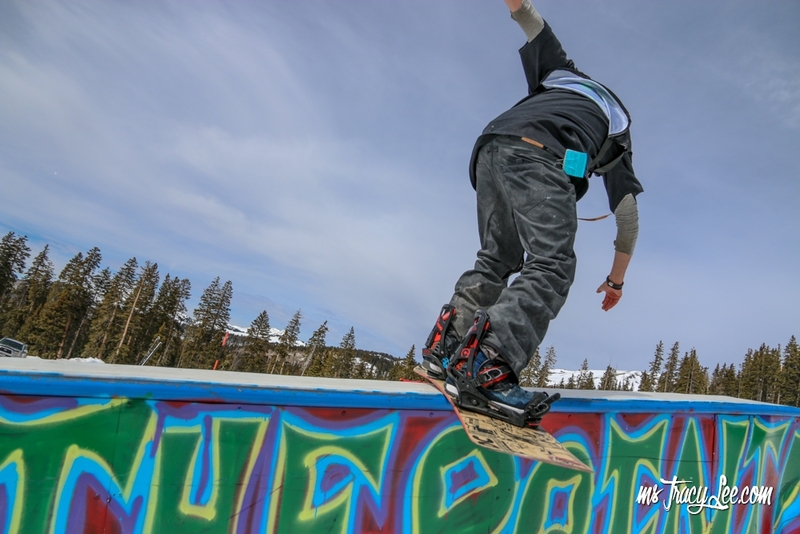 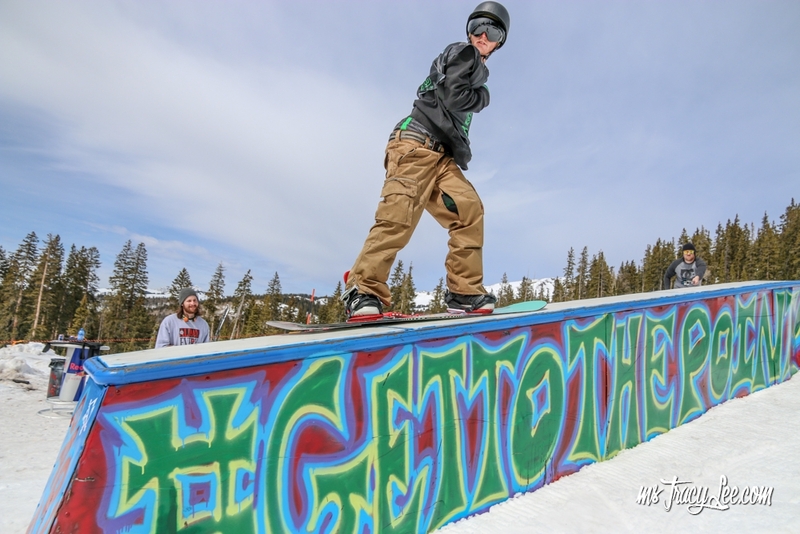 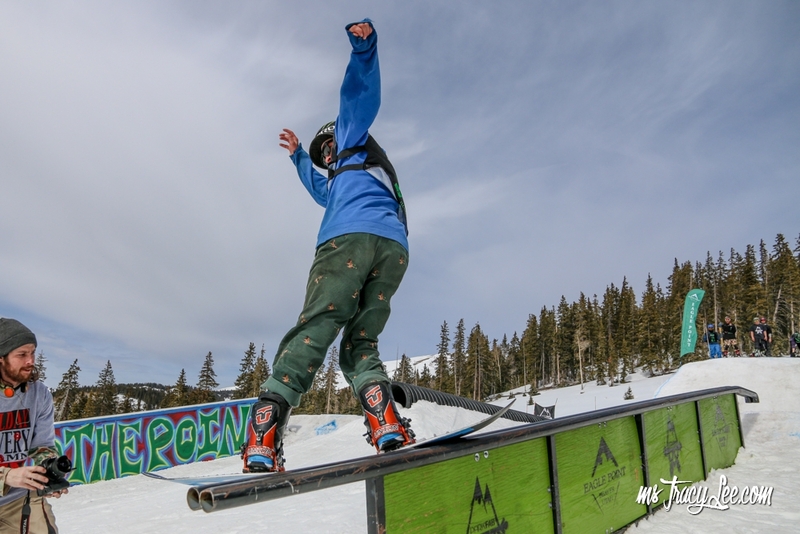 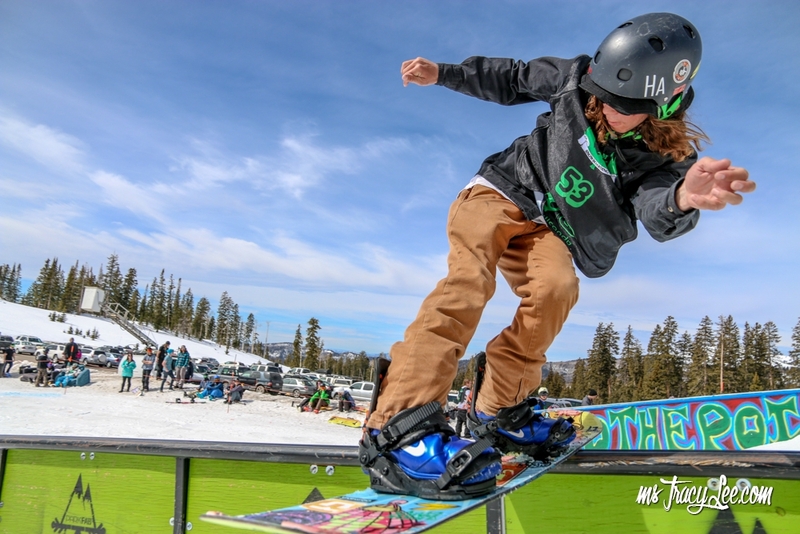 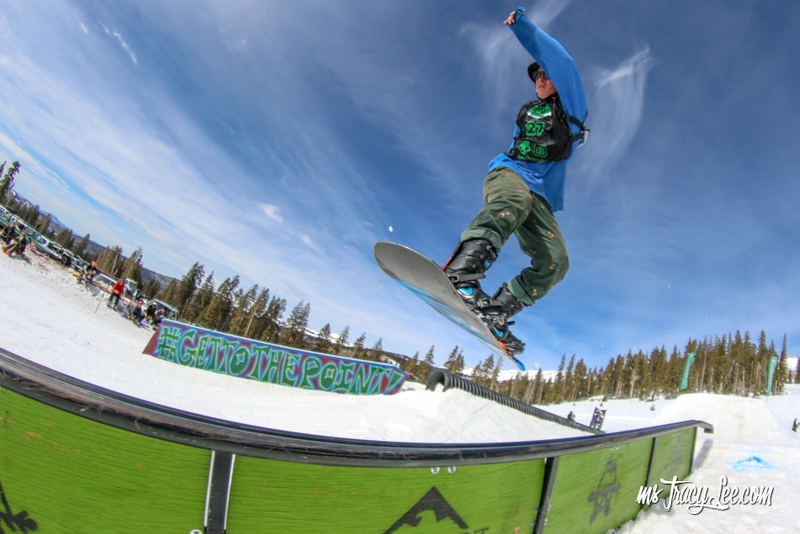 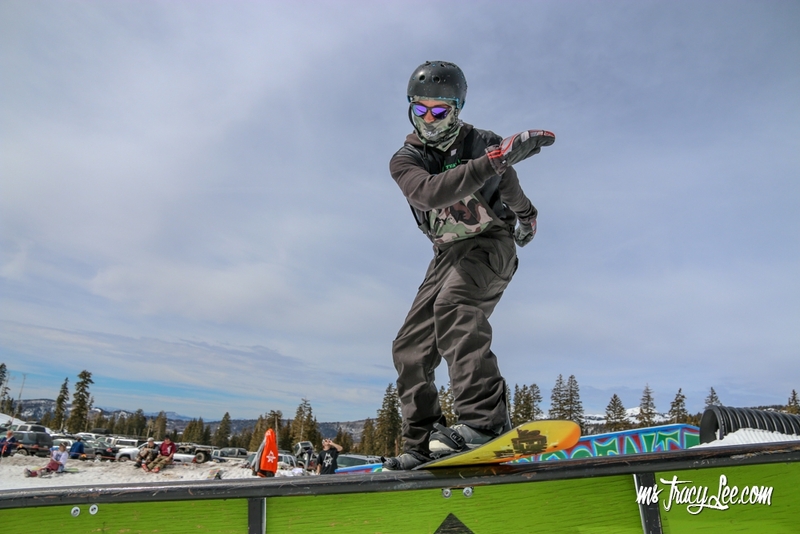 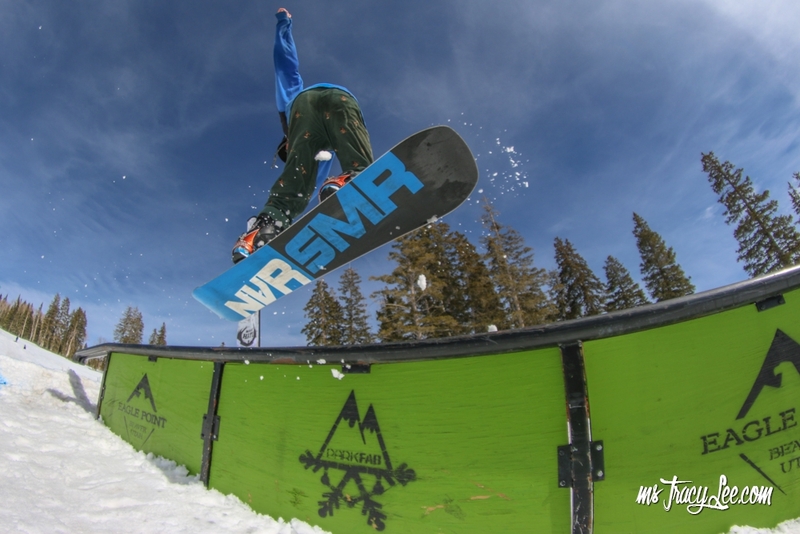 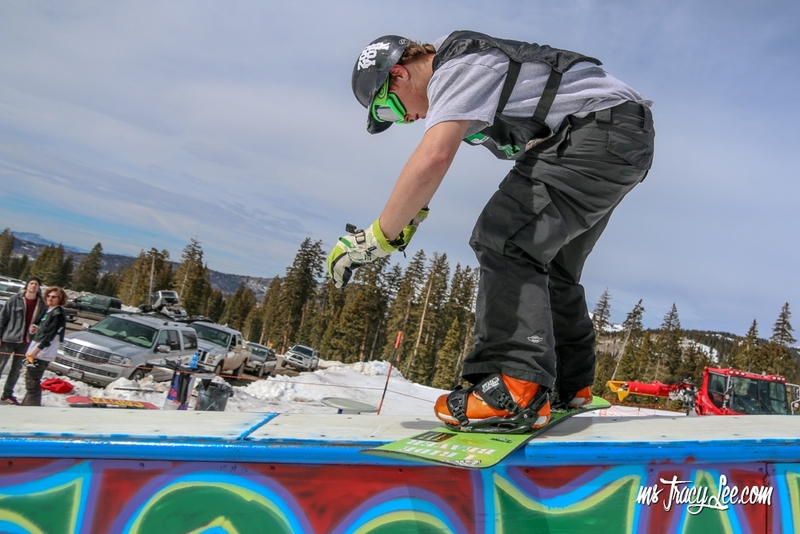 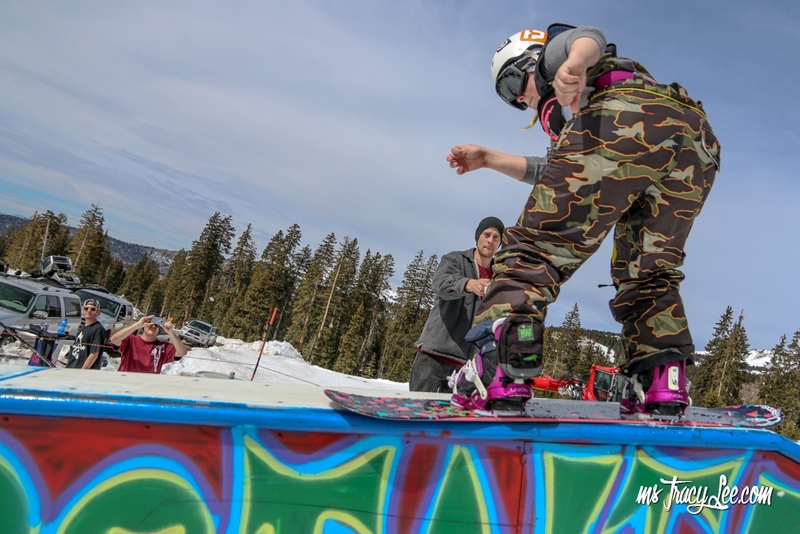 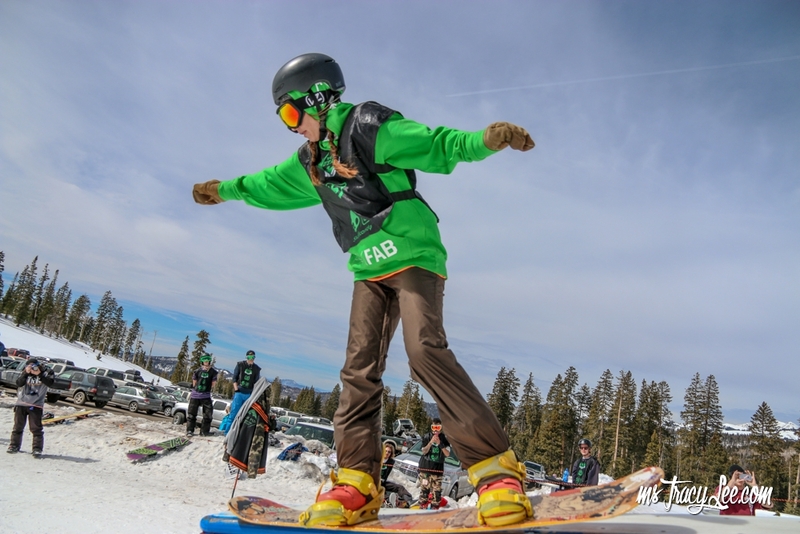 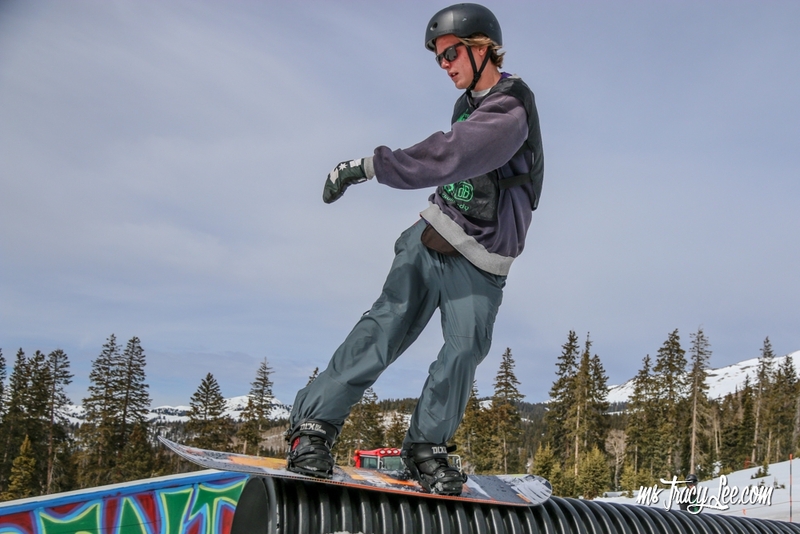 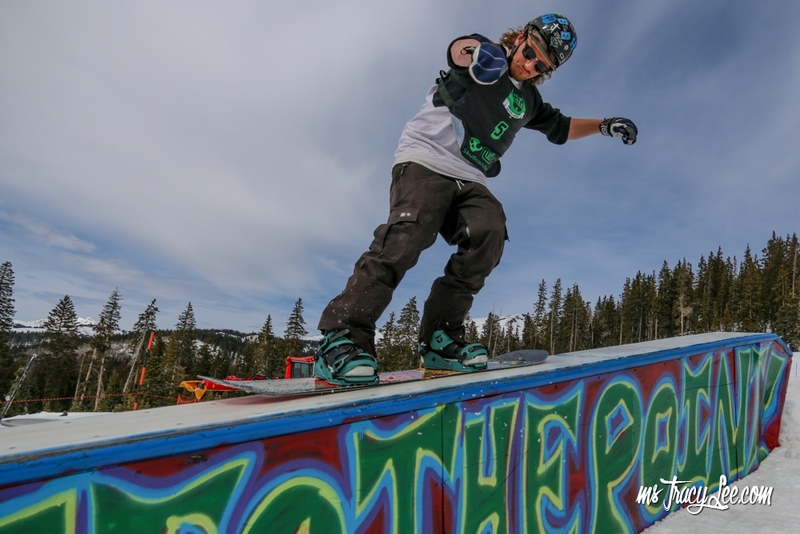 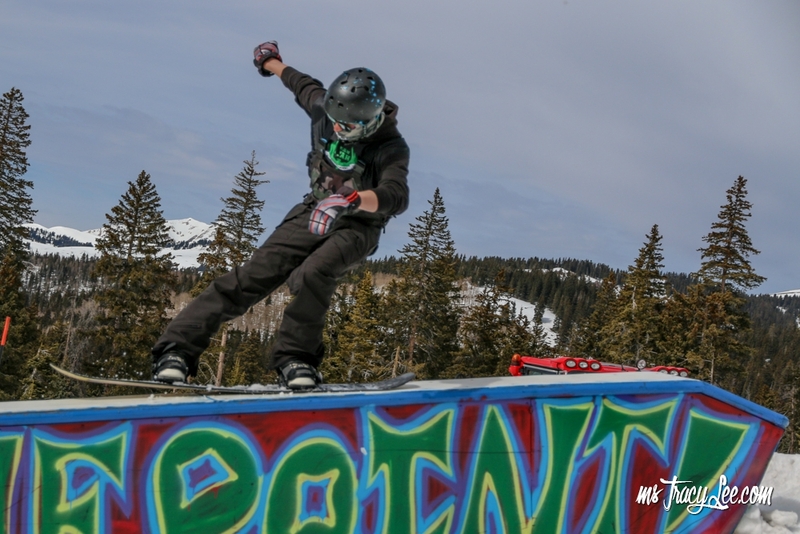 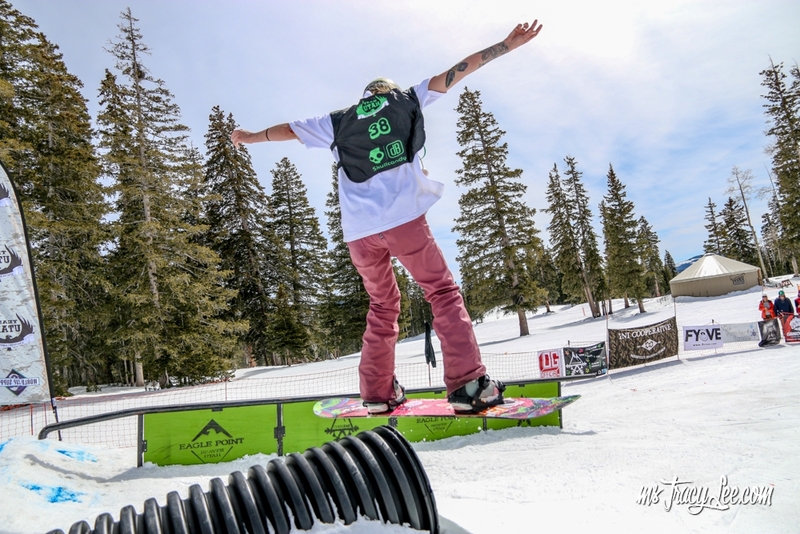 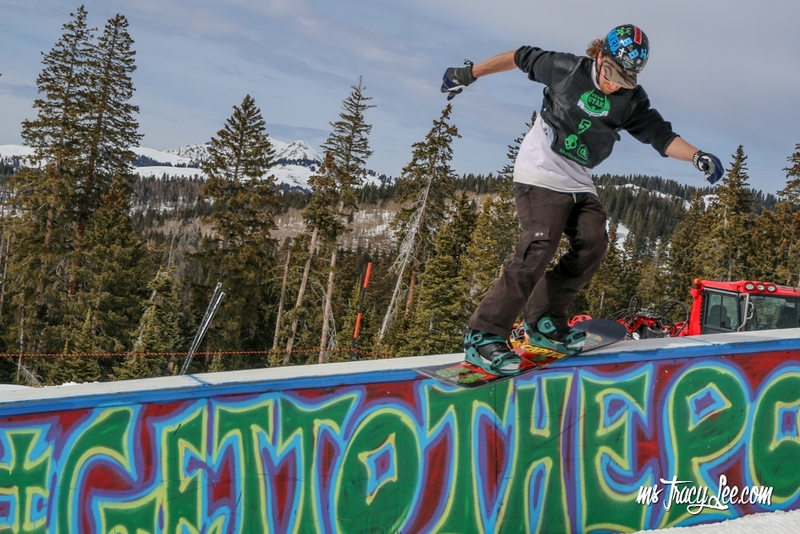 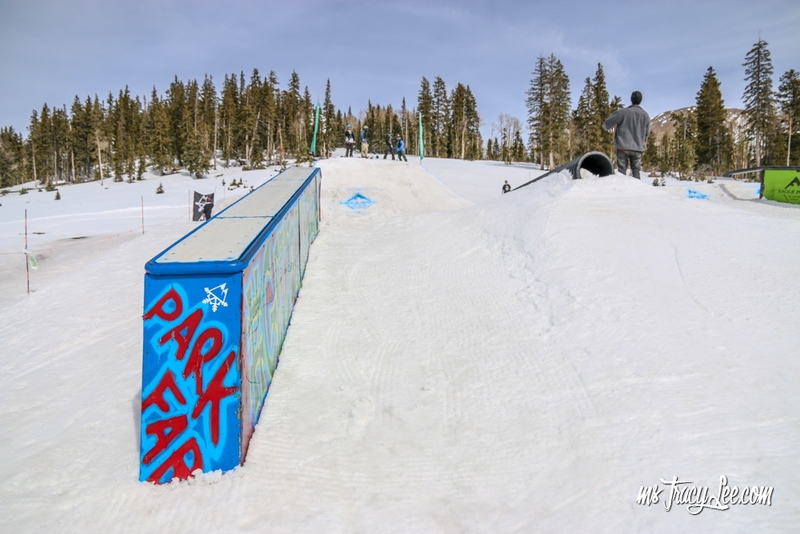 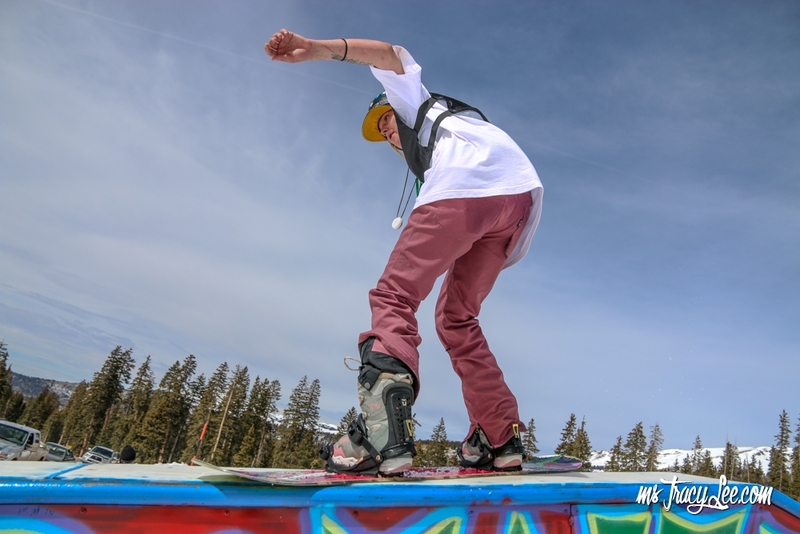 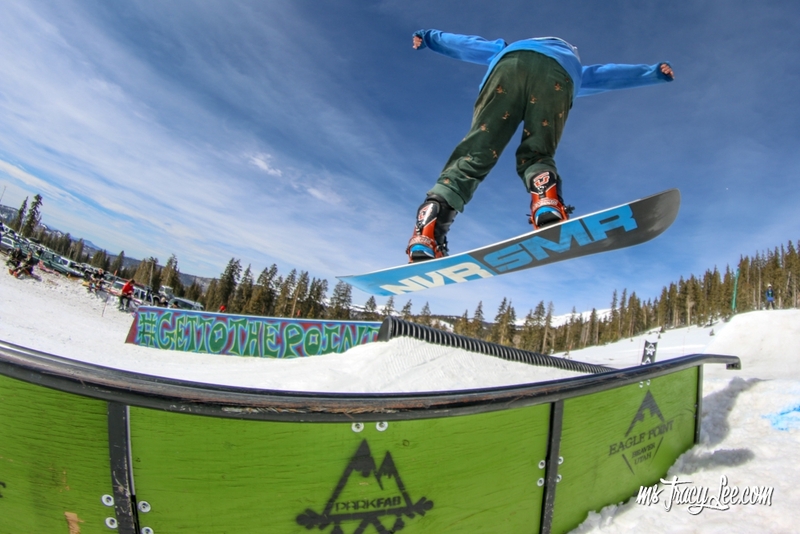 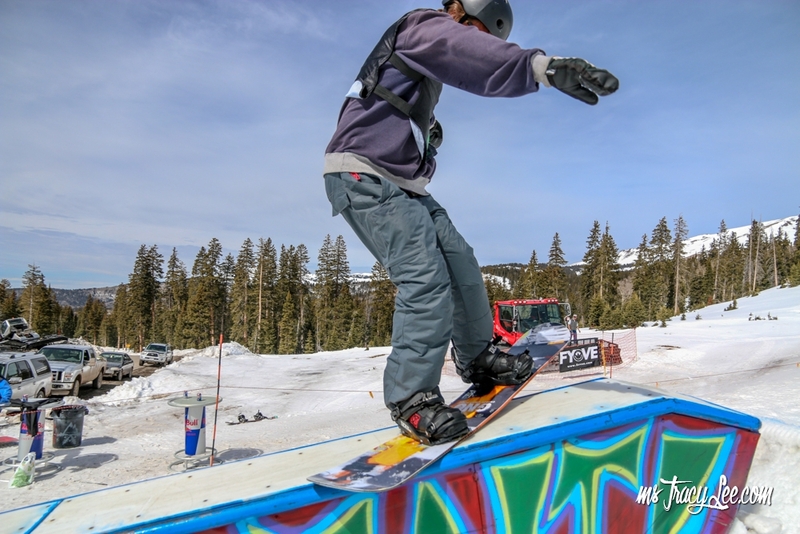 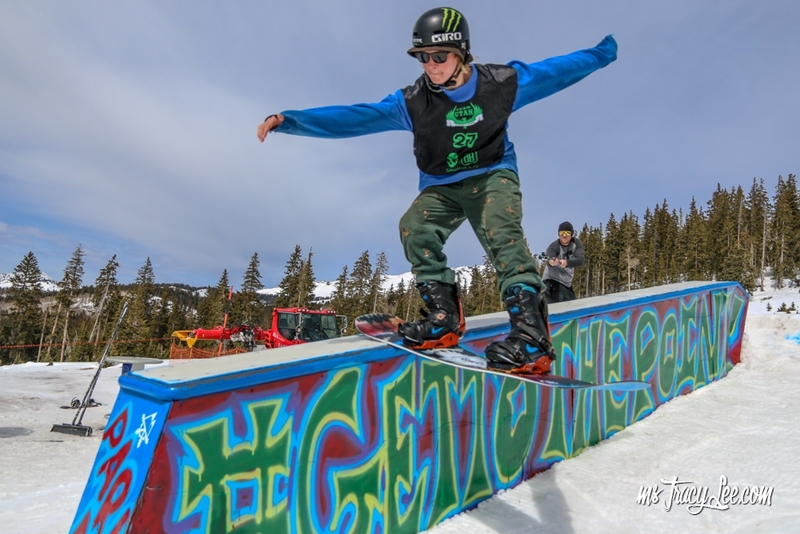 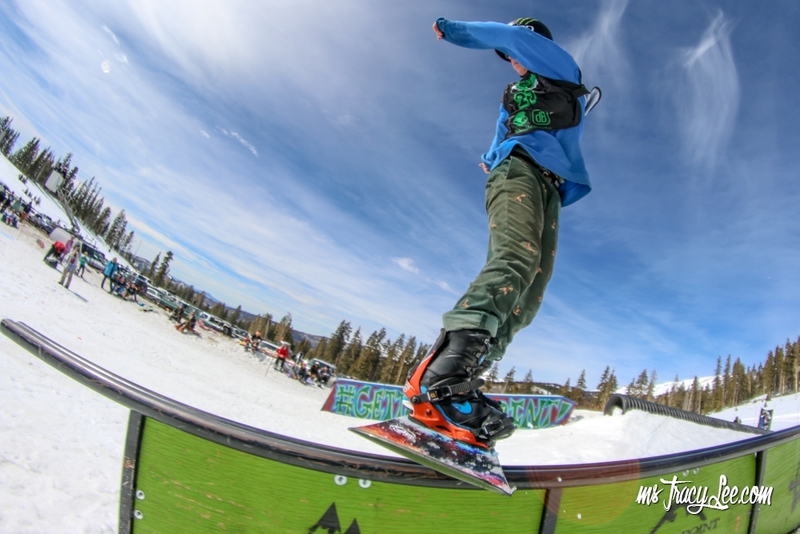 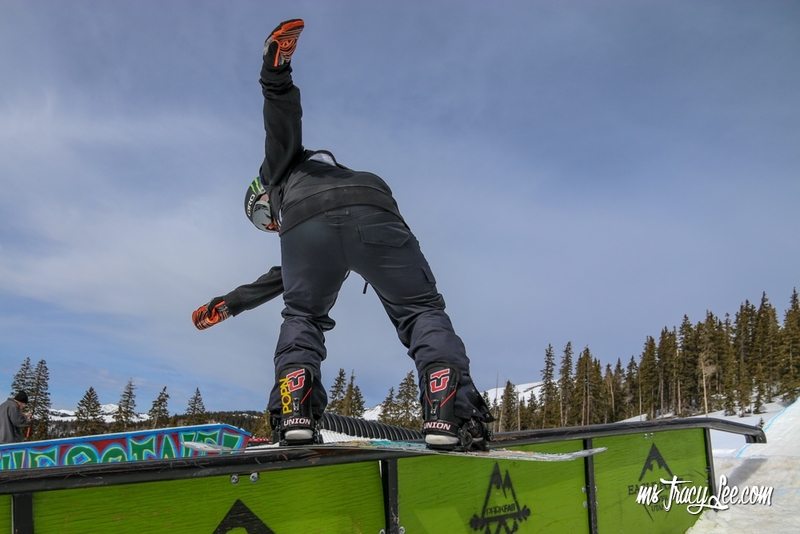 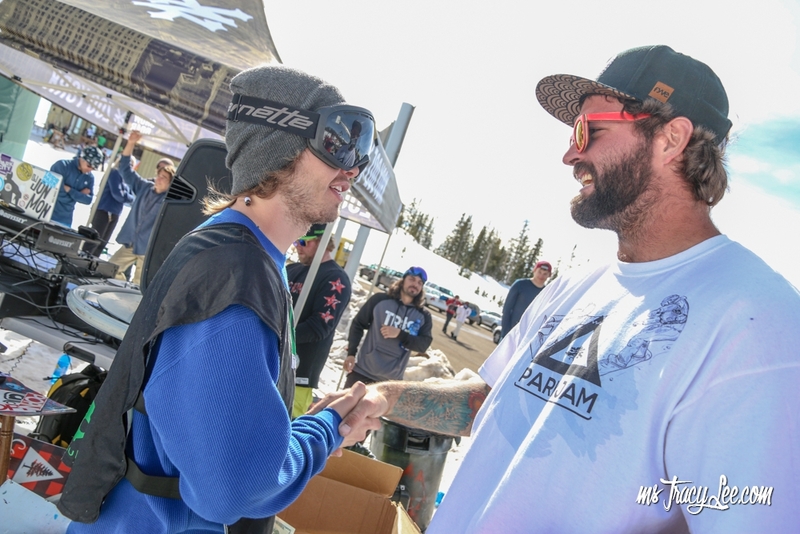 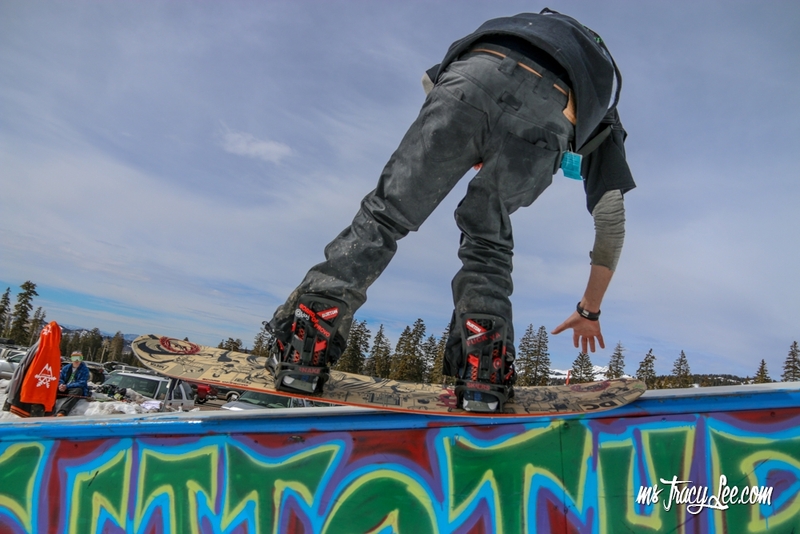 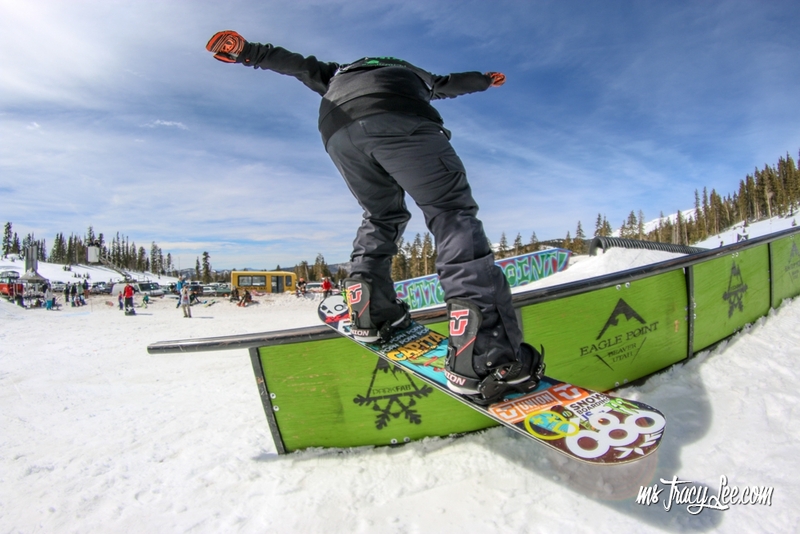 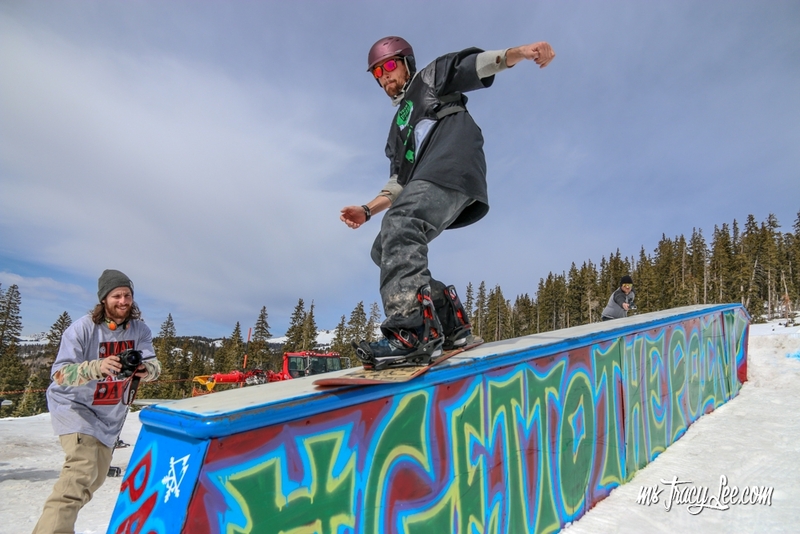 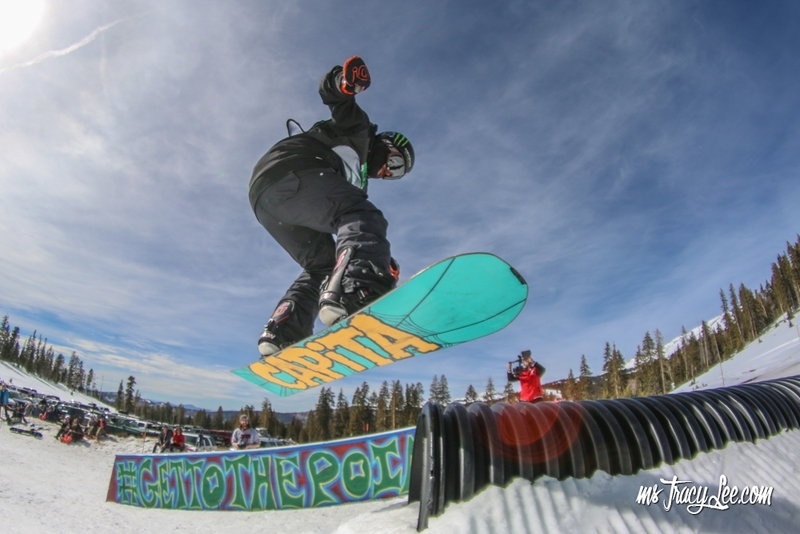 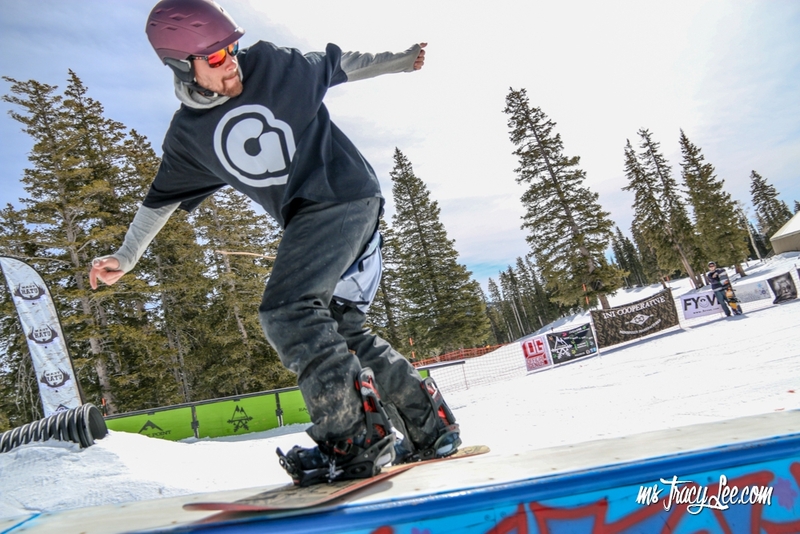 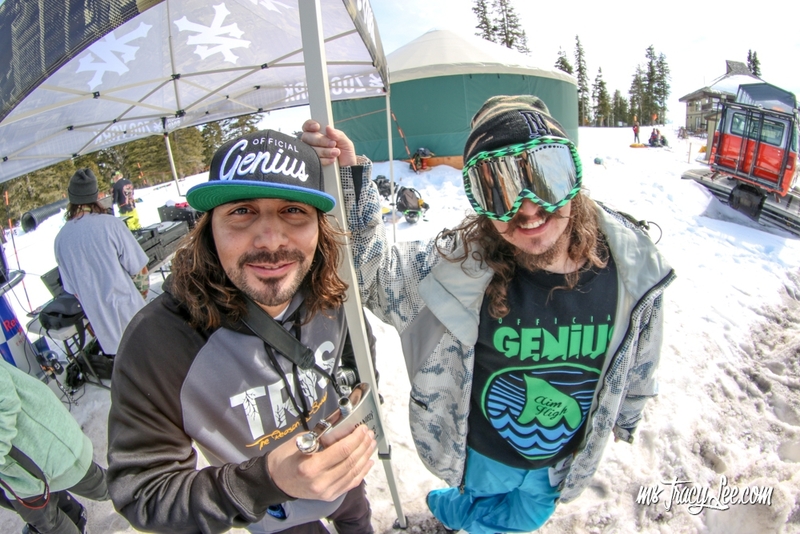 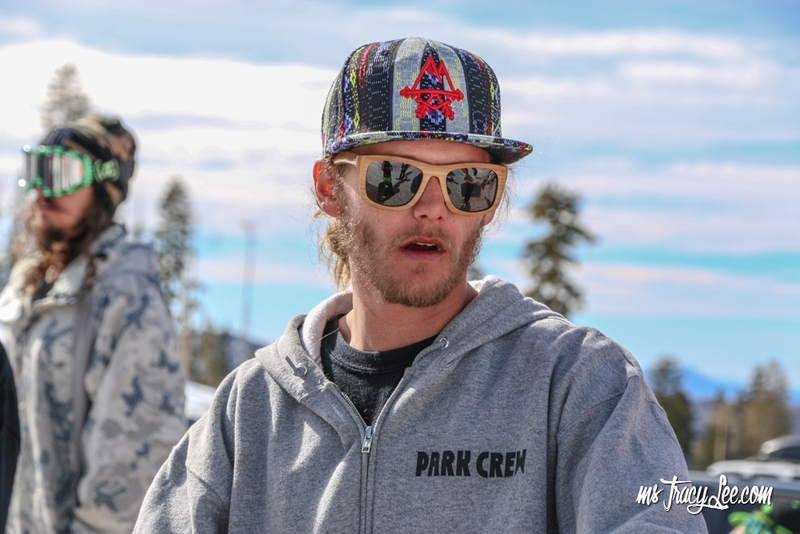 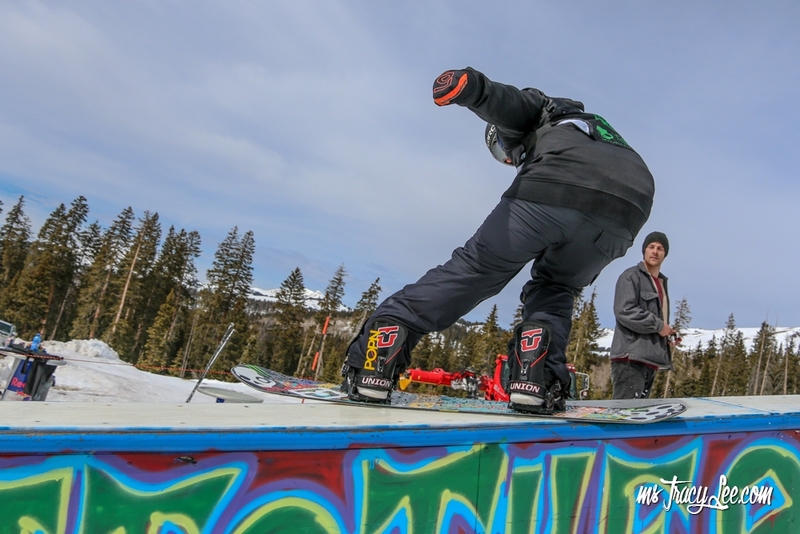 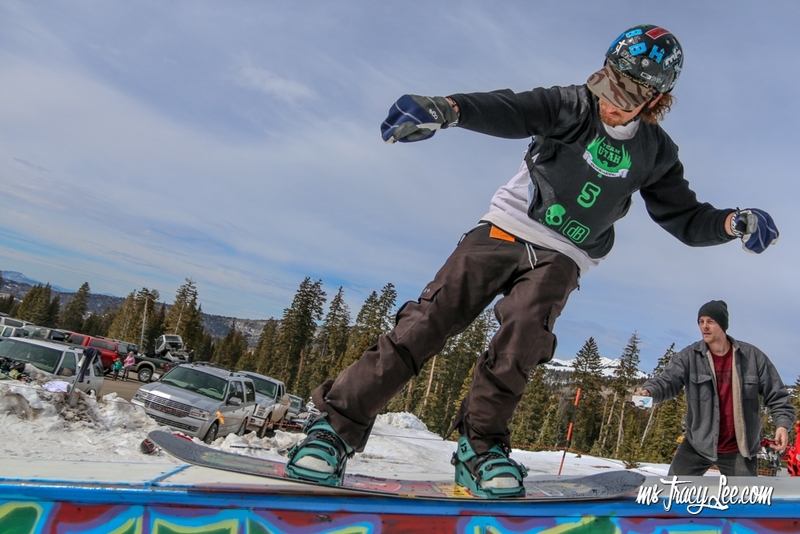 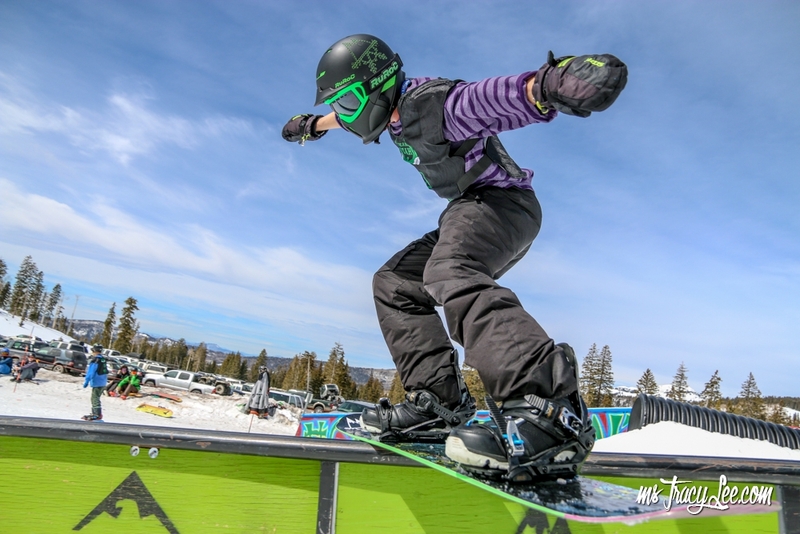 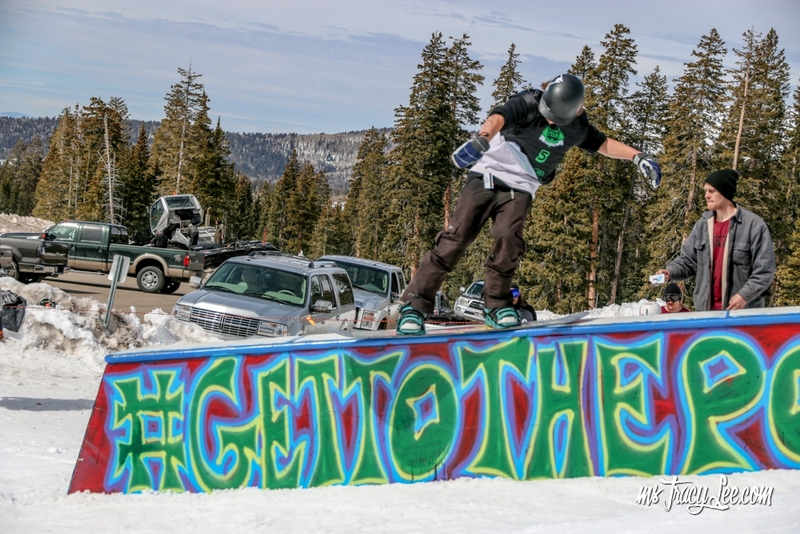 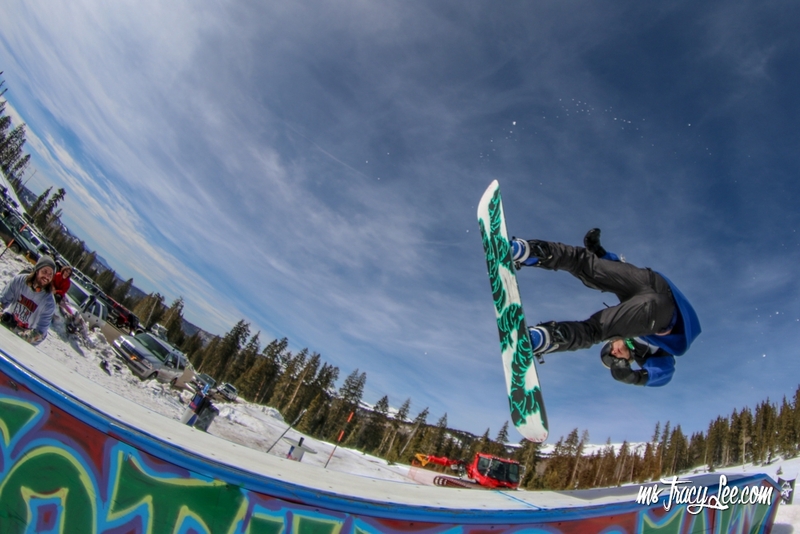 I made the 4 hour drive up with my buddy Dustin Amato of Official Genius and since practice started around 12 pm so we had some time to get a few runs through the rails in the ParkFab park before heading back to check out the competition.. 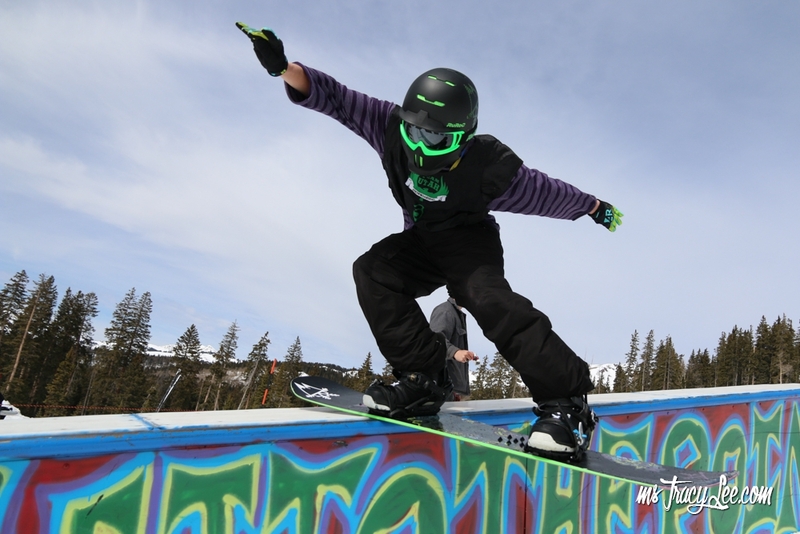 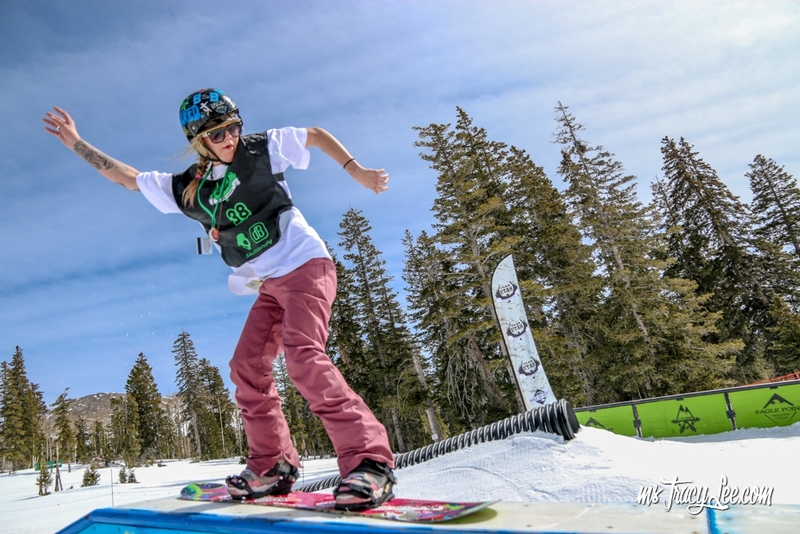 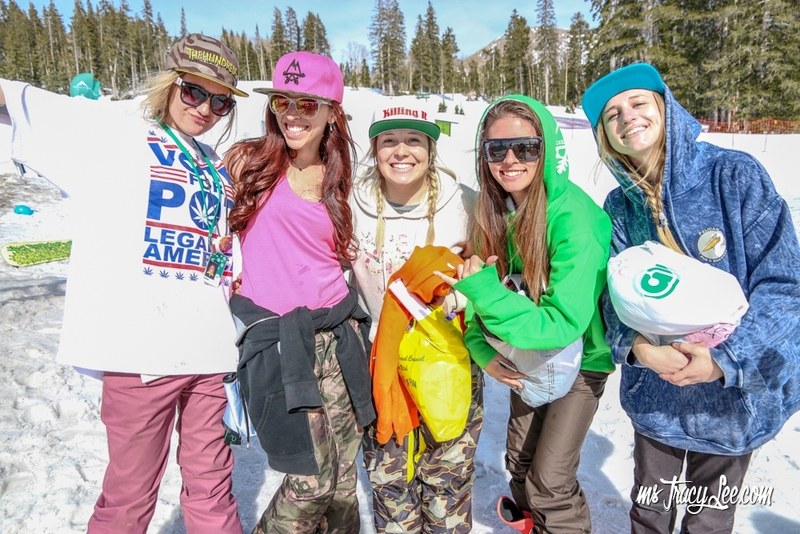 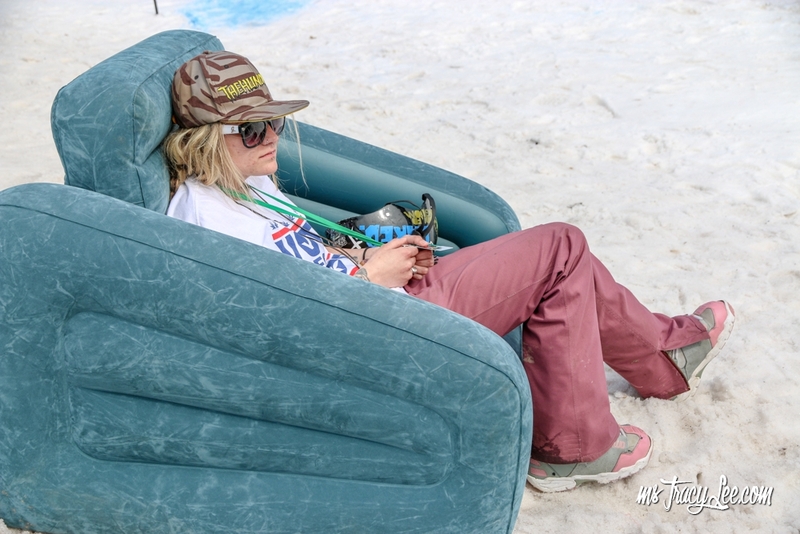 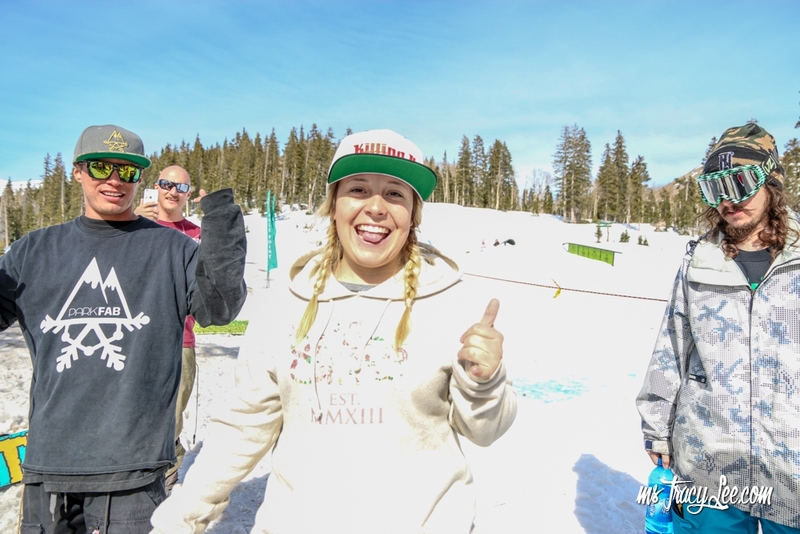 Girls & Groms were first up with 5 females competing and 2 groms.. Each of the riders did 8 runs; highest total score wins. 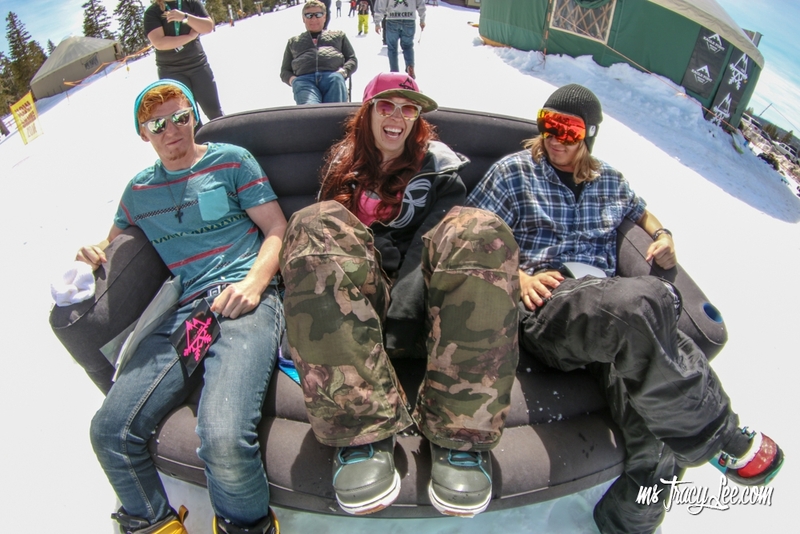 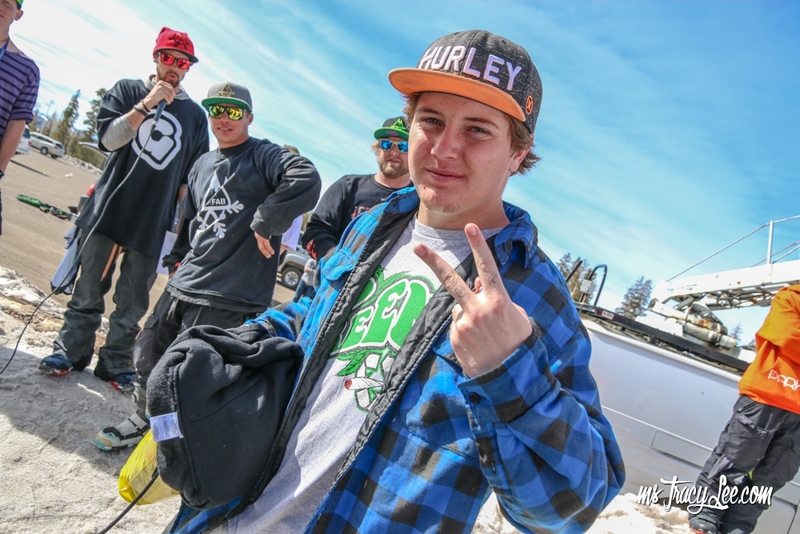 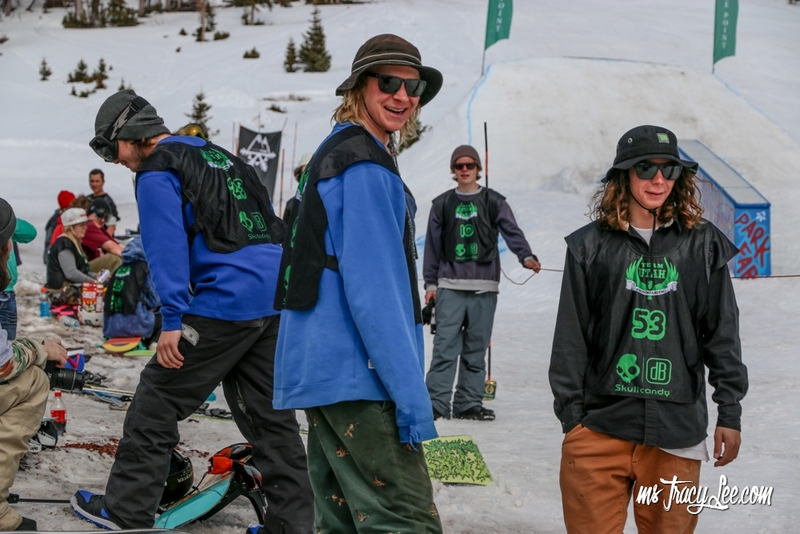 The contest continued with about 15 male riders hitting the ParkFab set up judged by Mongo, Lane & Conner. 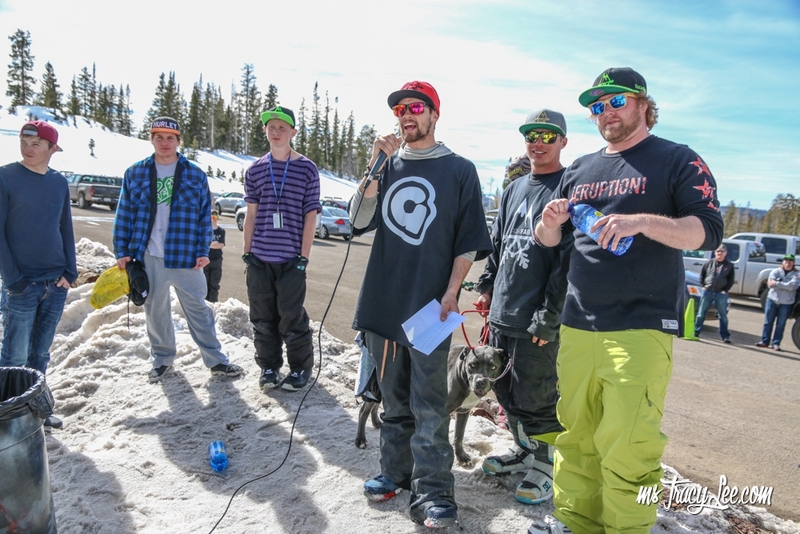 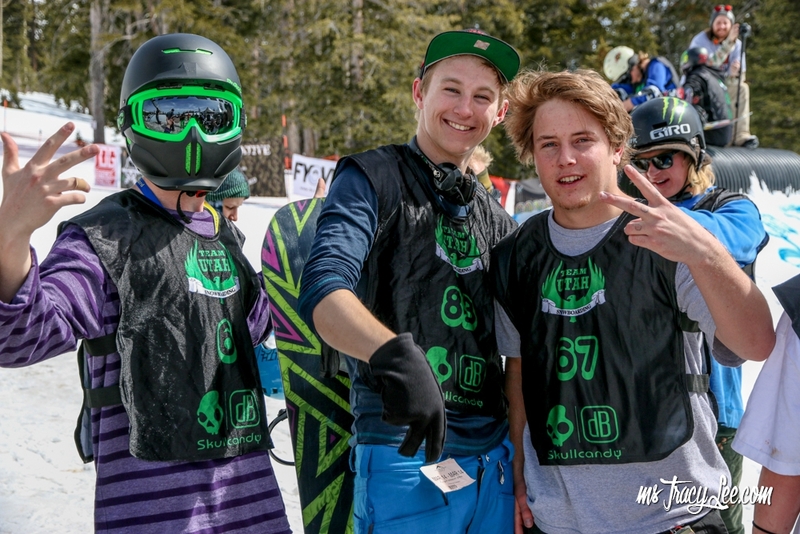 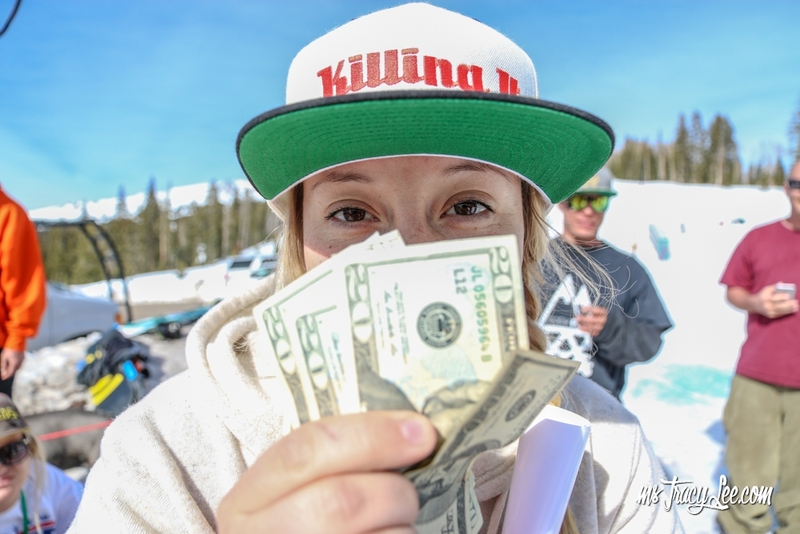 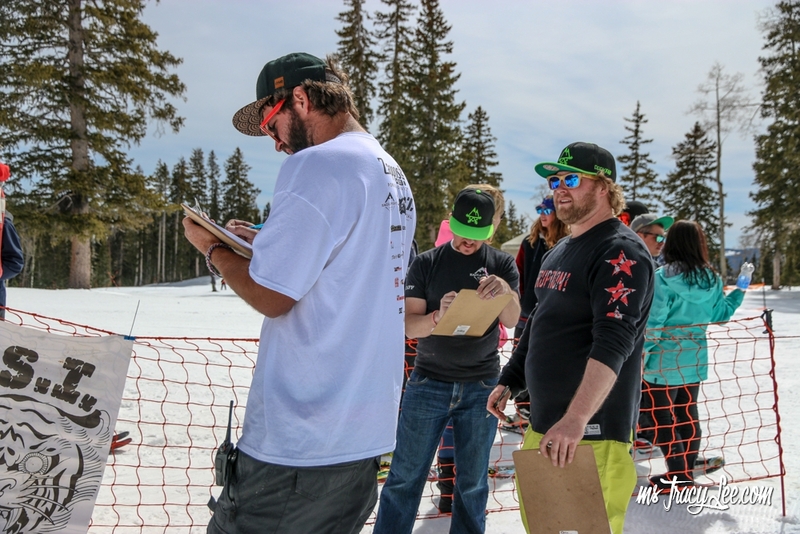 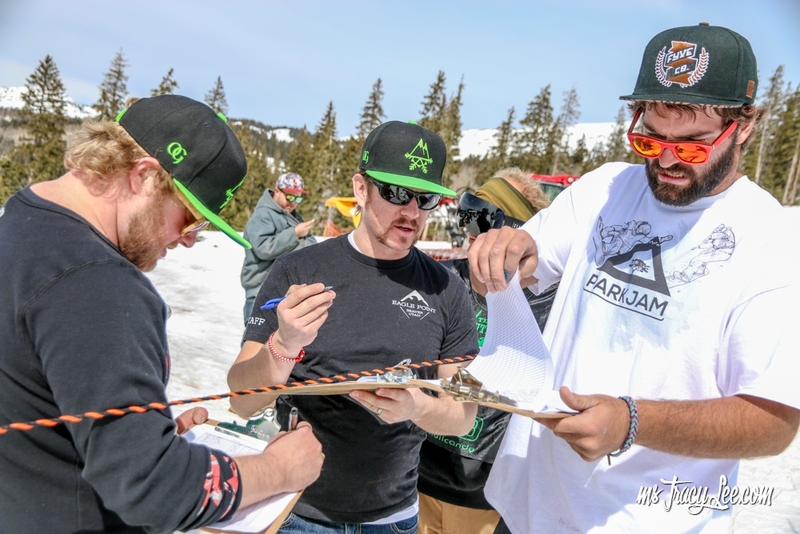 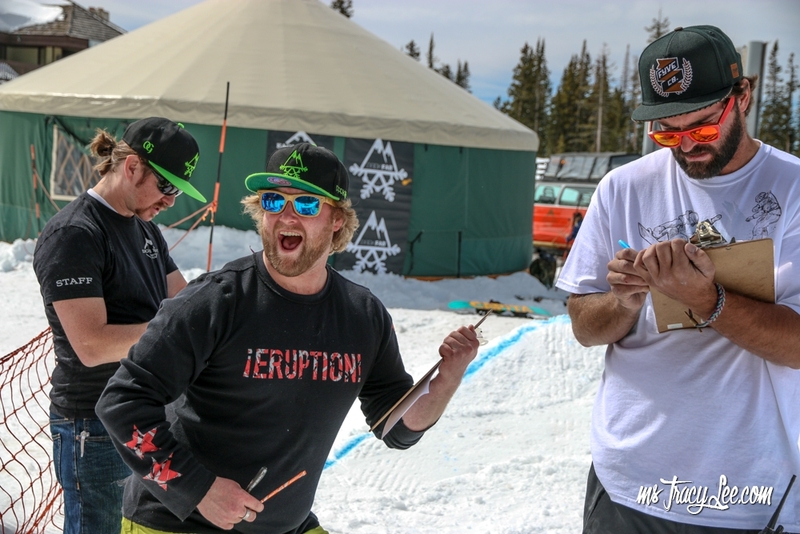 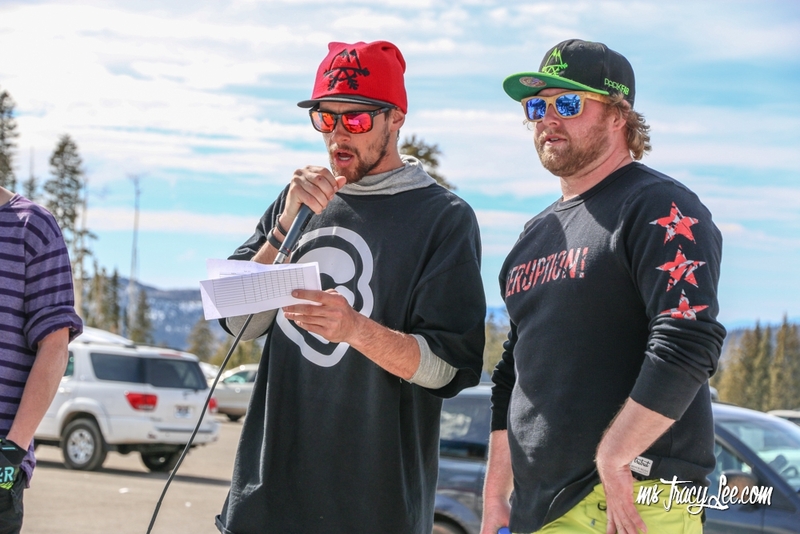 The guys tallied the scores and came up with 5 finalists for the mens comp. 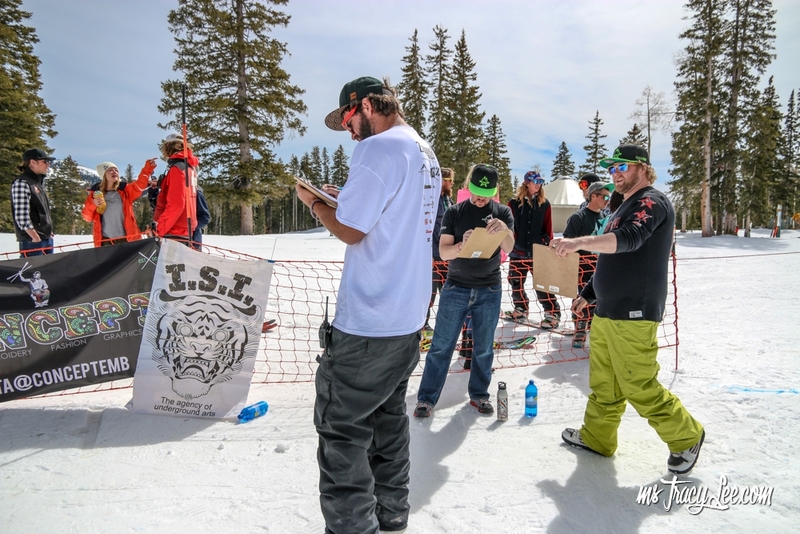 The competition was tough as each of the finalists did their 8 runs. 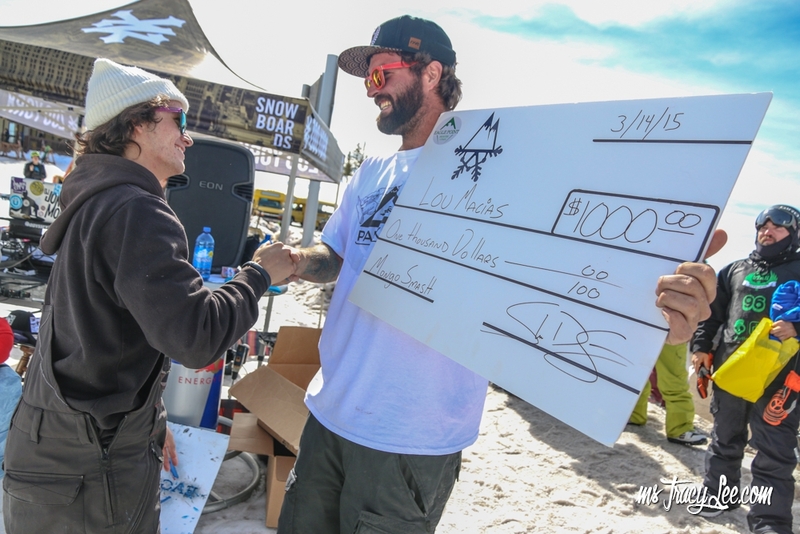 The competitors were throwing their flashiest tricks in an effort to secure the $1000 first prize. 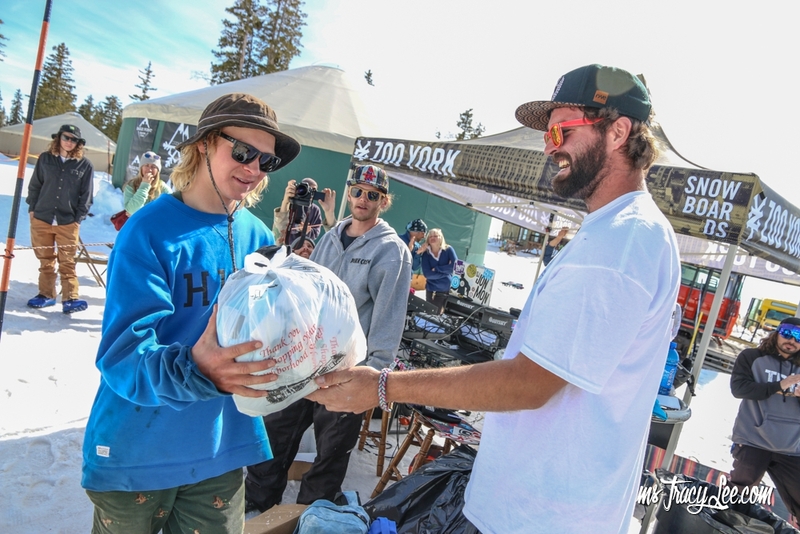 Gear was awarded to the other winners. 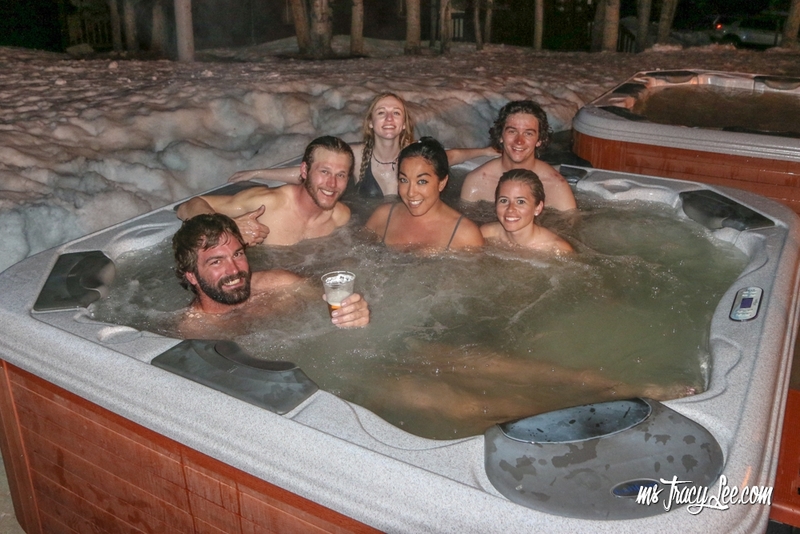 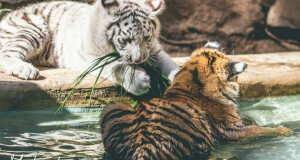 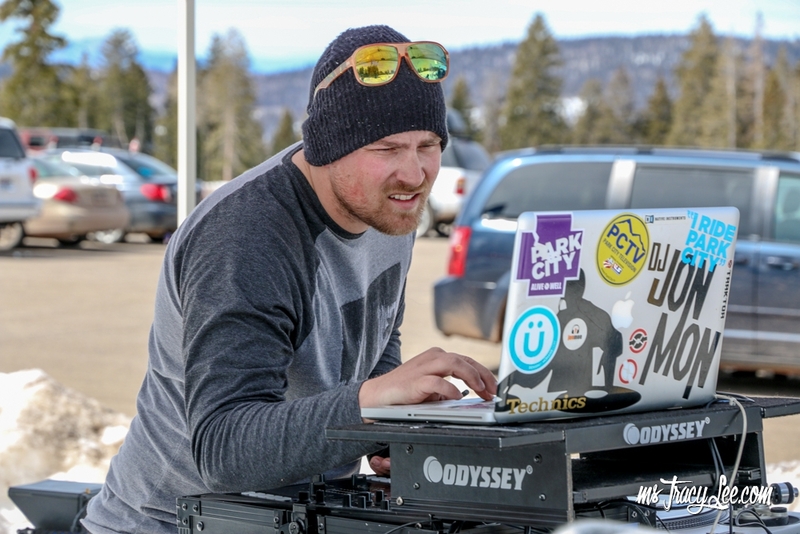 After the contest was done, it was down to the Canyonside Lodge for some hot tubbin’ and some tasty food & beverage.. Everyone seemed to want to hit the park the next day so instead of raging like I had heard about the previous Mongo Smash, we called it an early night!